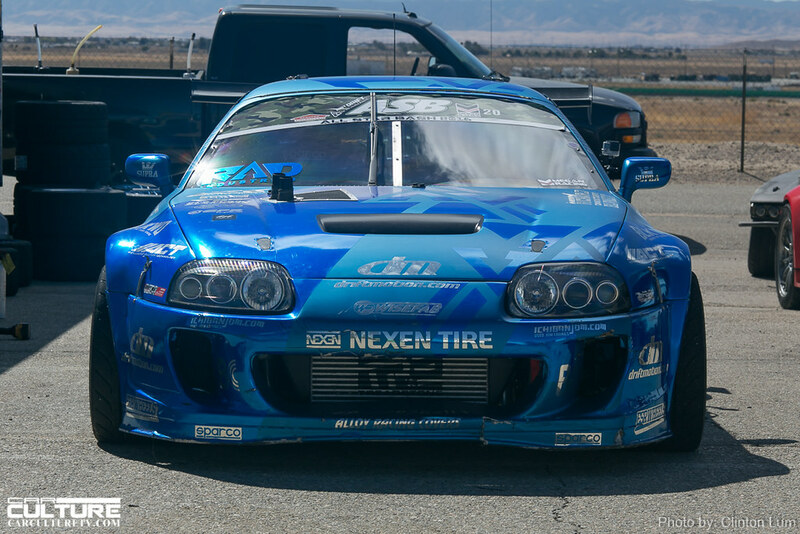 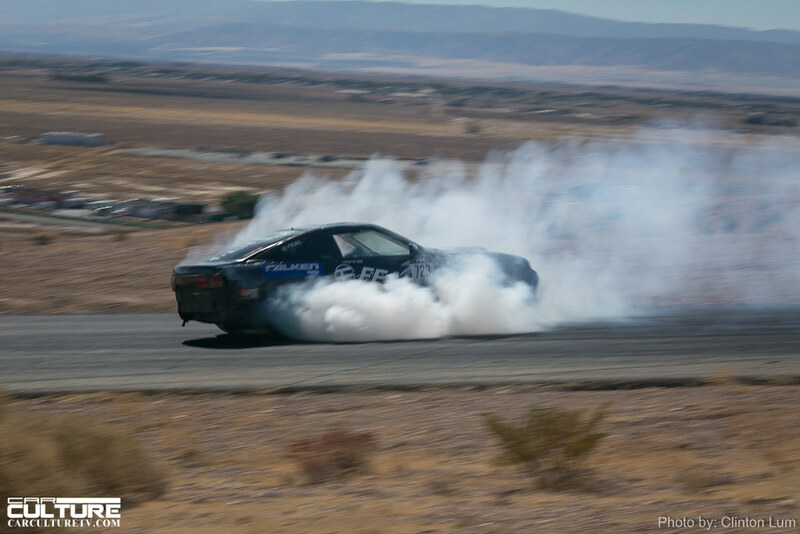 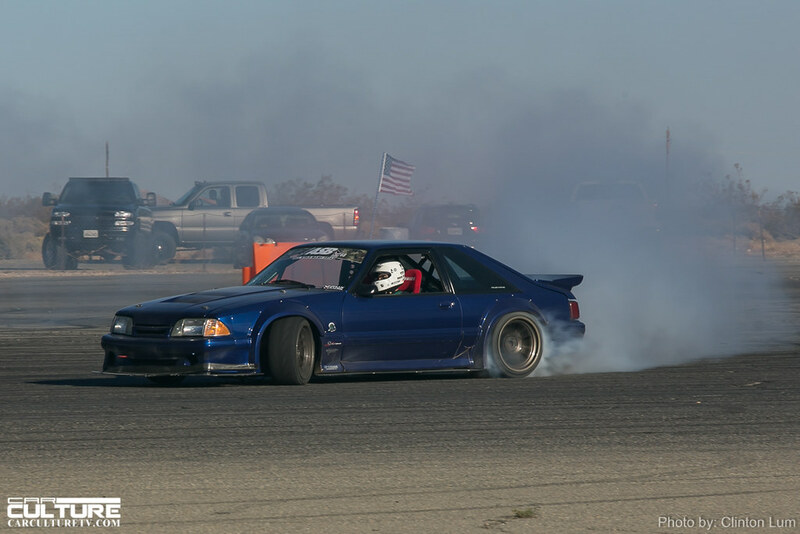 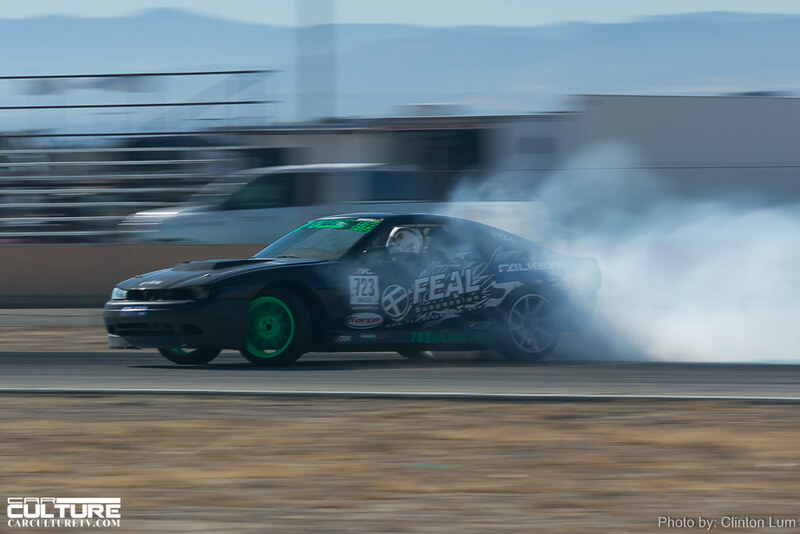 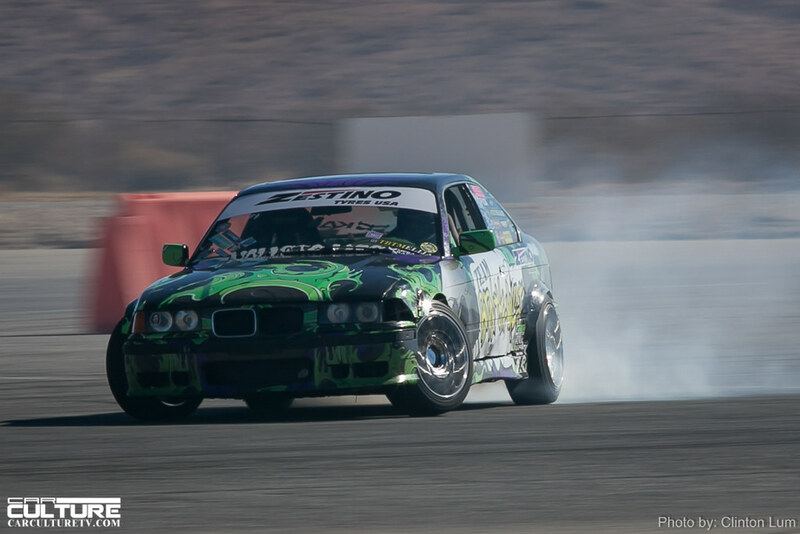 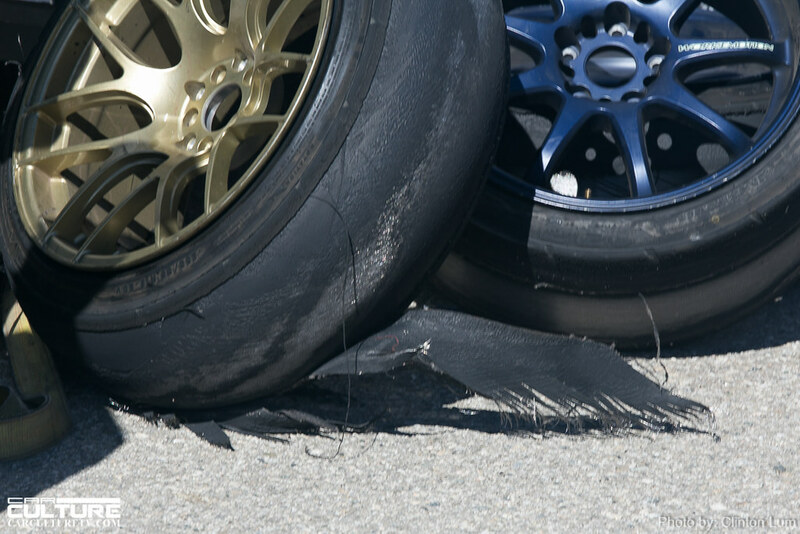 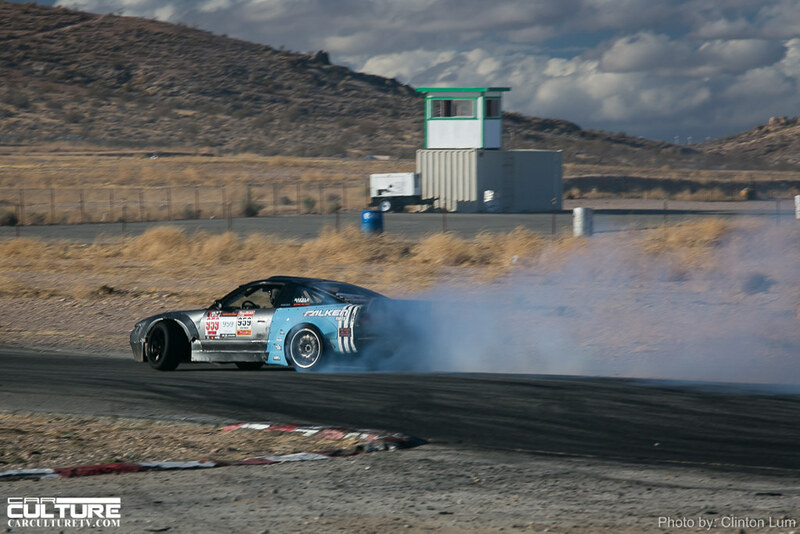 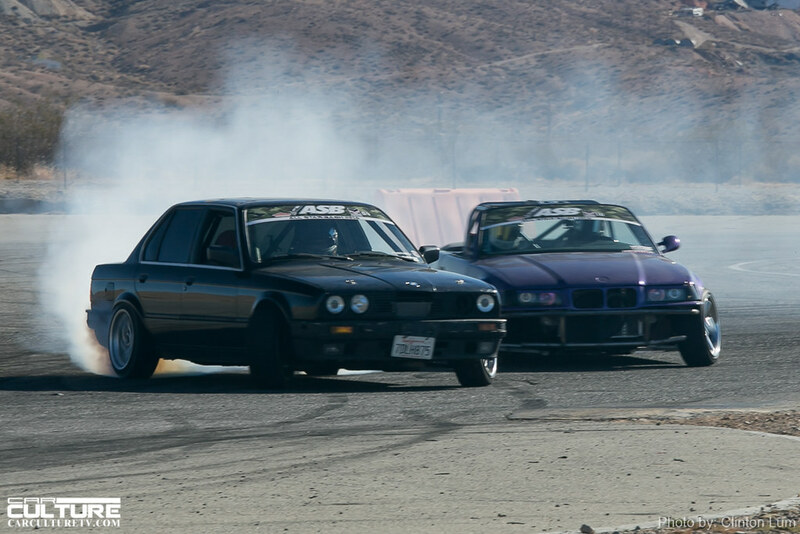 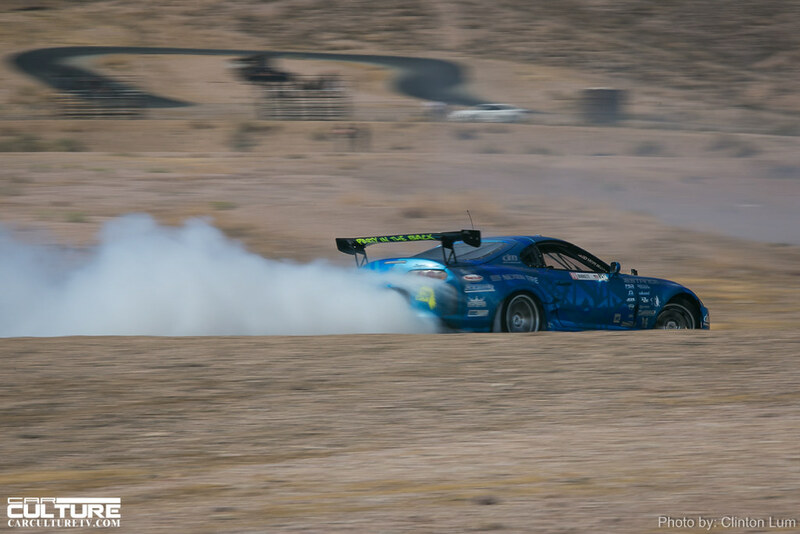 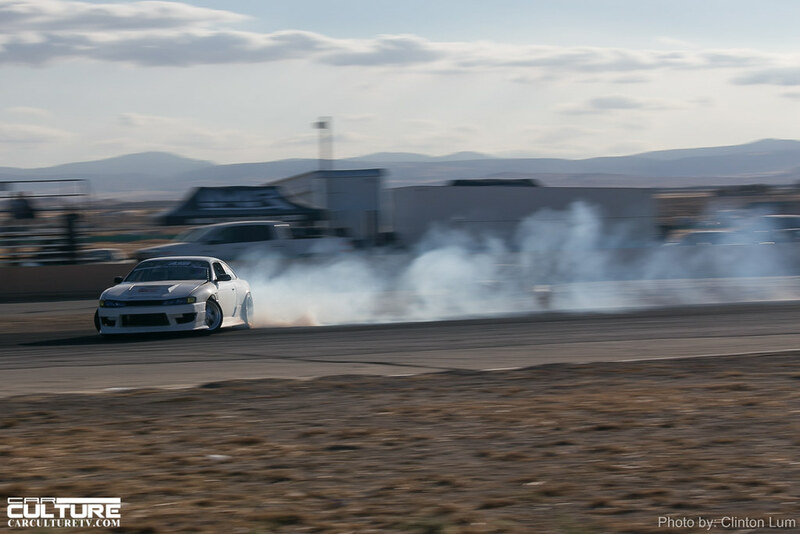 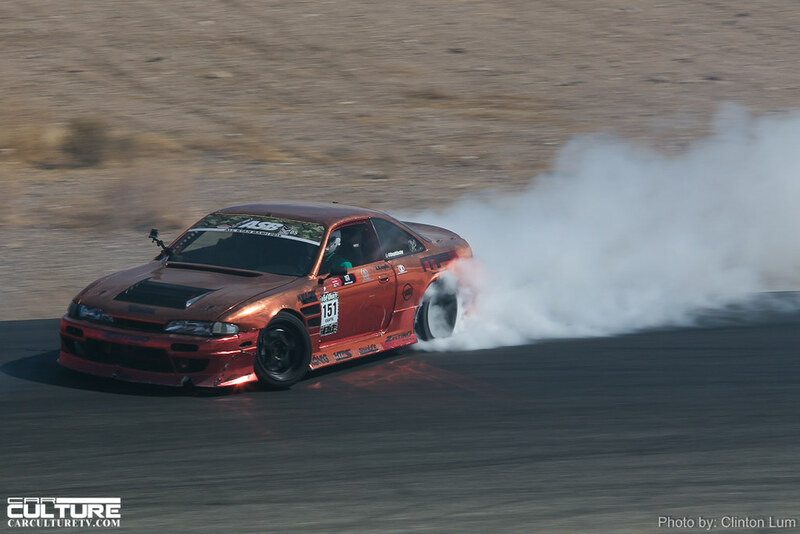 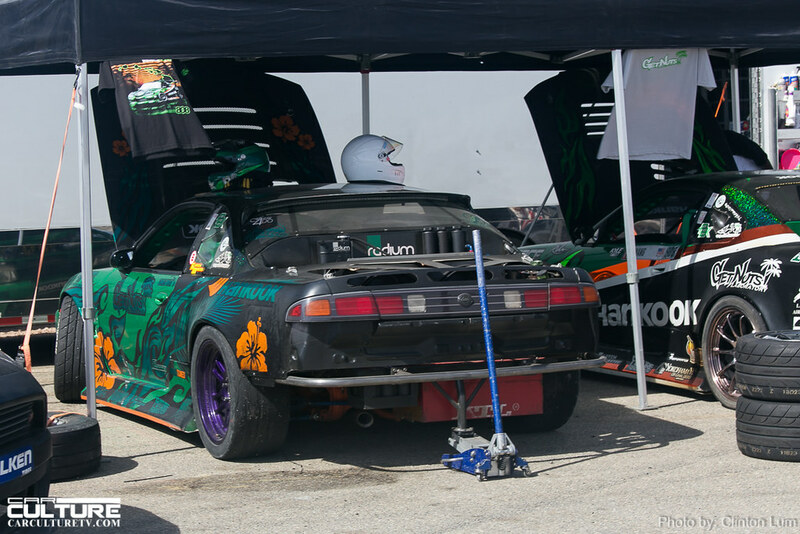 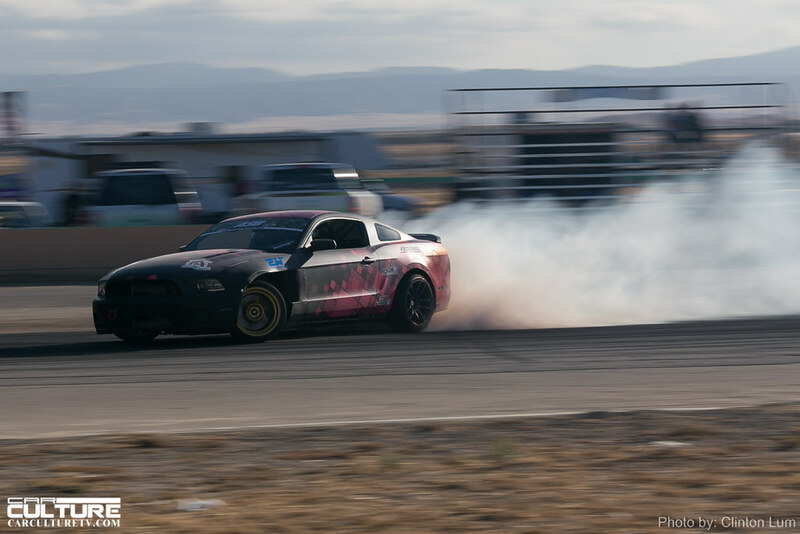 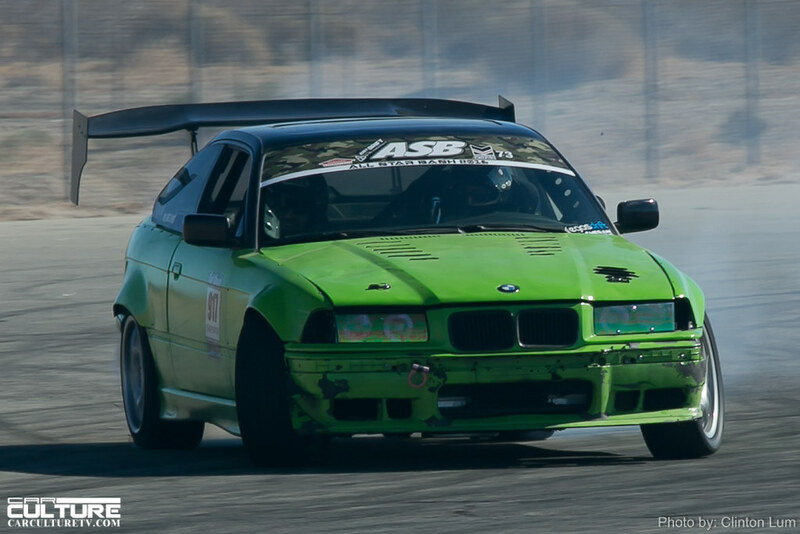 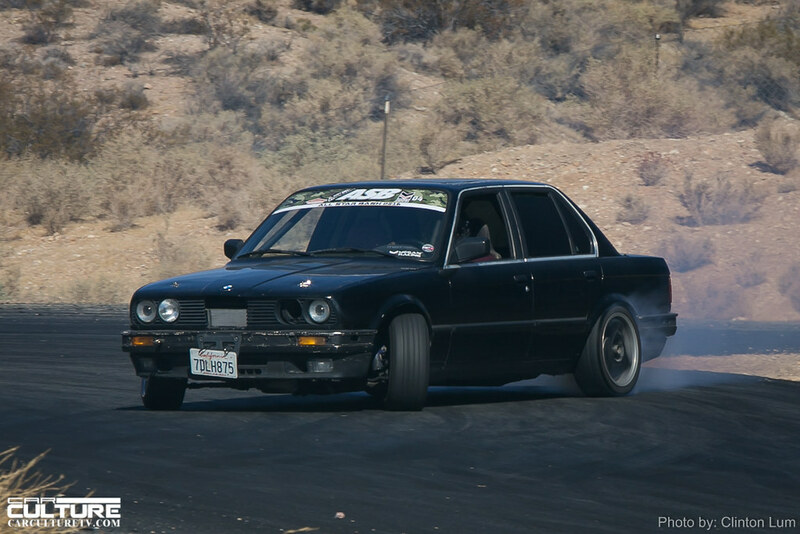 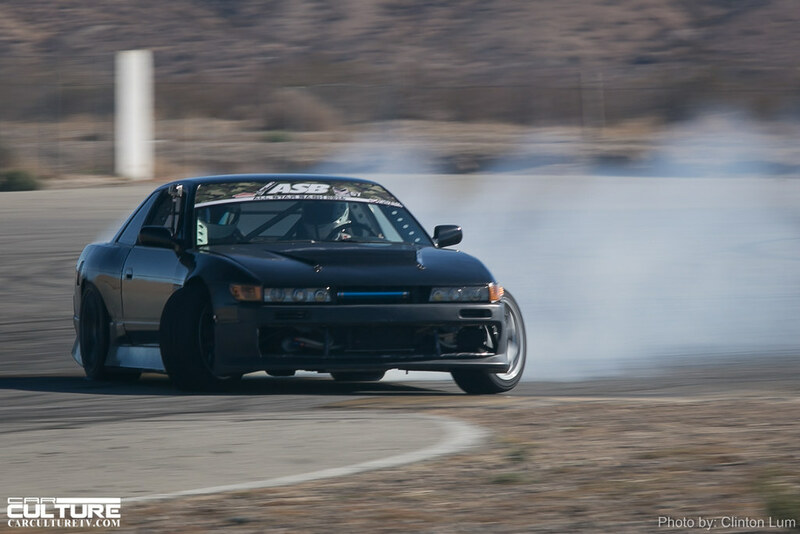 It was the week after Formula Drift concluded its 2016 season at Irwindale, but I still needed my fix of burnt tires. 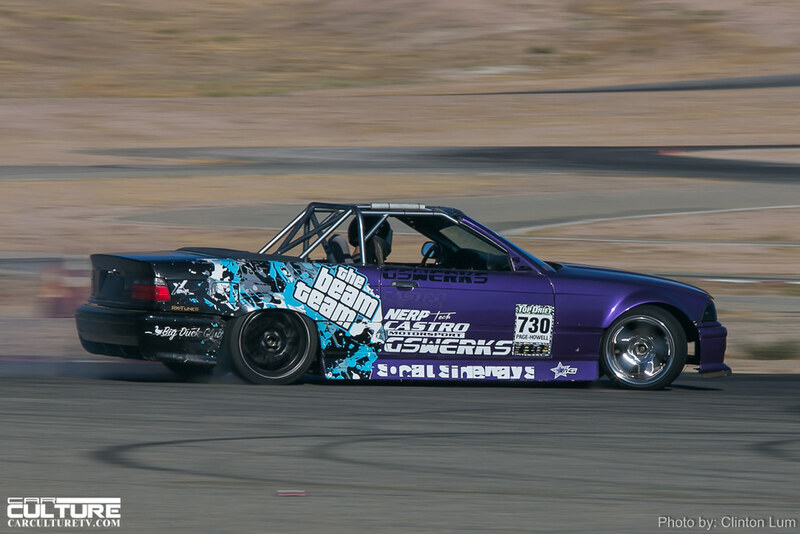 And what better event than All Star Bash (ASB) to alleviate my cravings? 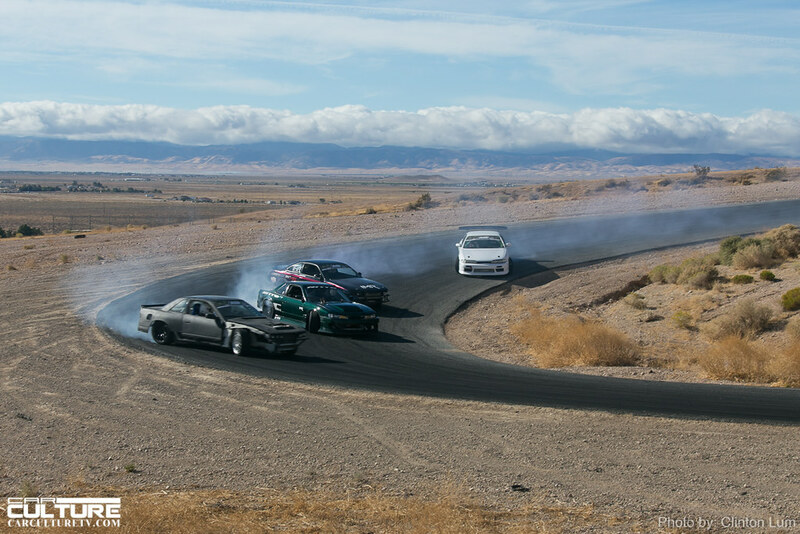 There were a little less drivers this year, but it was all by design. 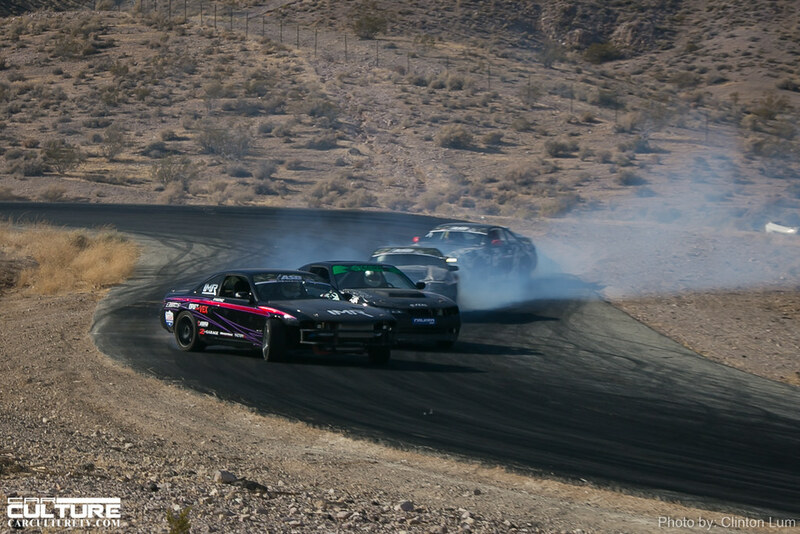 Last year was just so crazy, so the organizers limited the number of drivers this time around. 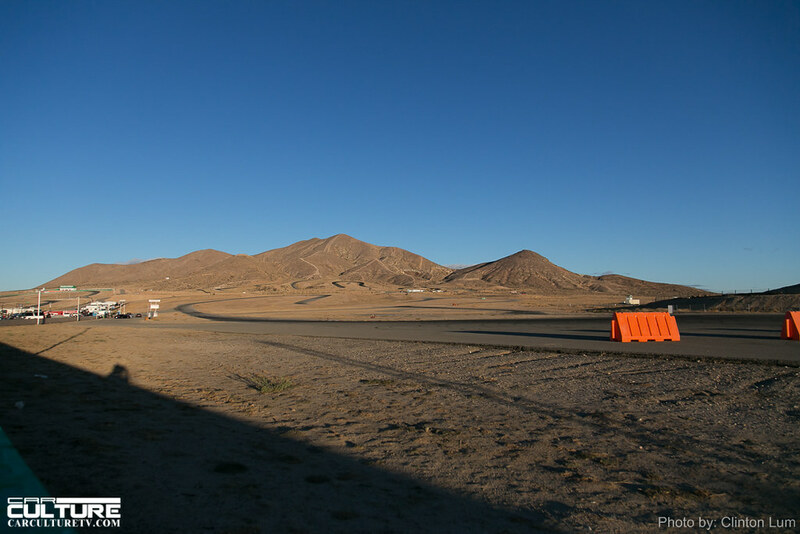 On Saturday morning, it was like the quiet before the storm. 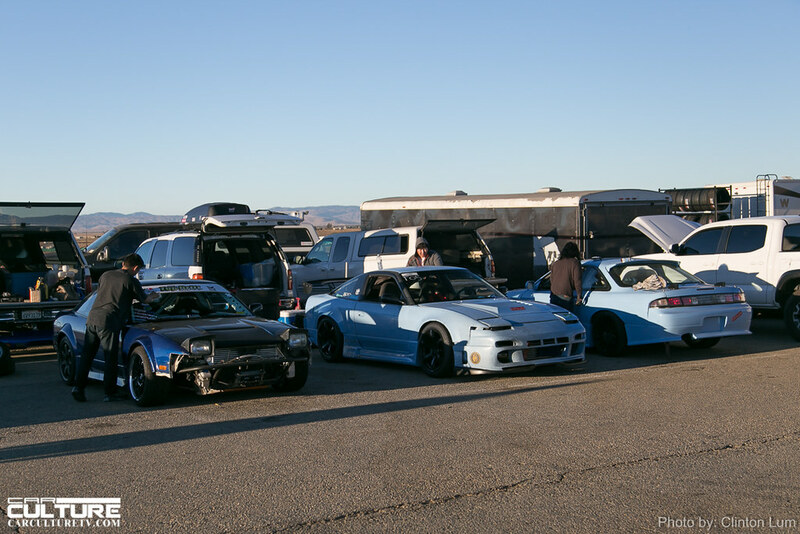 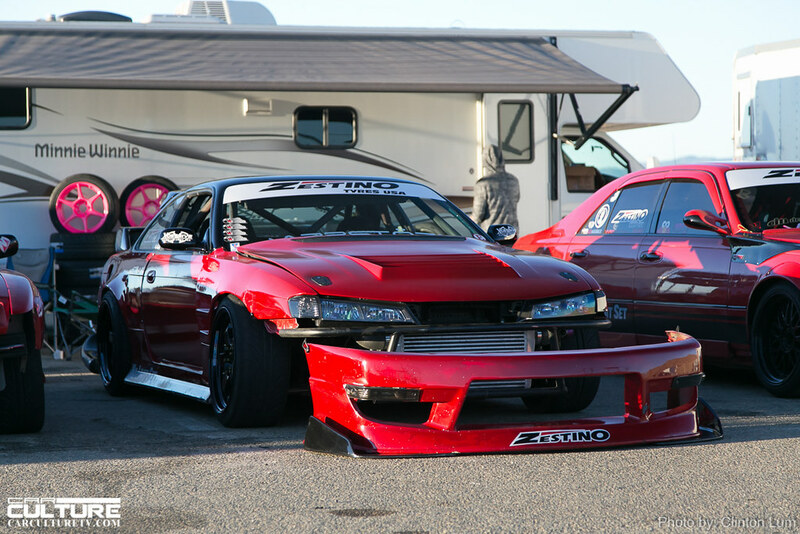 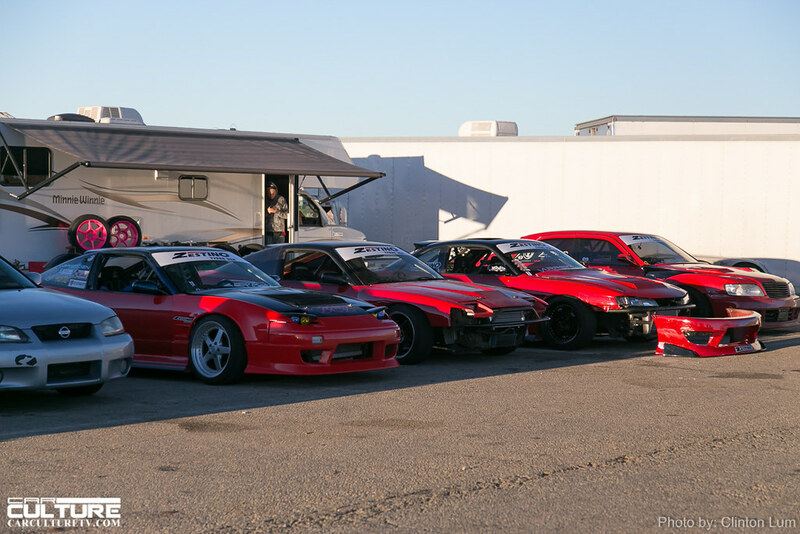 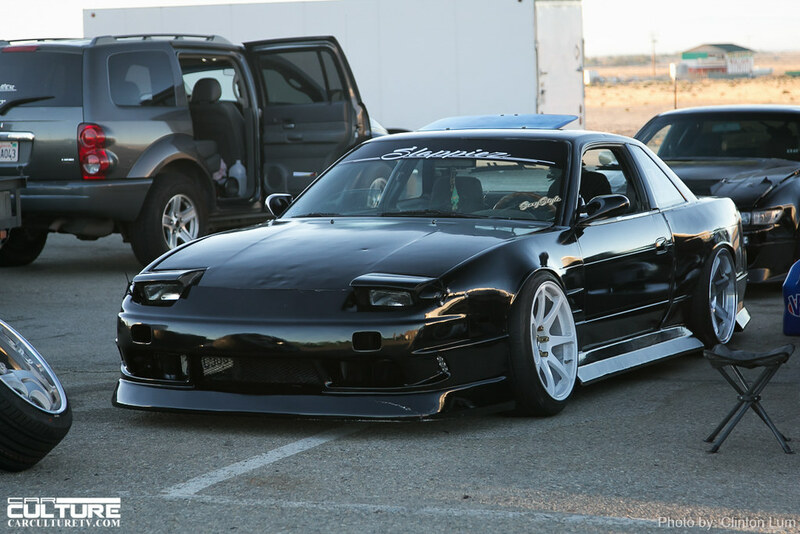 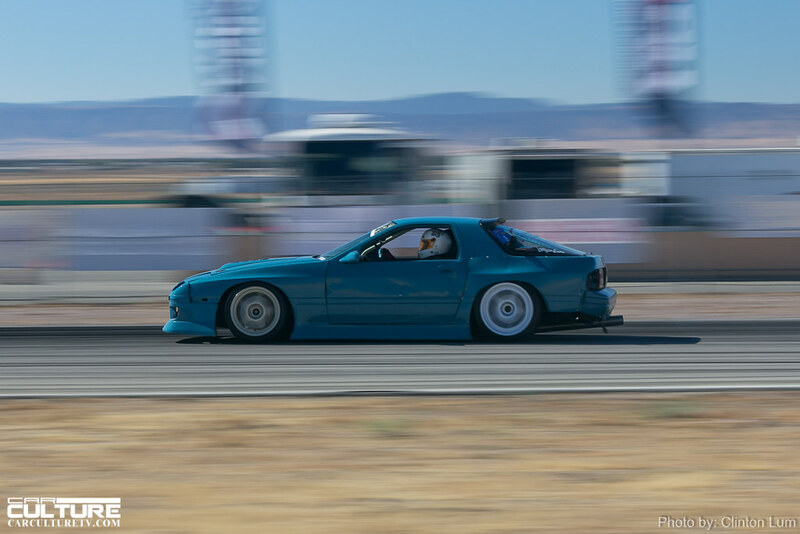 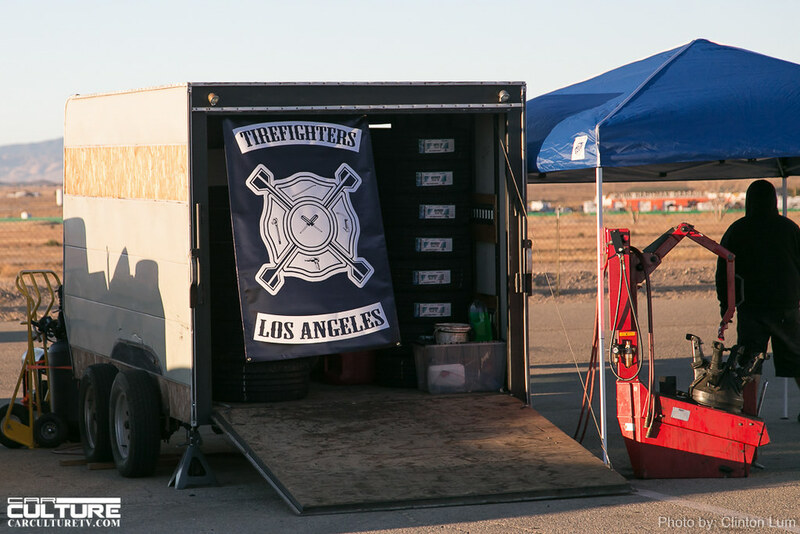 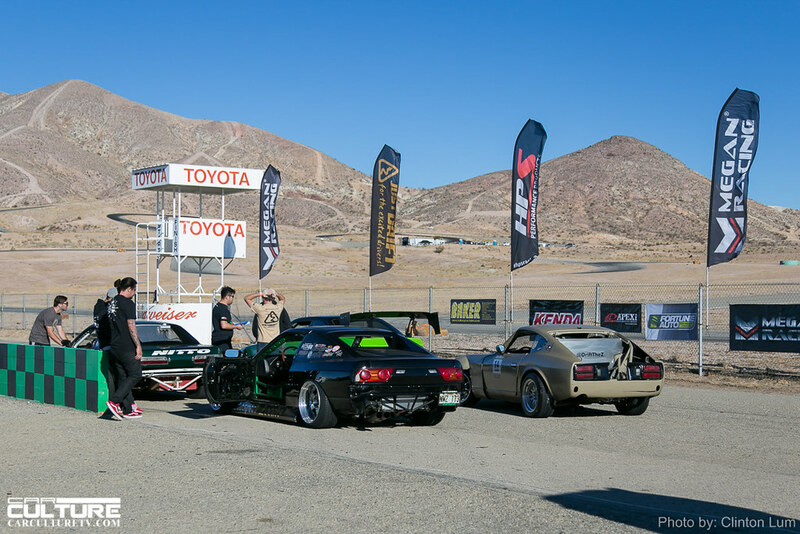 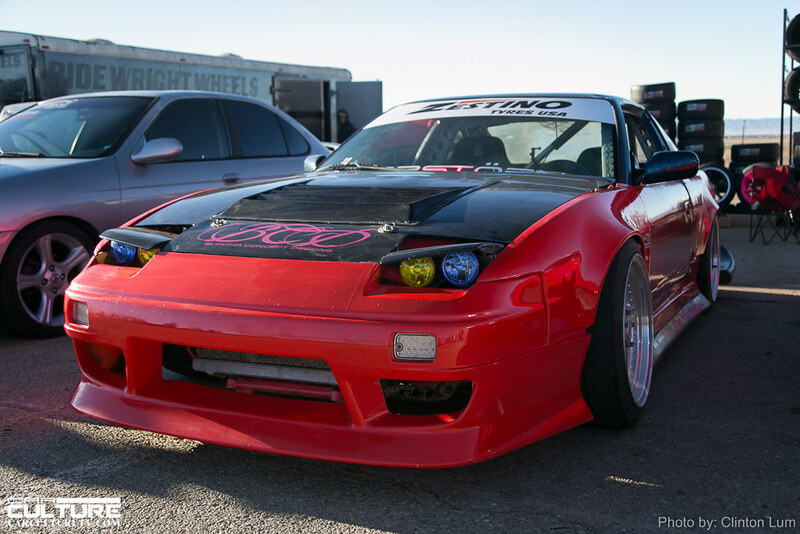 The trailers were parked, the drift cars were being prepped and I think everyone was slowly beginning to wake as their morning coffee started kicking in. 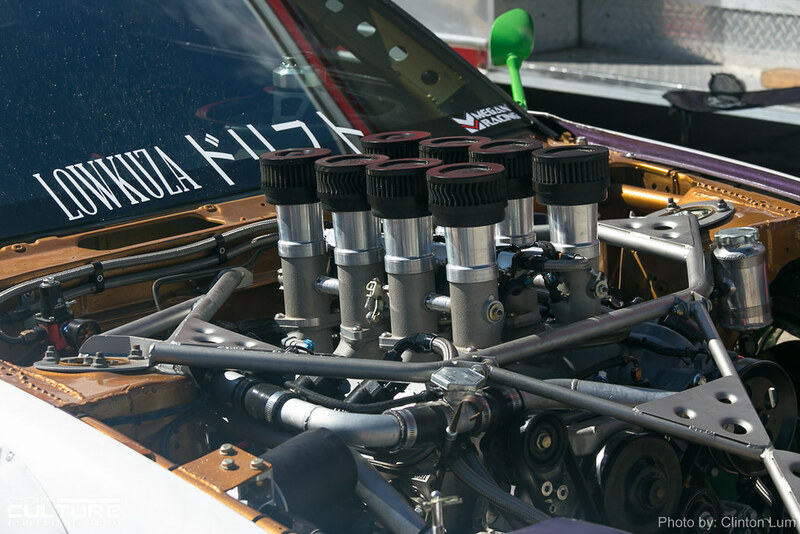 And then the silence wore off as the rumble of engines echoed throughout the pits. 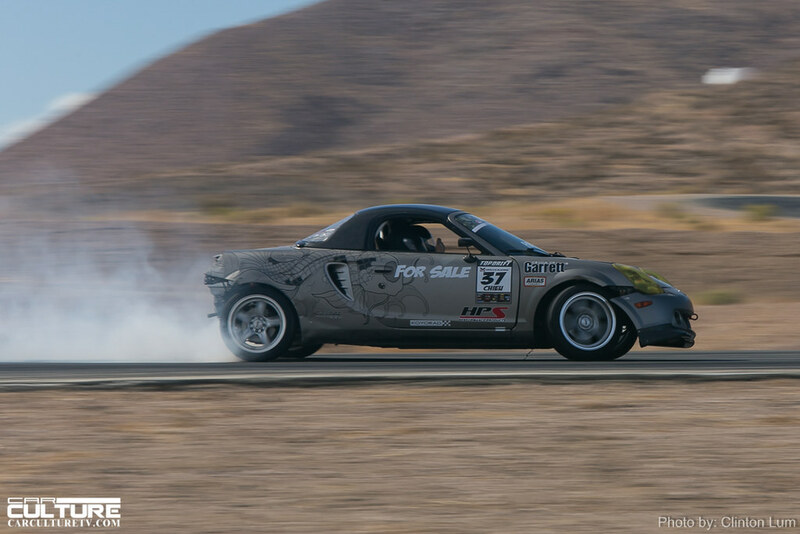 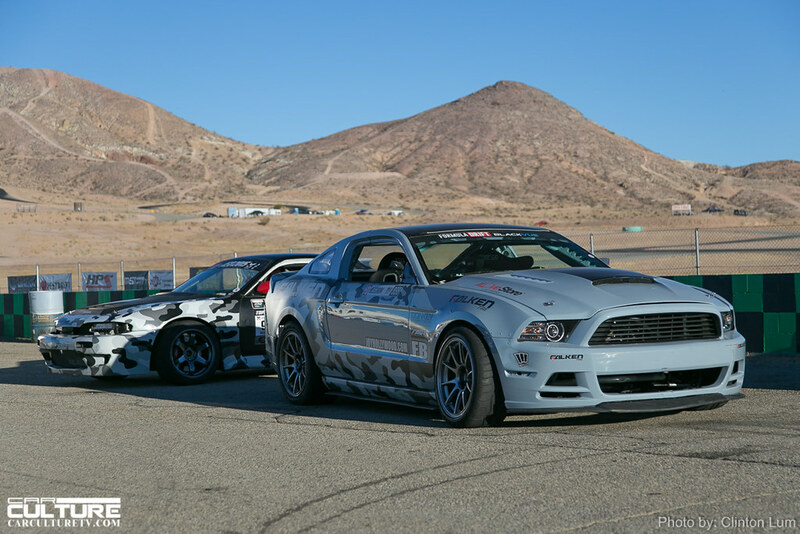 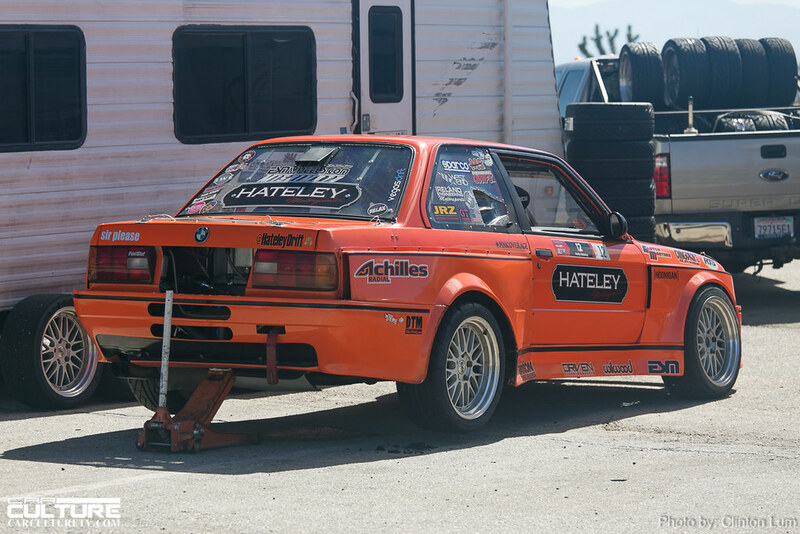 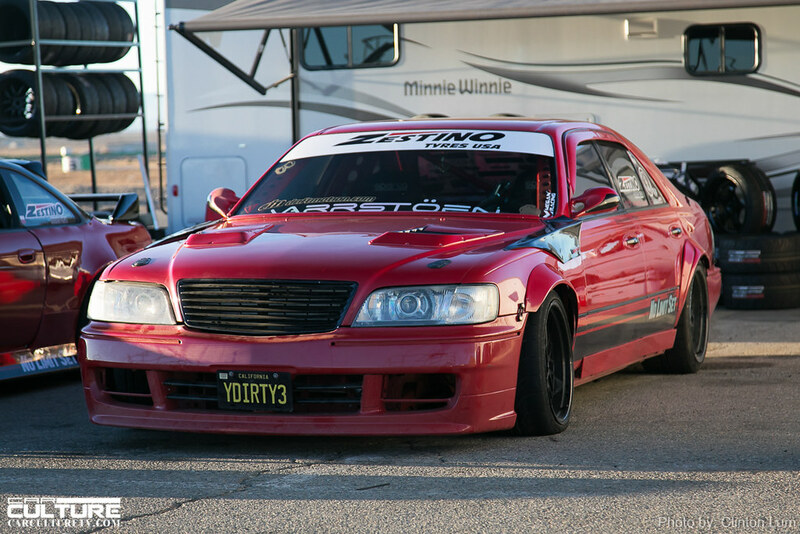 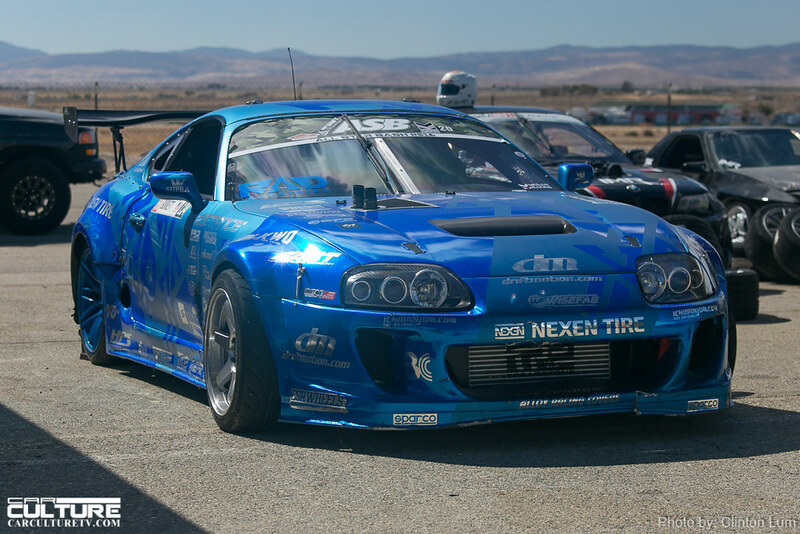 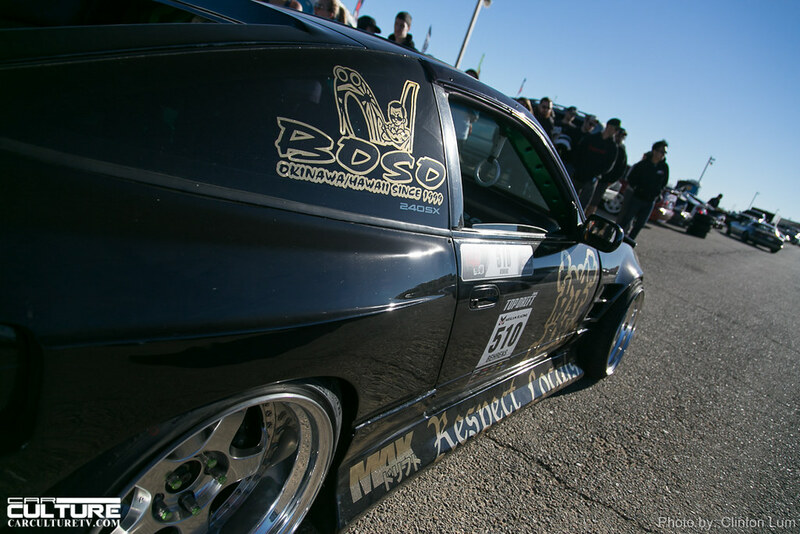 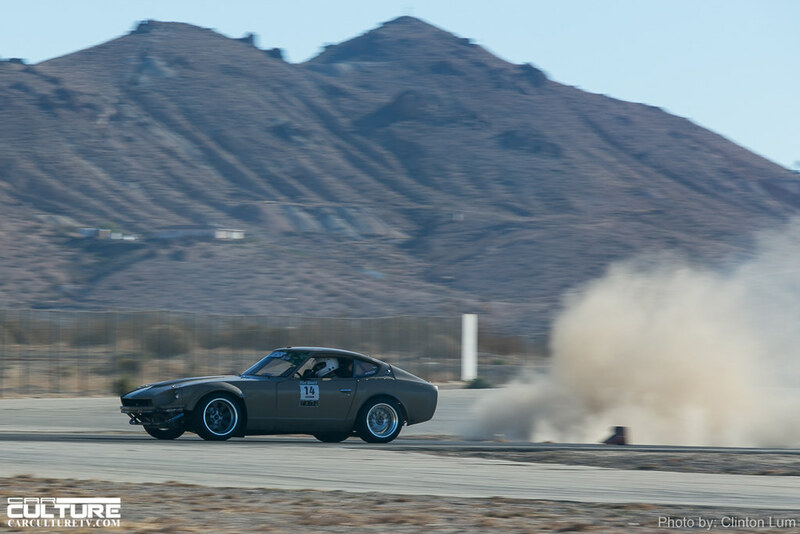 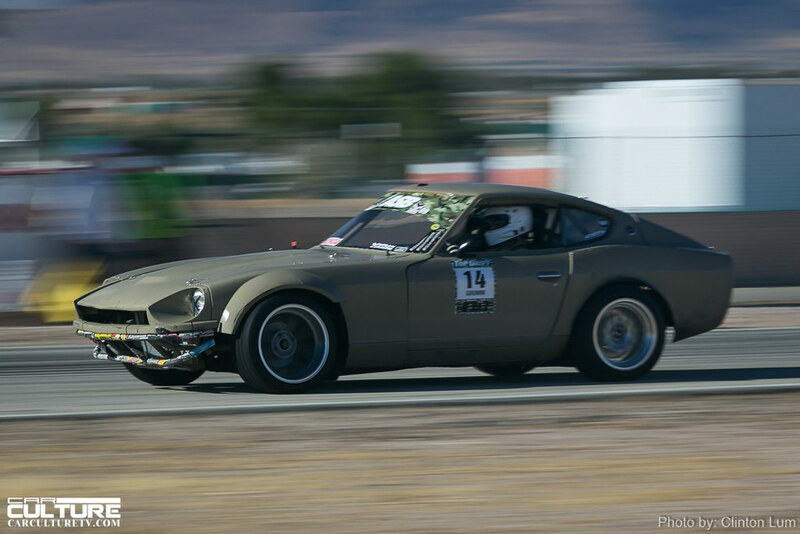 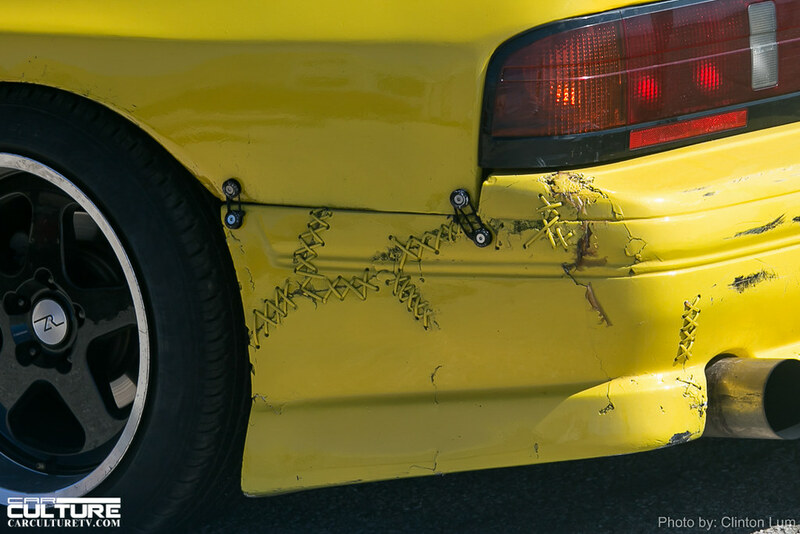 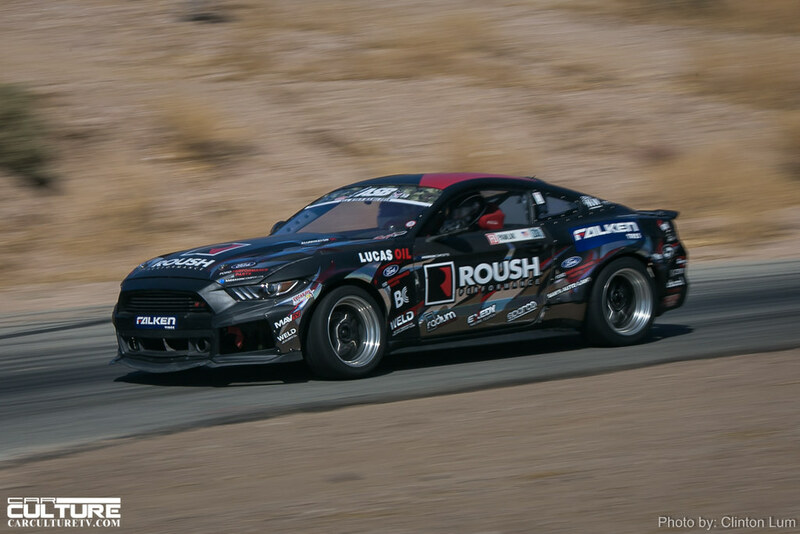 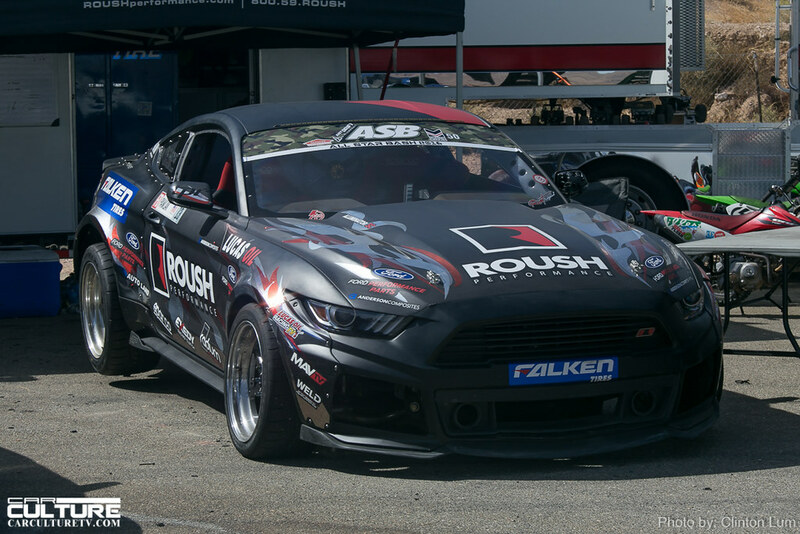 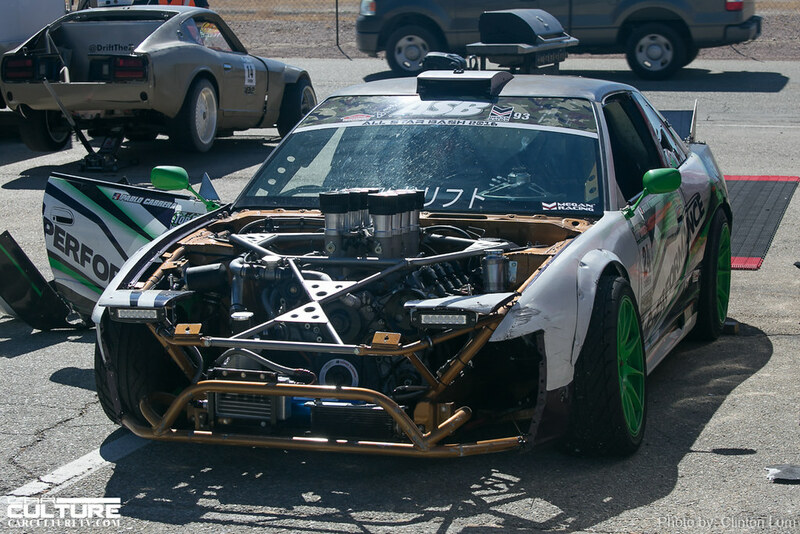 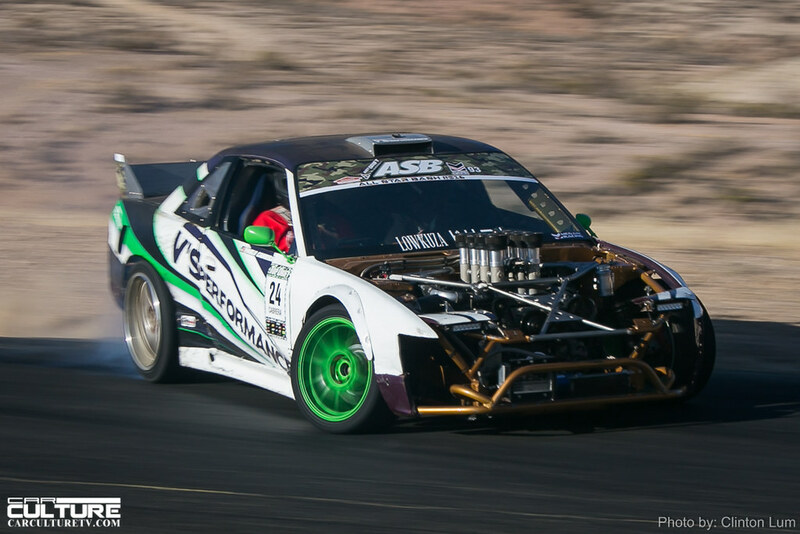 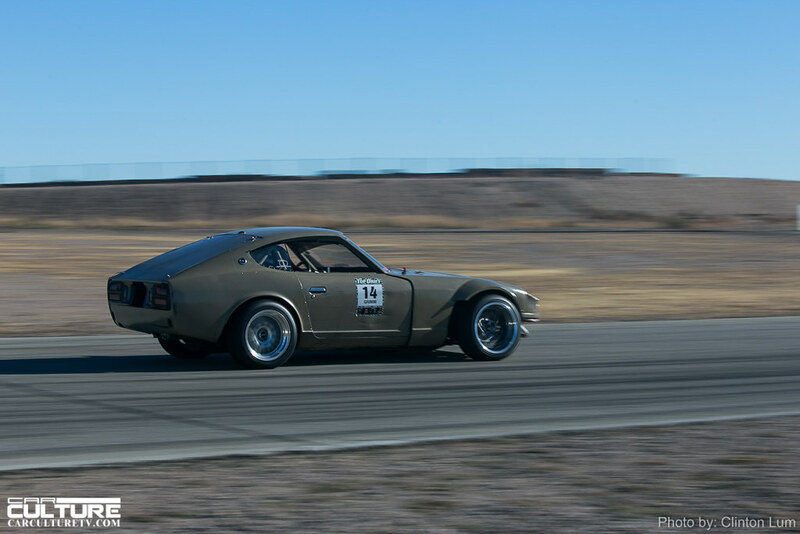 These drivers were ready for some hard action and their cars showed the battle scars from previous events. 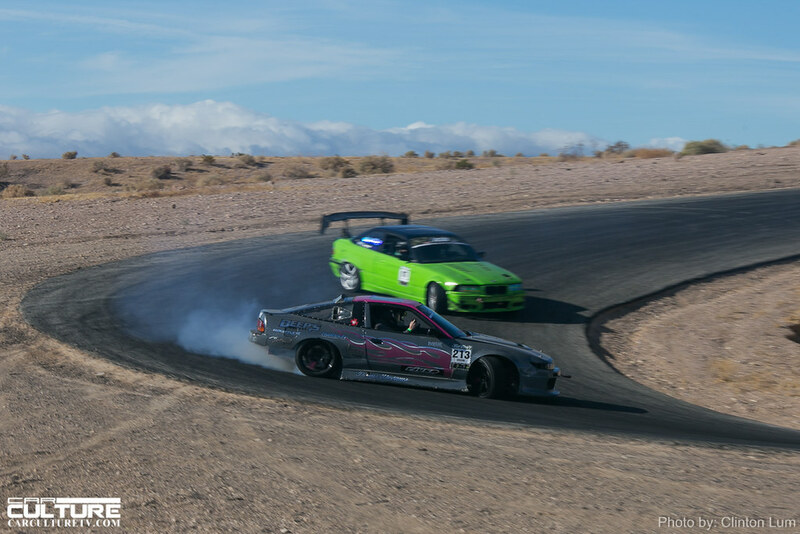 ASB utilizes two tracks at Willow Springs. 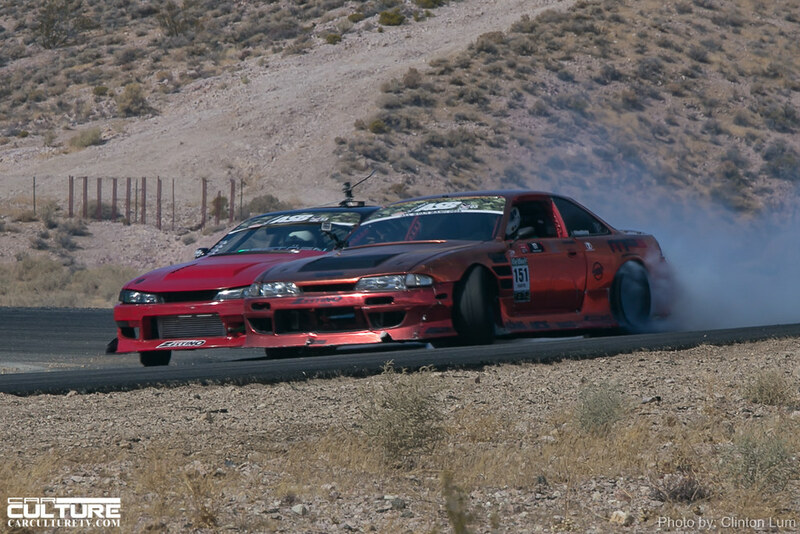 The Streets of Willow is mostly flat with some sections of elevation rises. 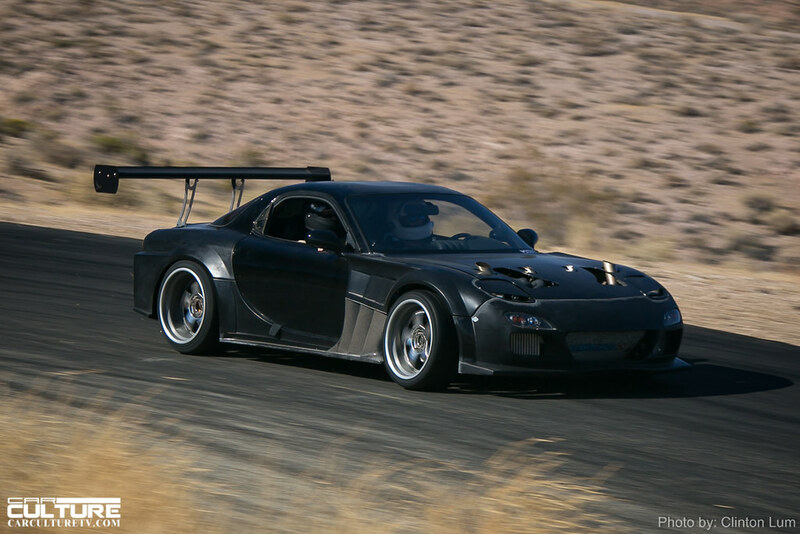 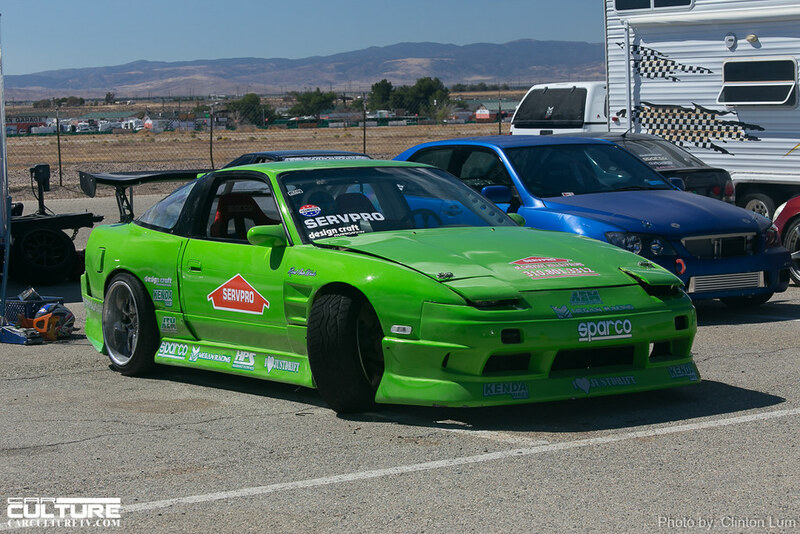 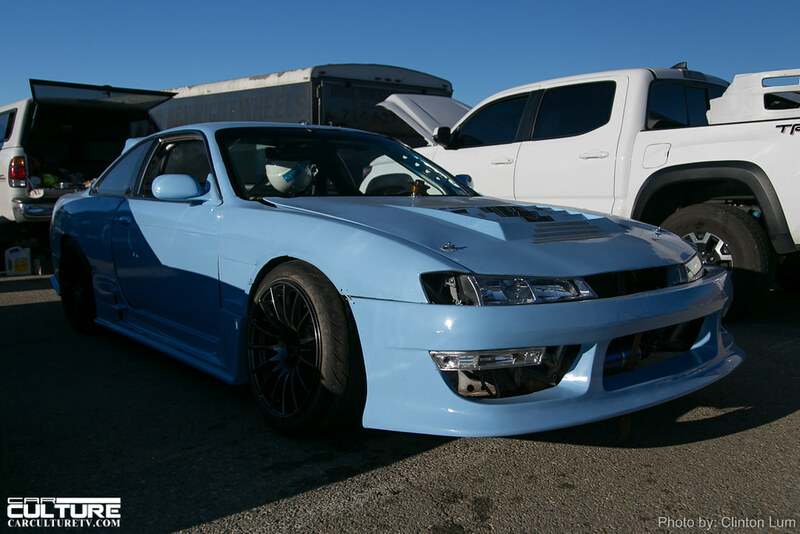 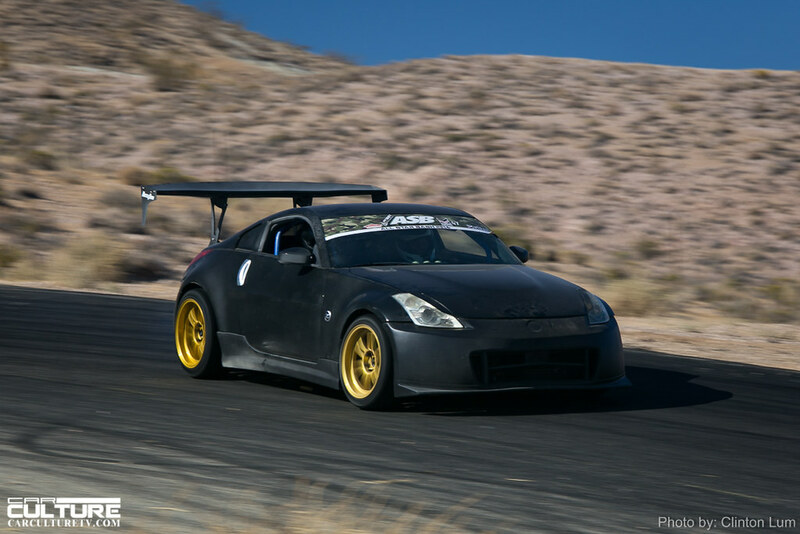 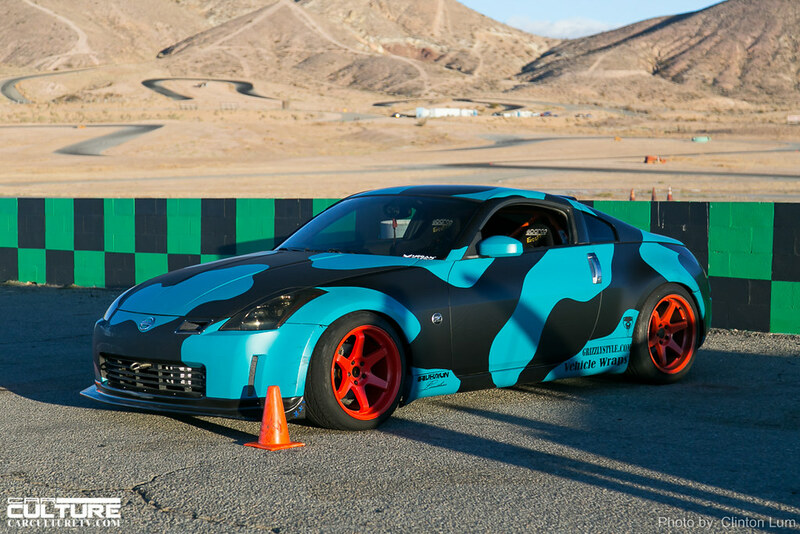 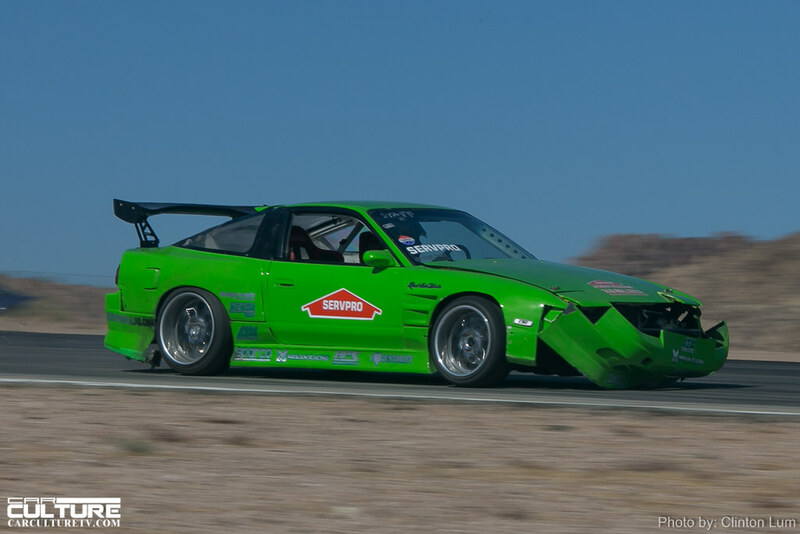 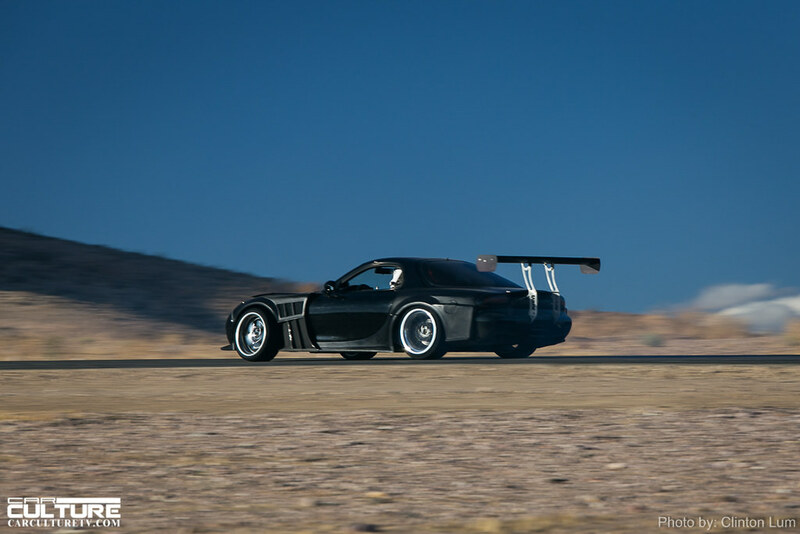 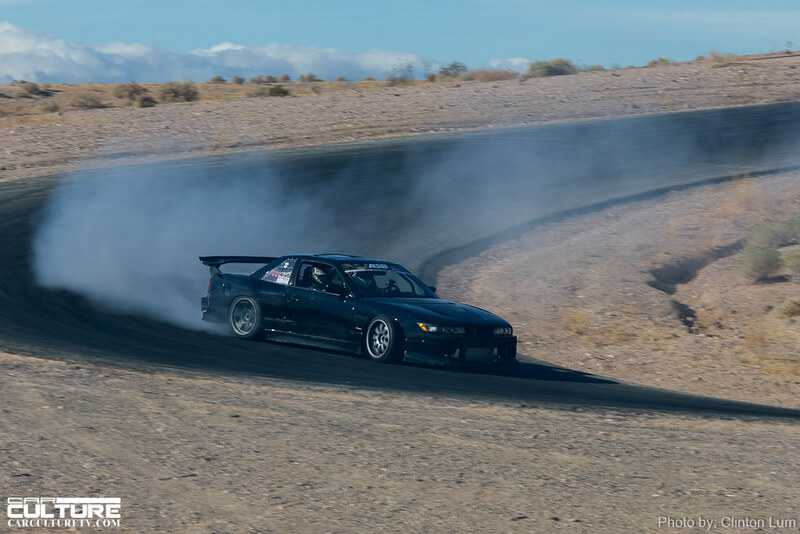 It has a long straightaway that allows for high speeds and a challenging drift initiation. 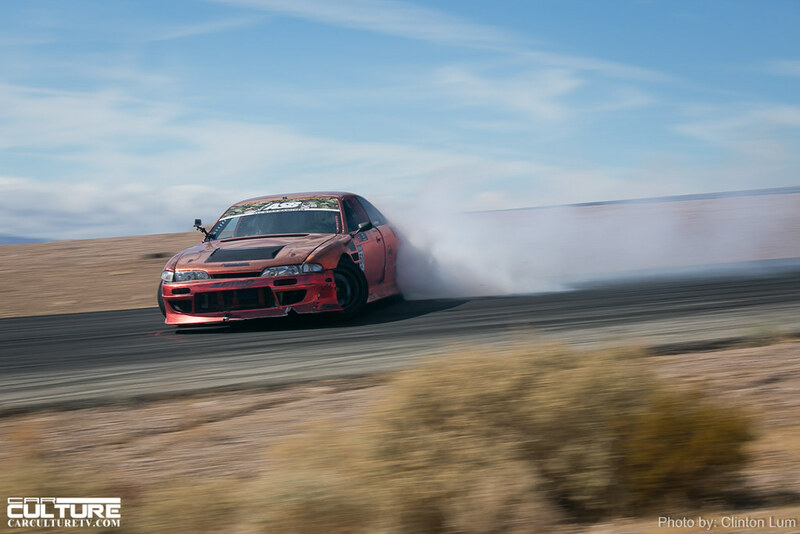 When going counter-clockwise, you either pull through the turn successfully, or you end up hitting some big orange barricades instead. 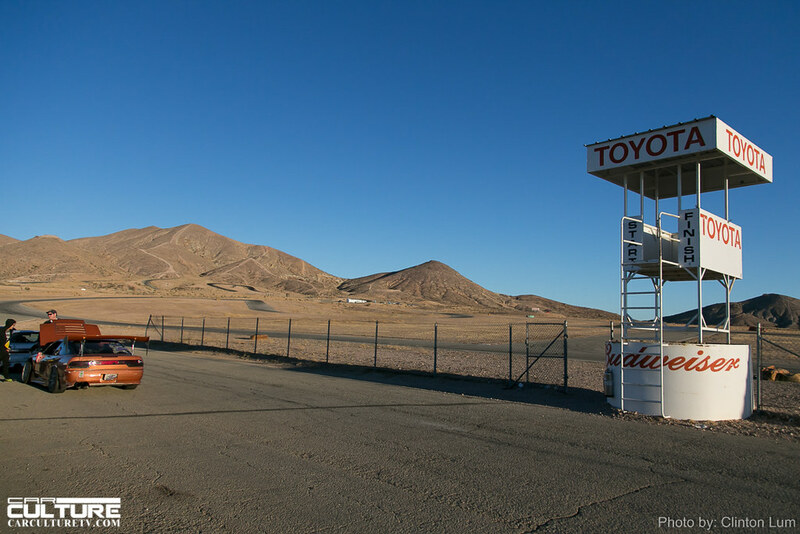 The second track is named Horse Thief Mile. 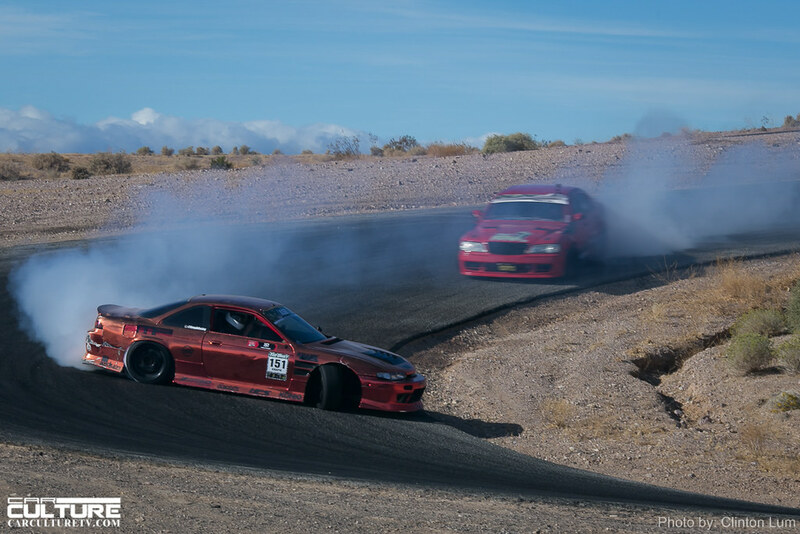 The course is up against a hillside which presents its own set of challenges. 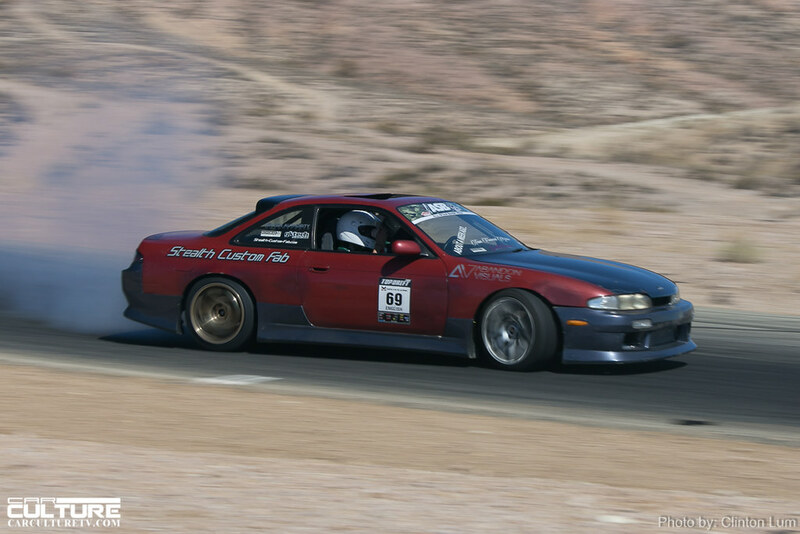 The accents up are usually no problem, it is the downhill drifting that becomes the challenge. 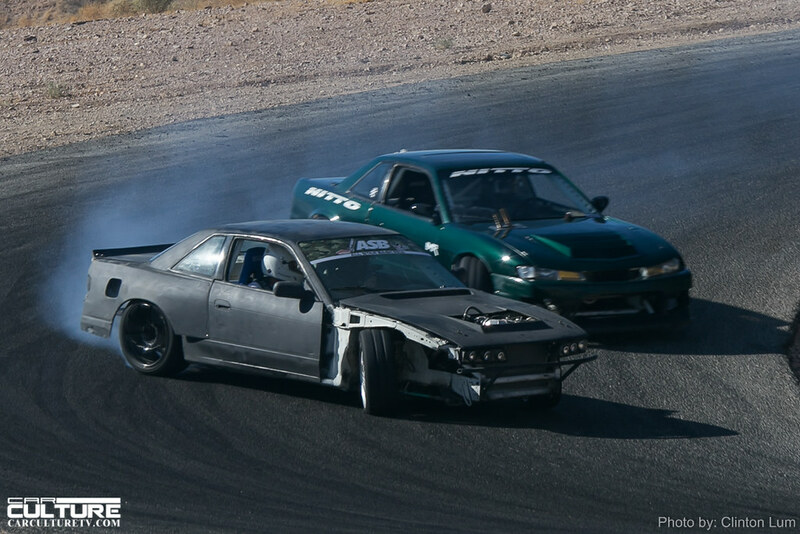 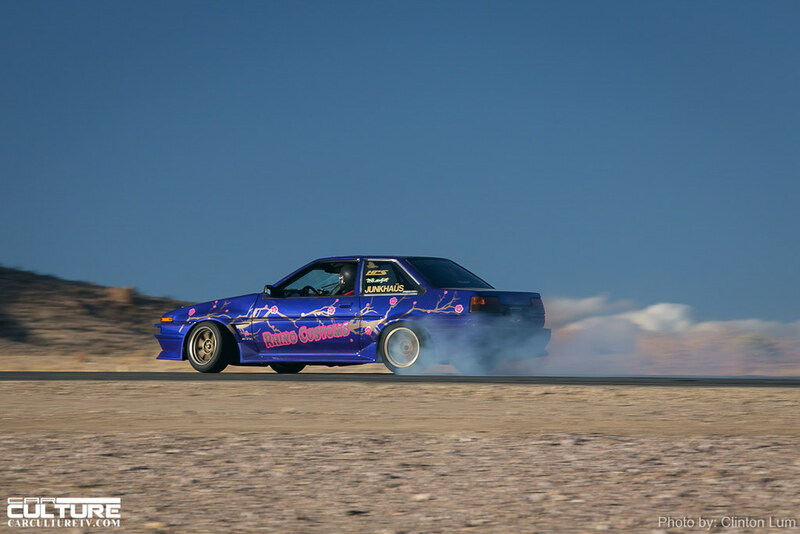 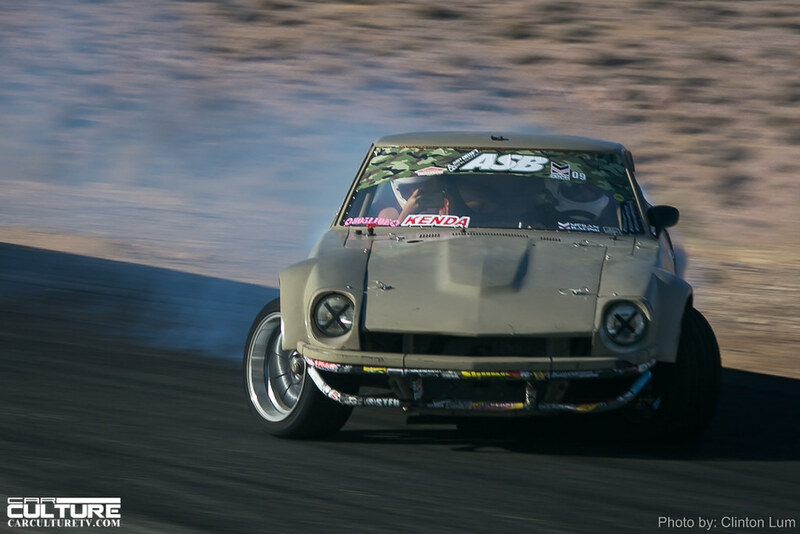 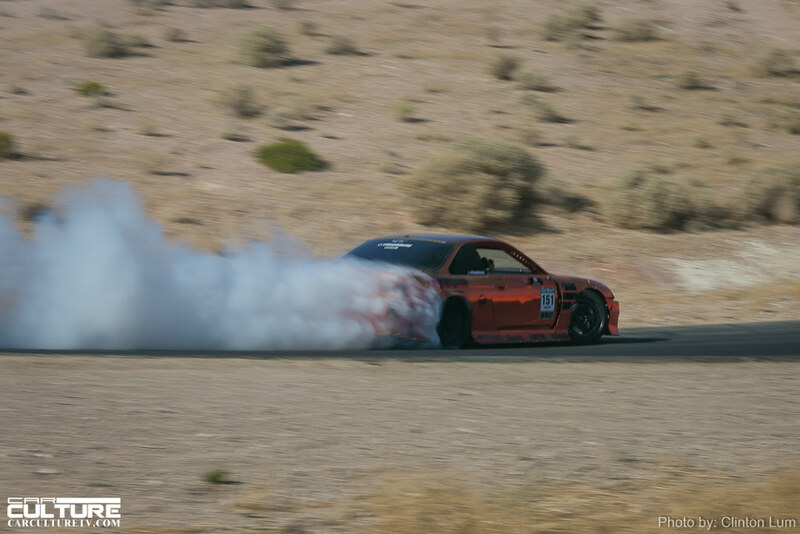 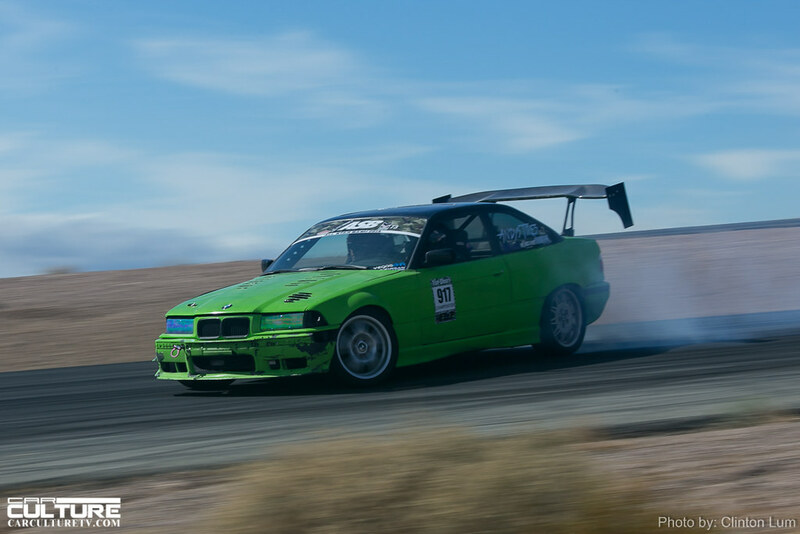 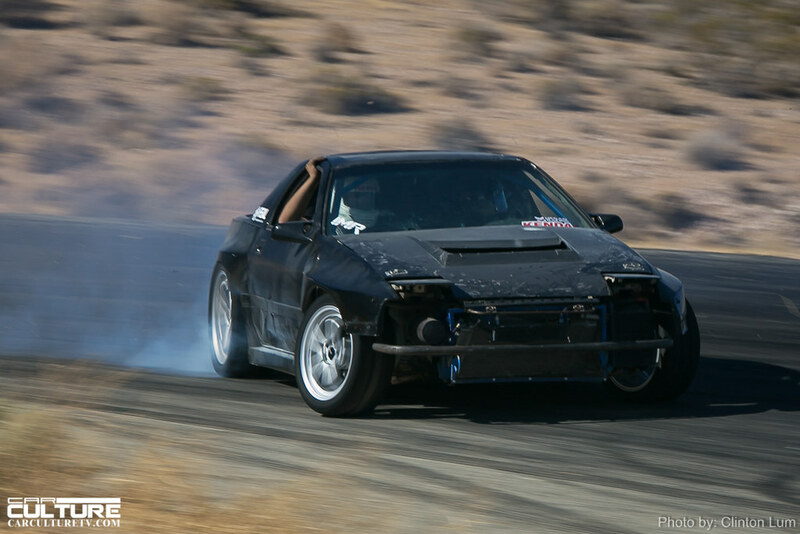 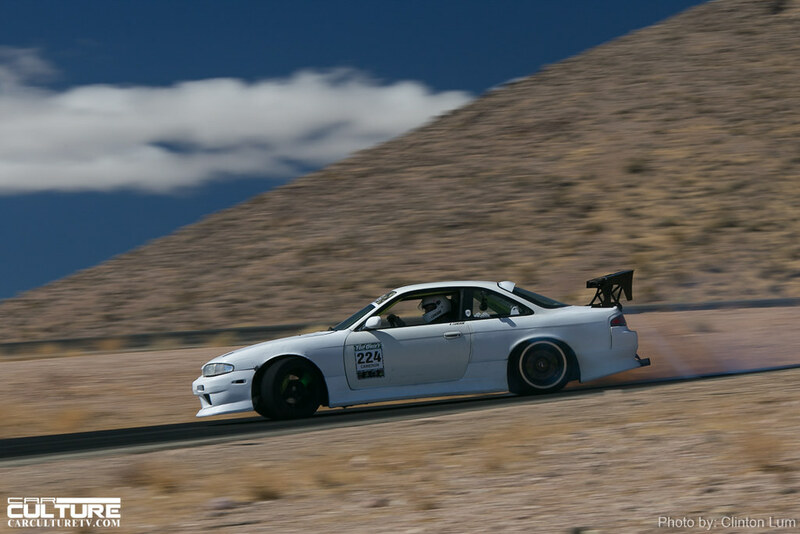 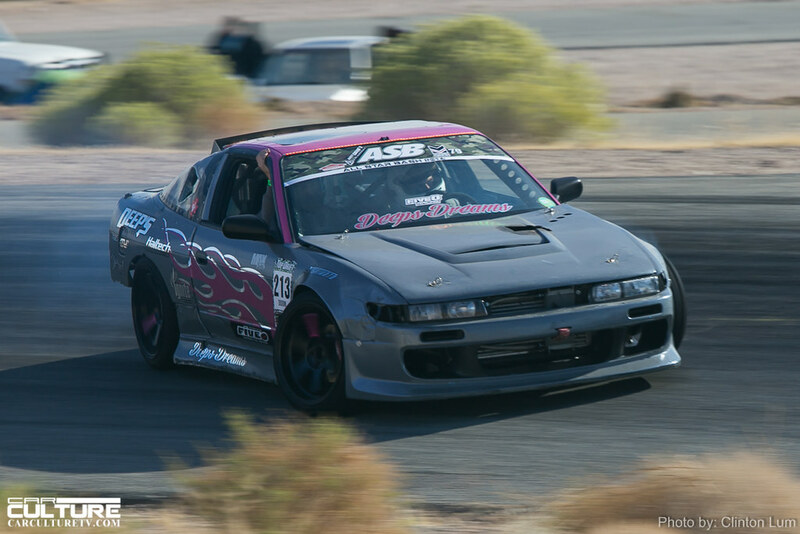 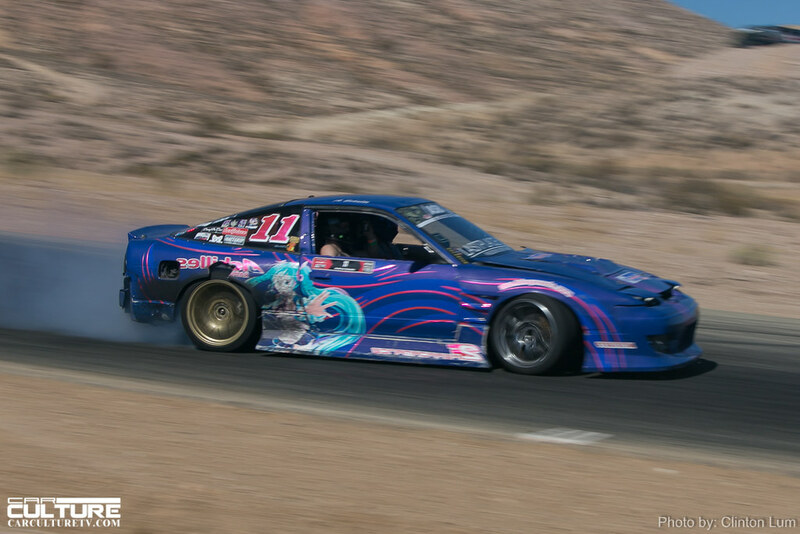 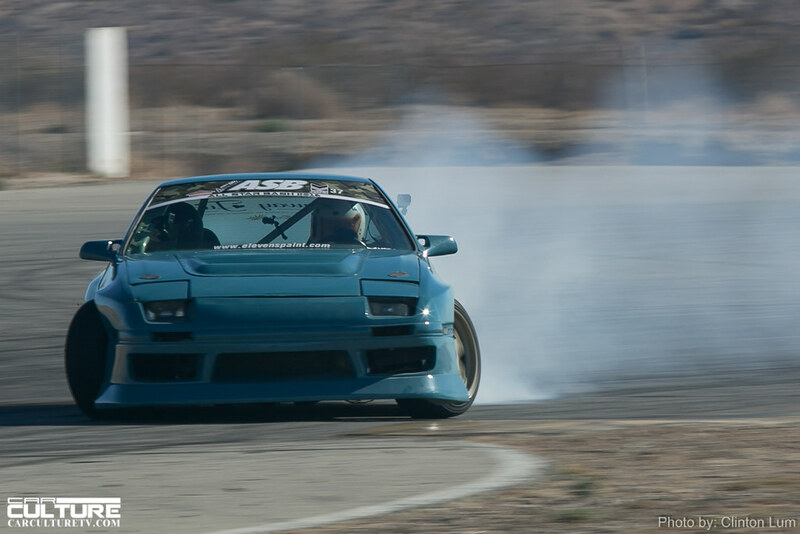 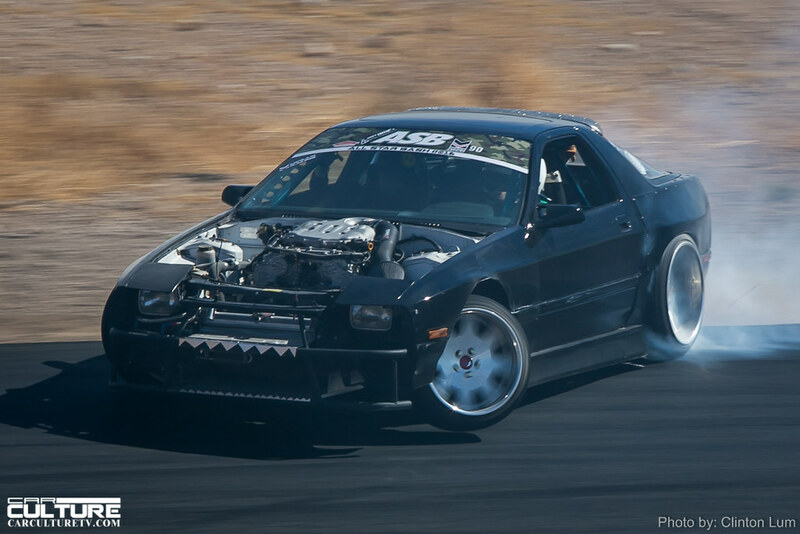 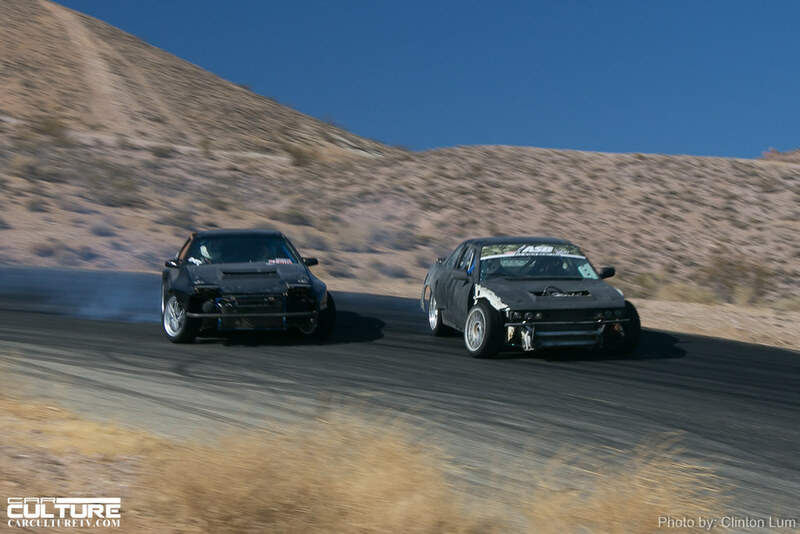 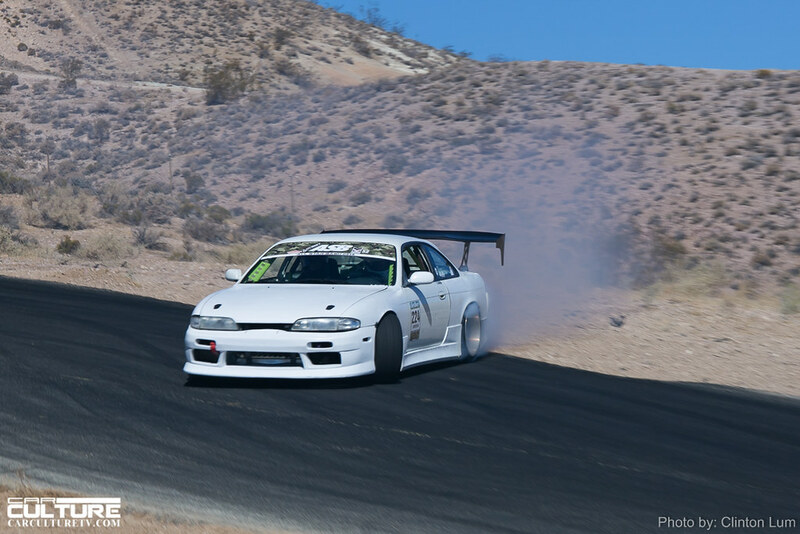 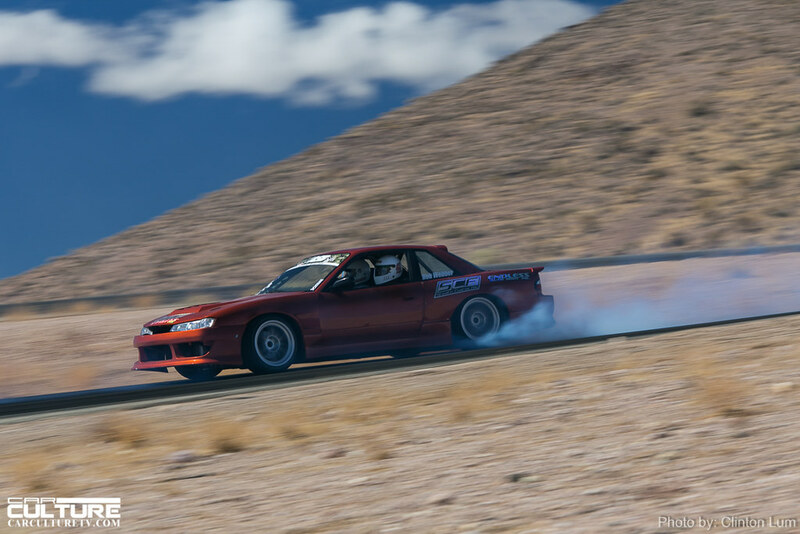 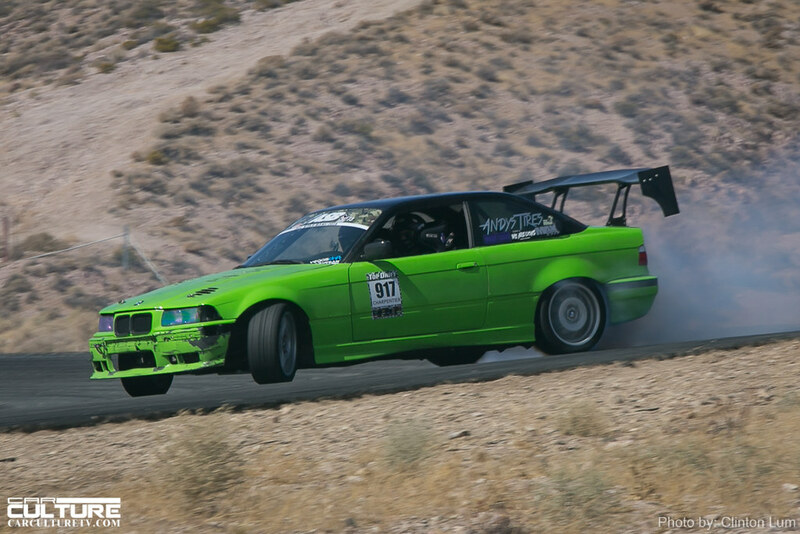 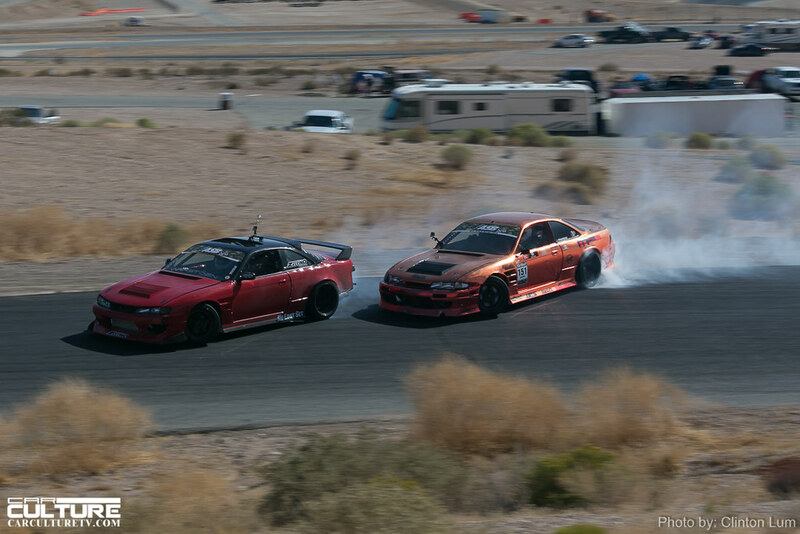 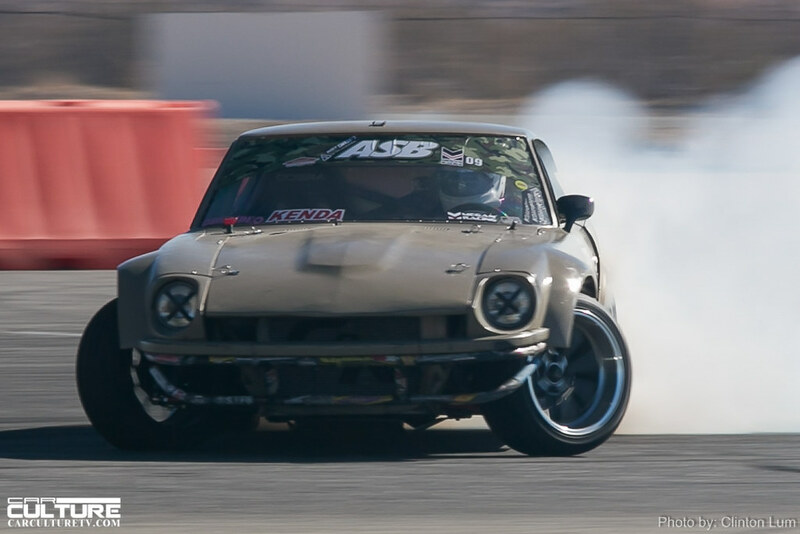 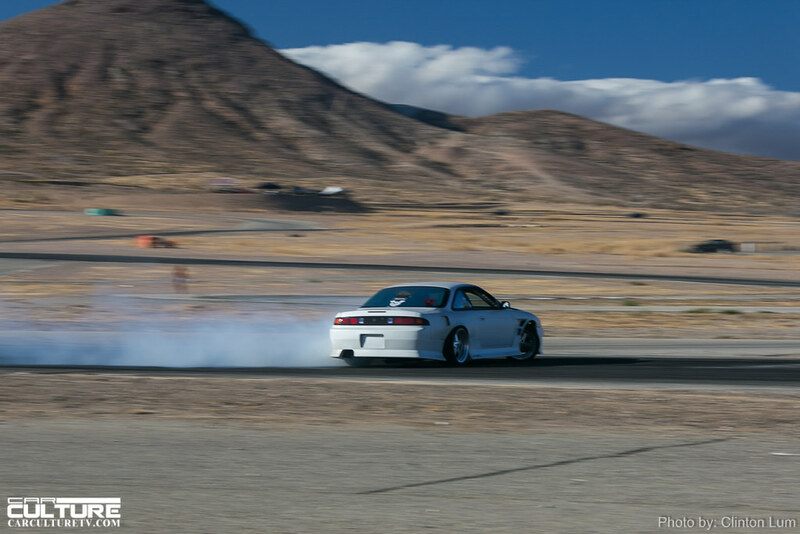 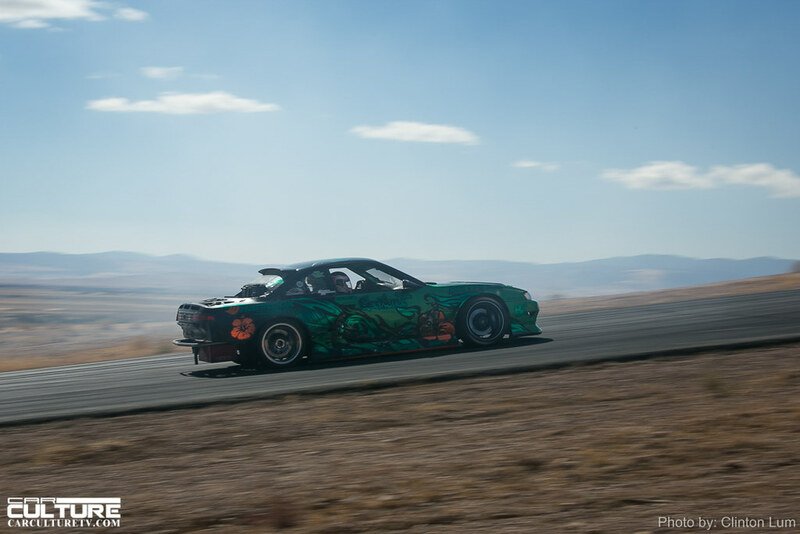 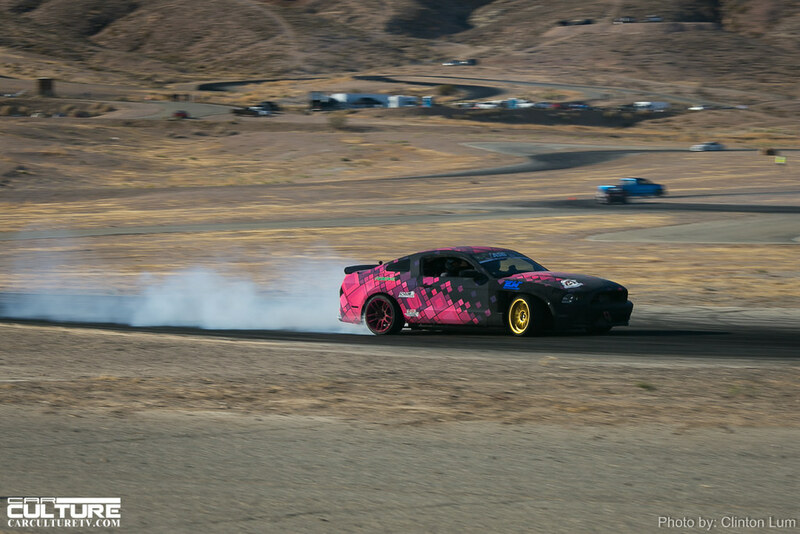 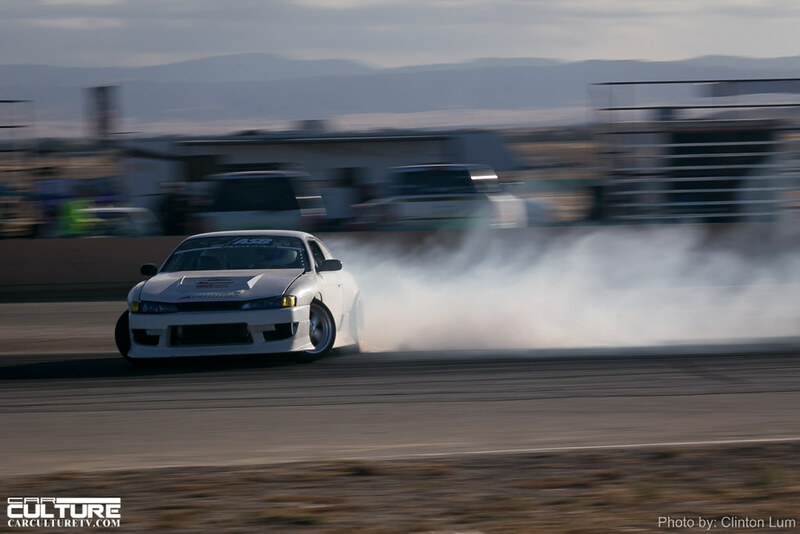 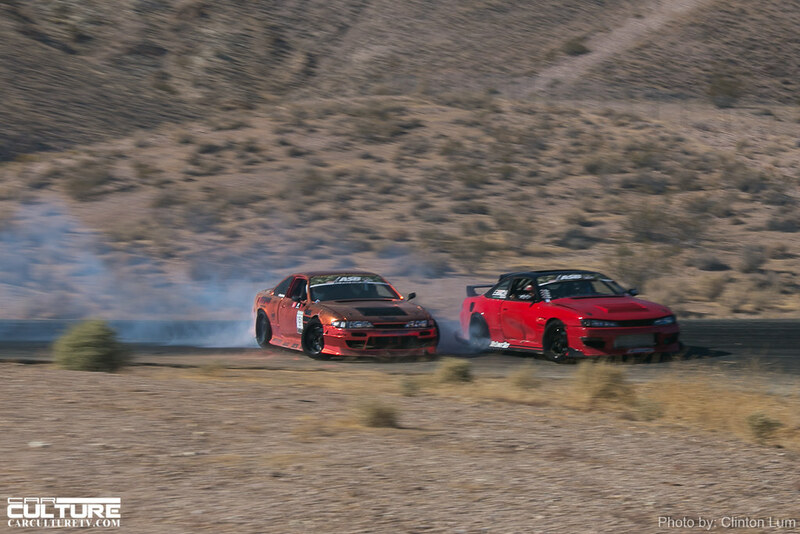 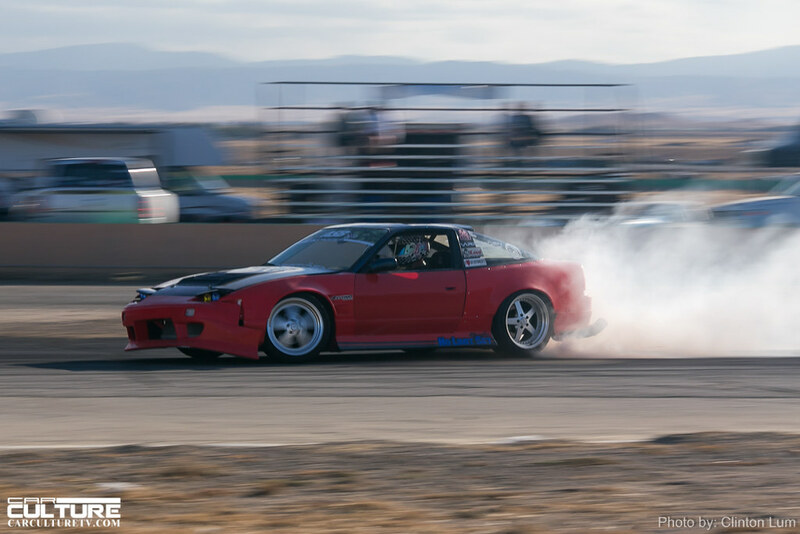 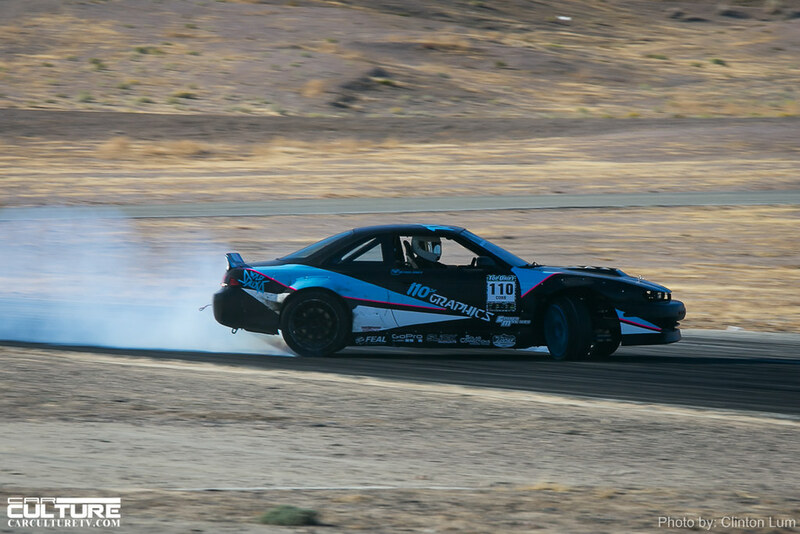 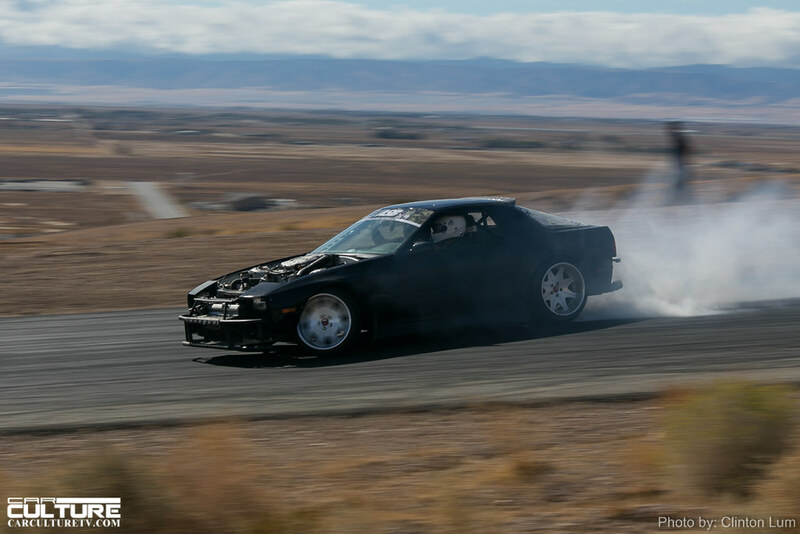 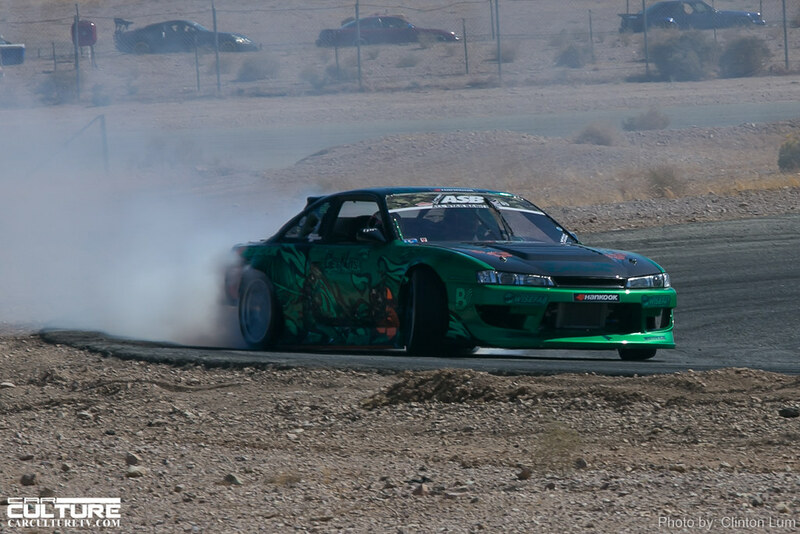 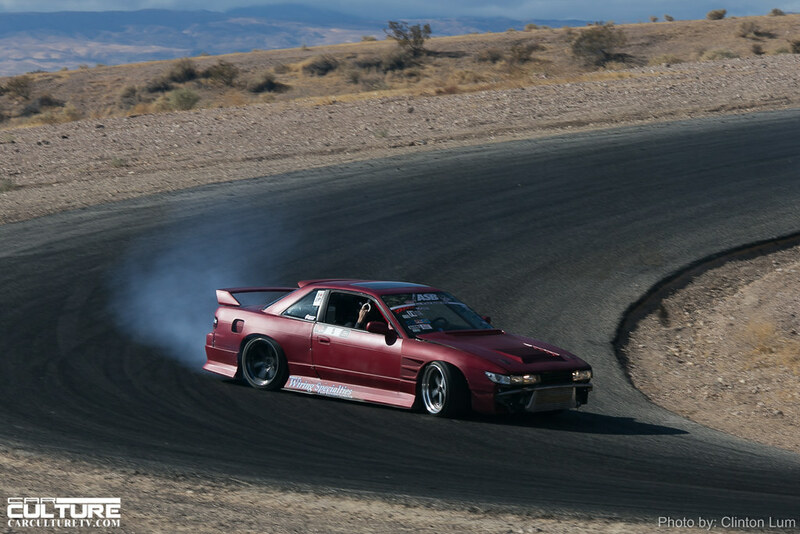 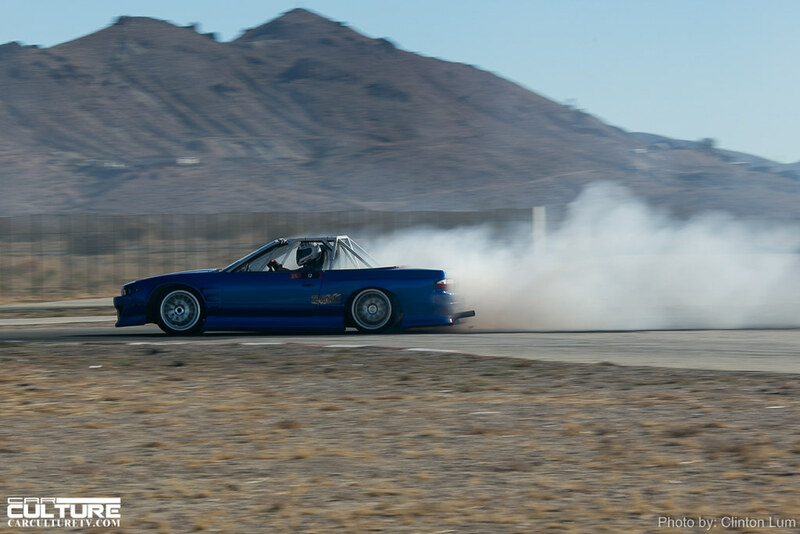 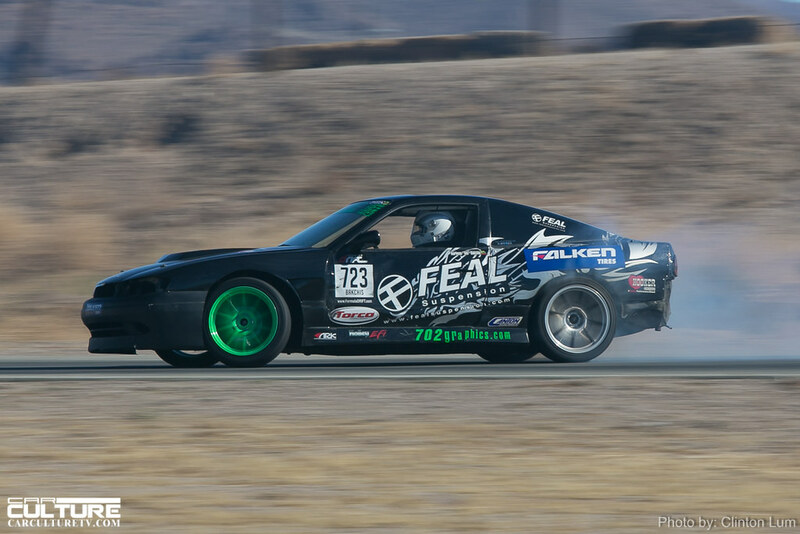 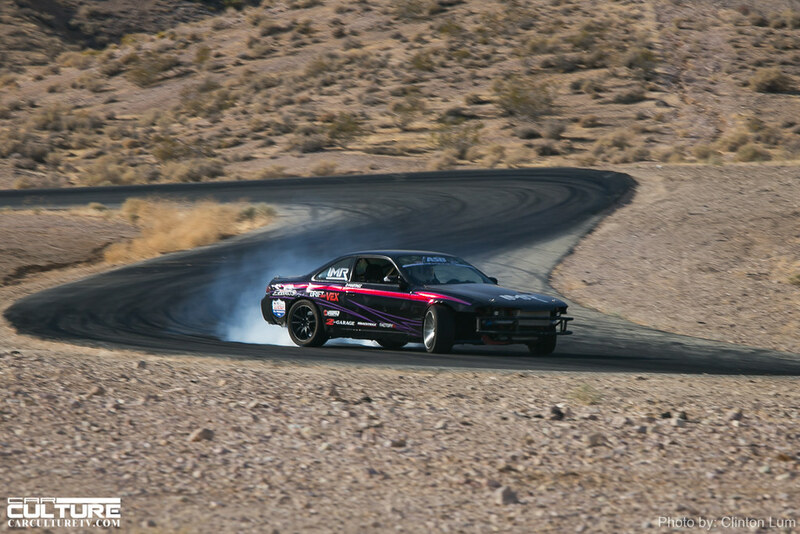 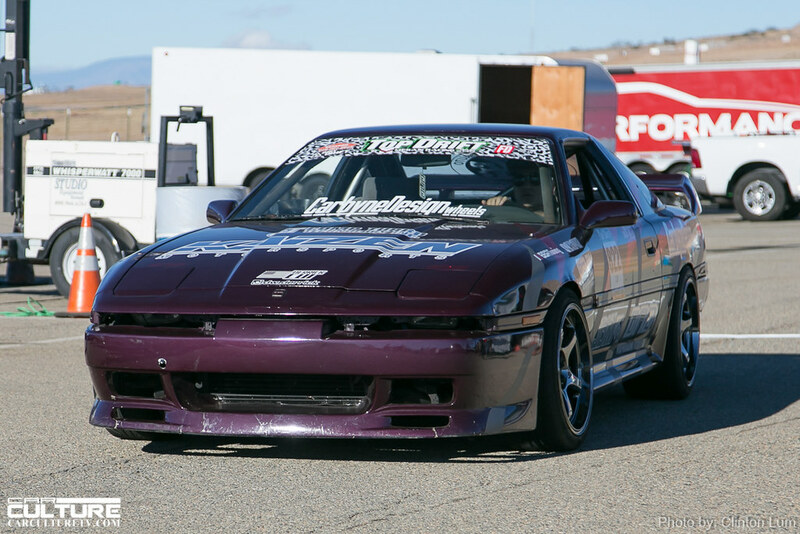 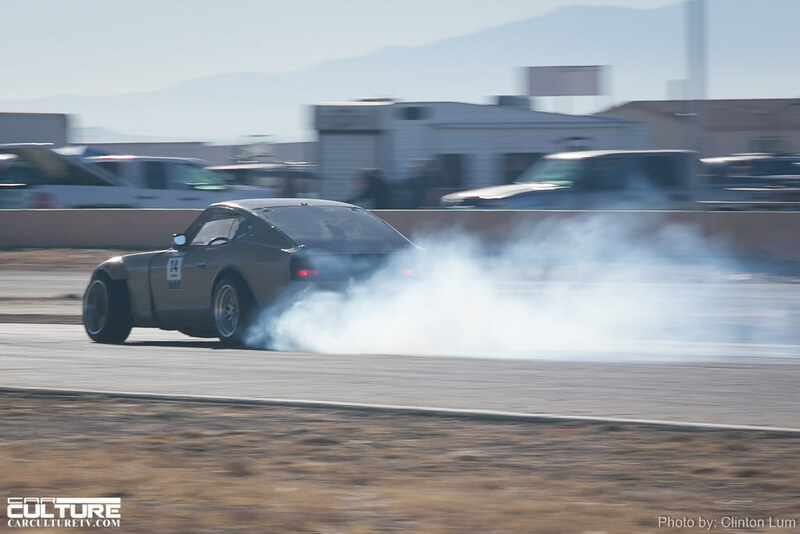 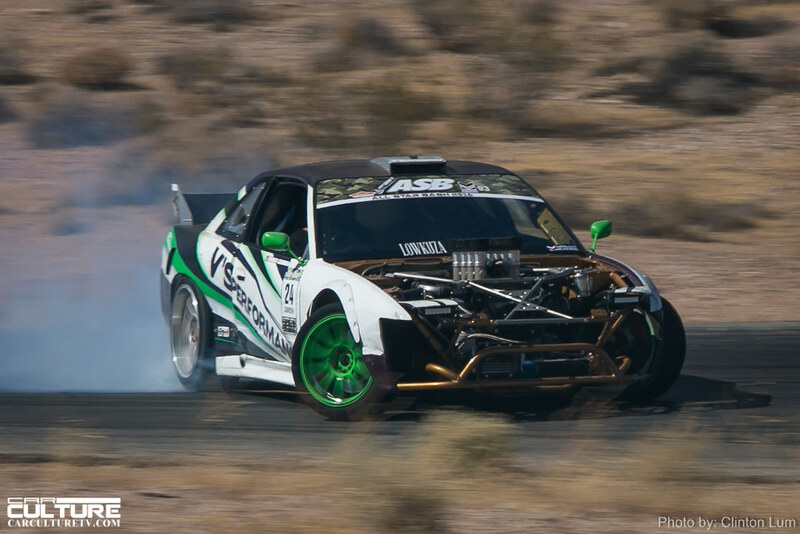 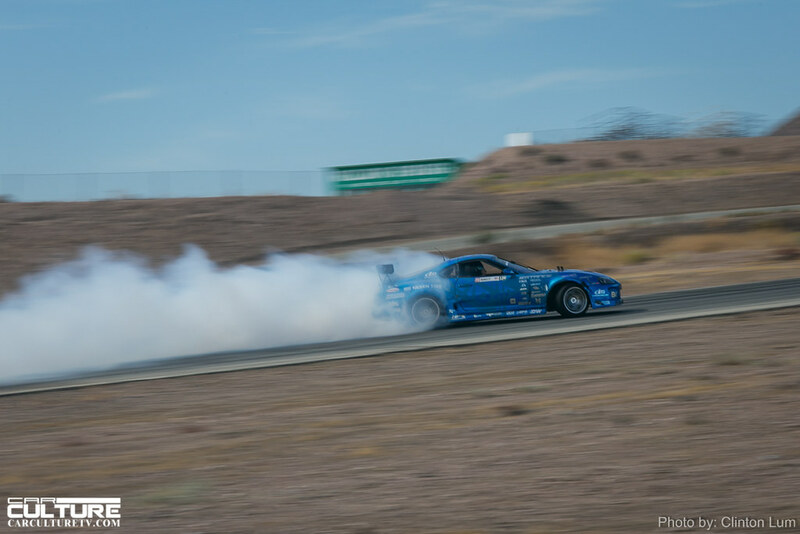 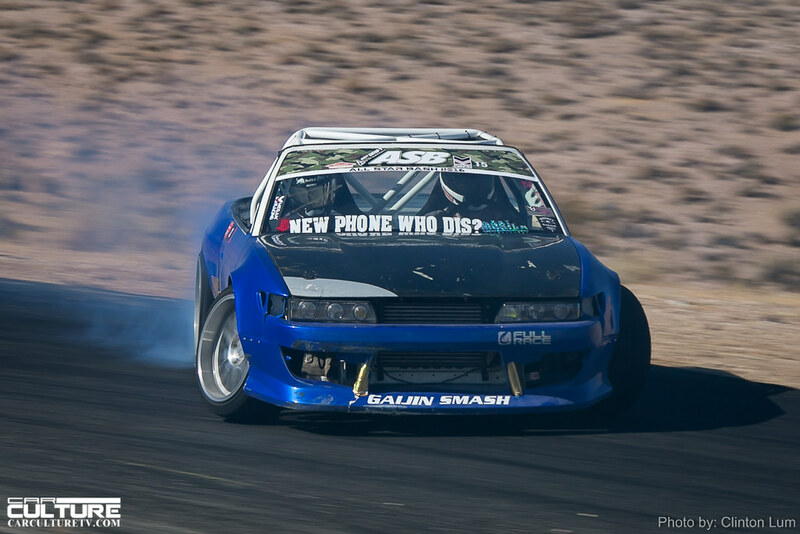 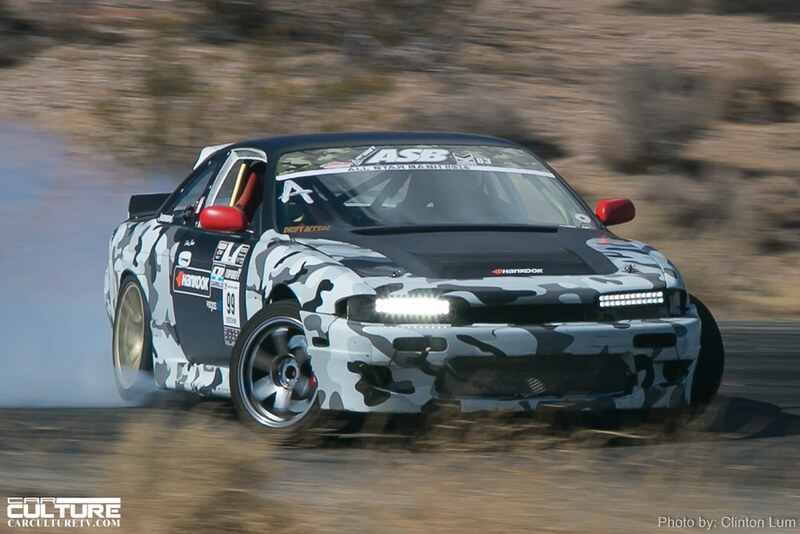 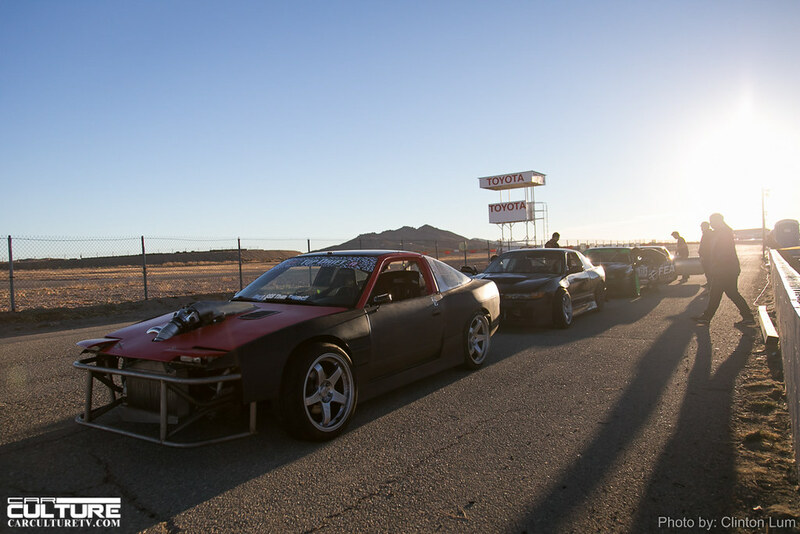 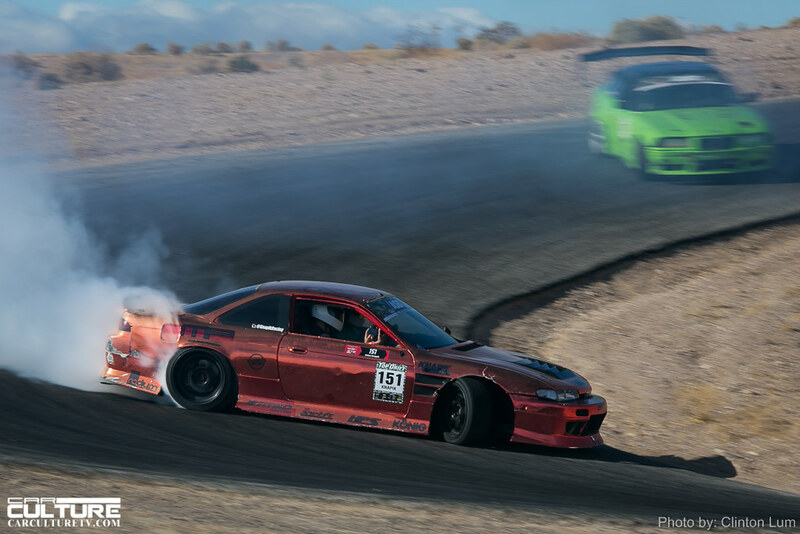 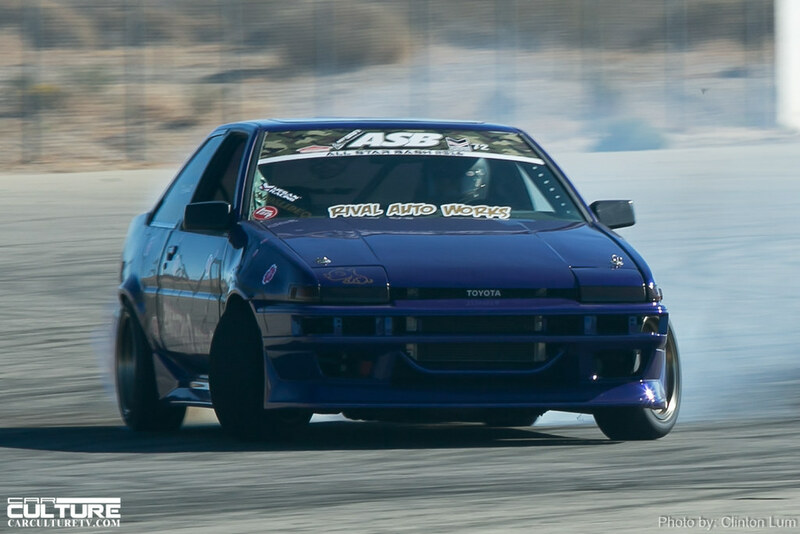 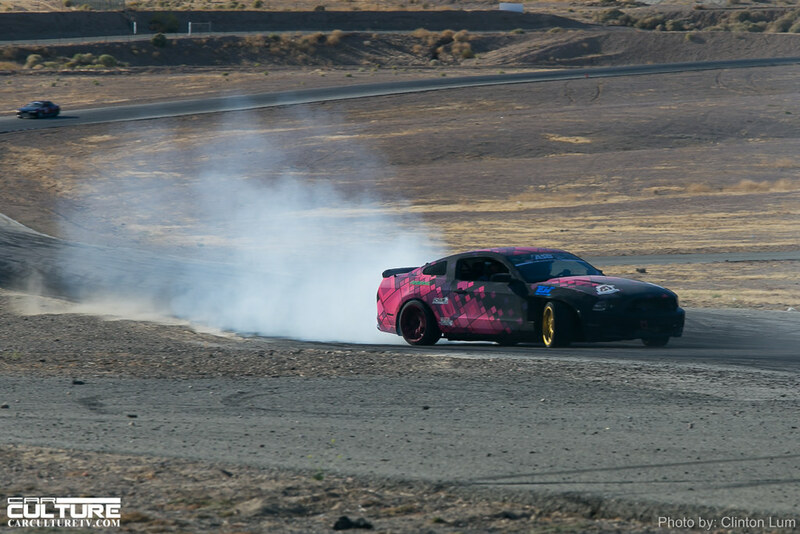 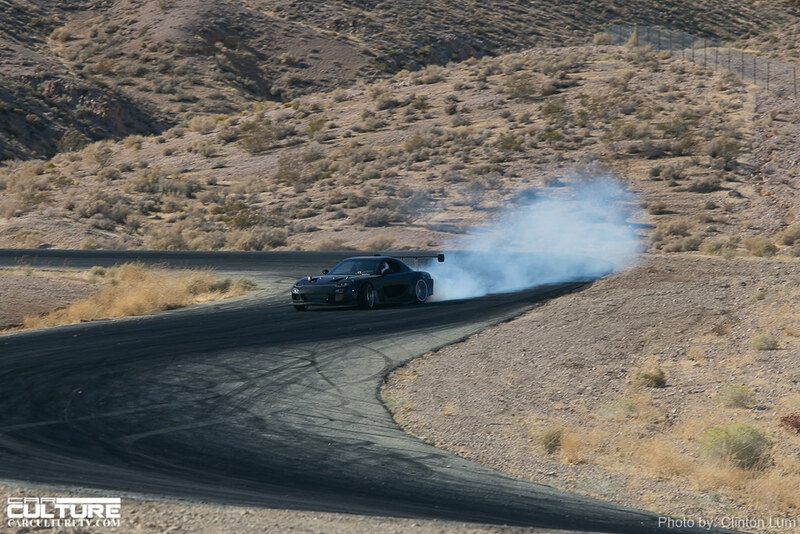 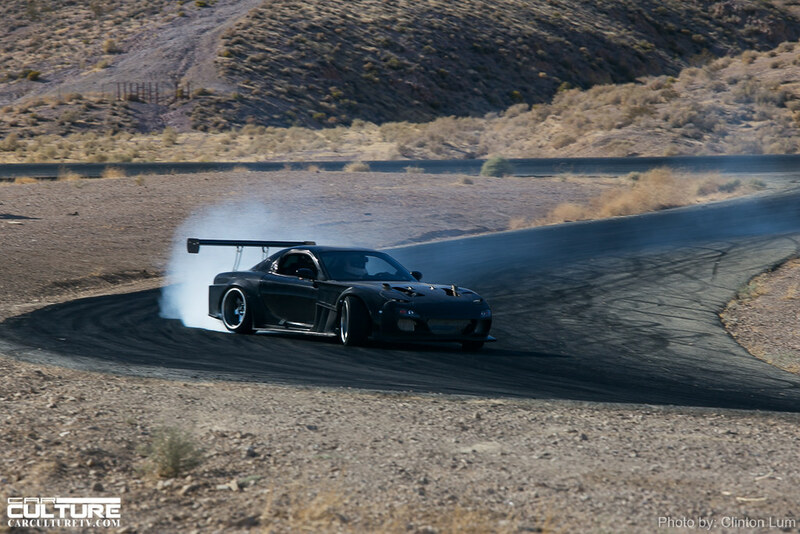 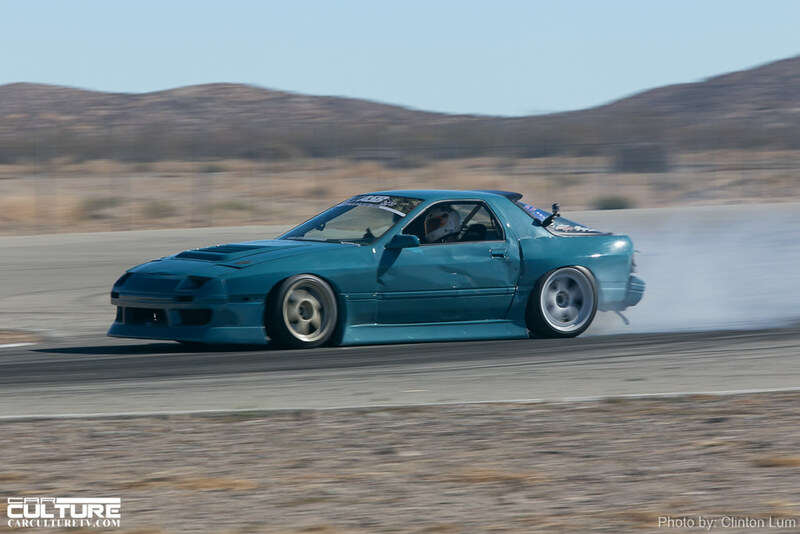 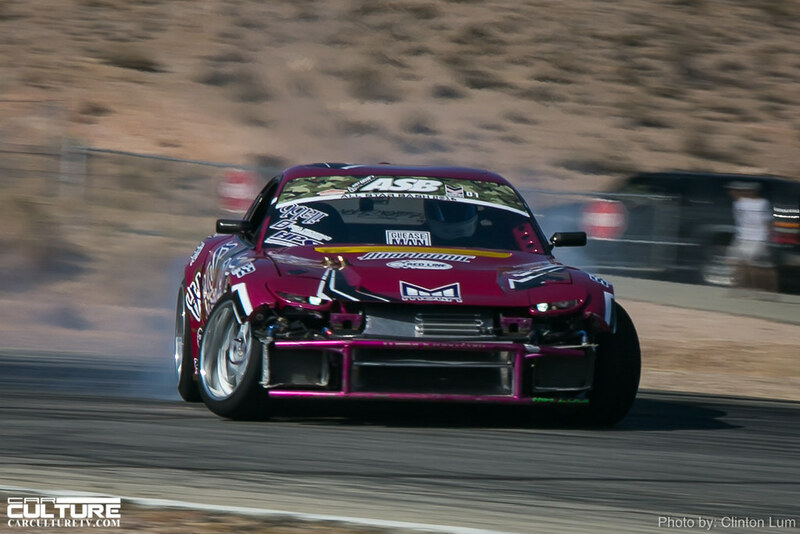 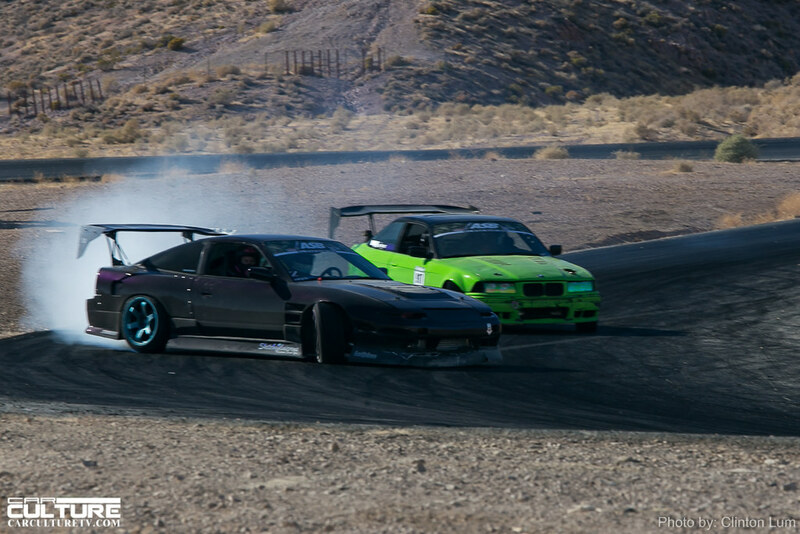 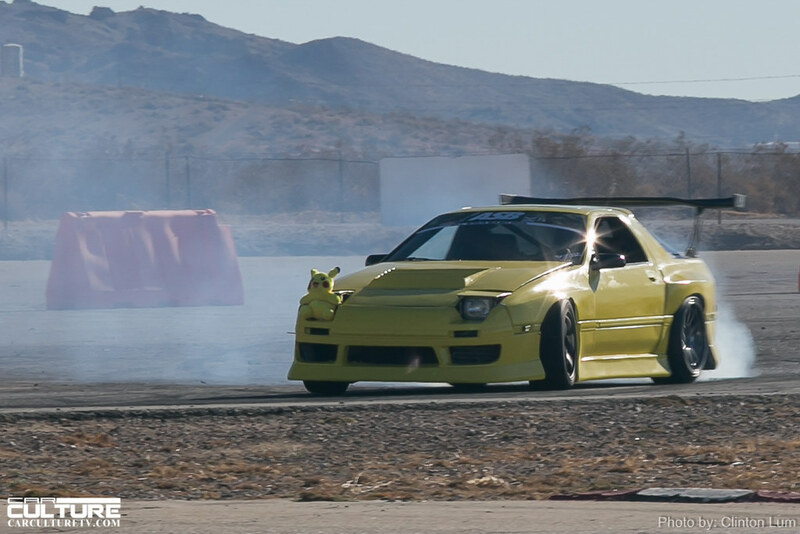 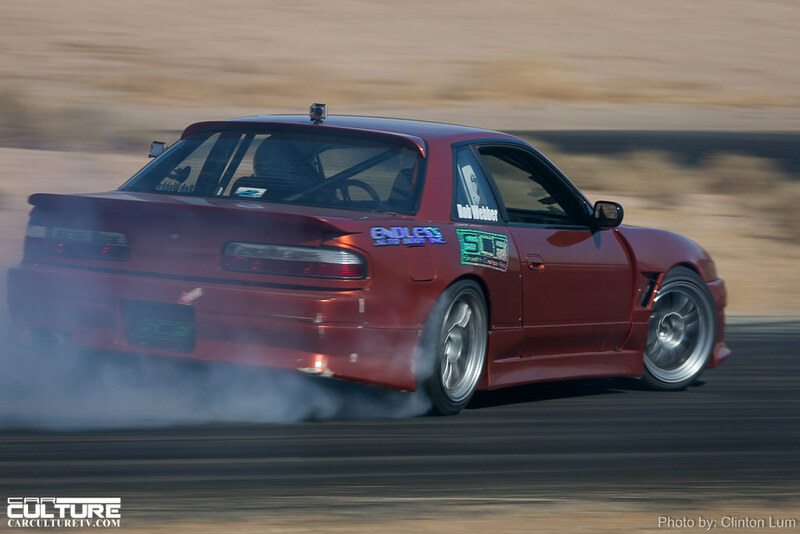 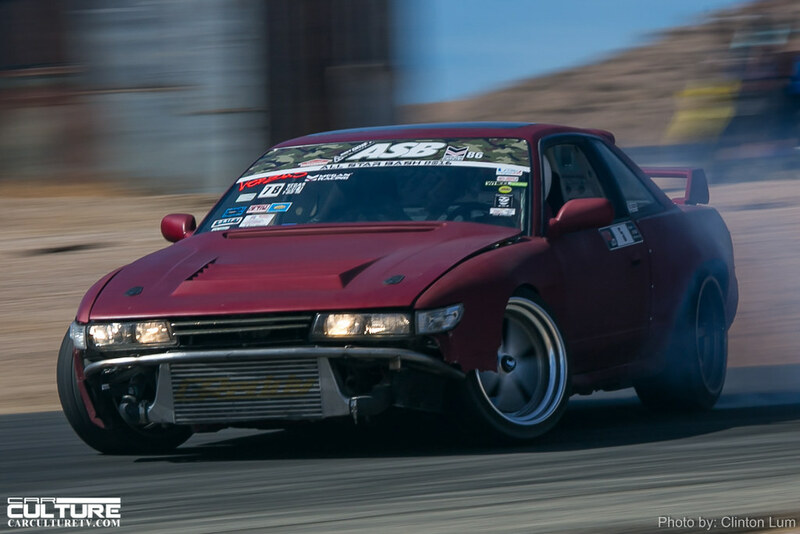 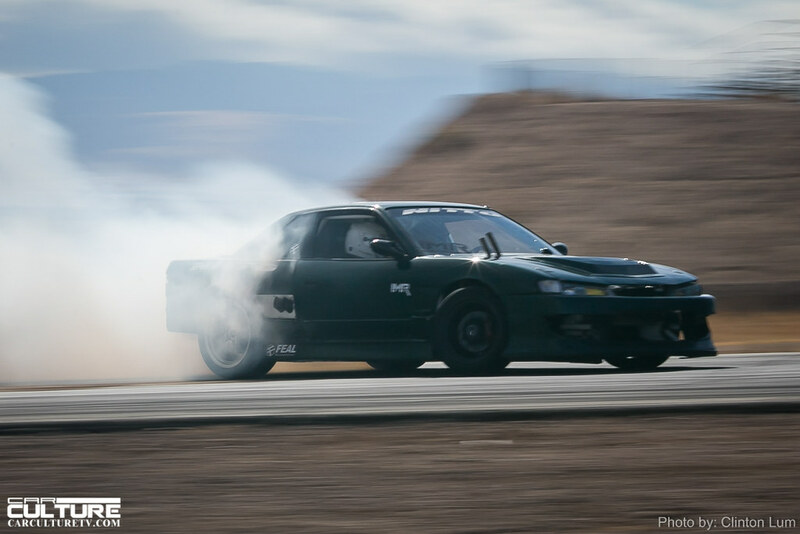 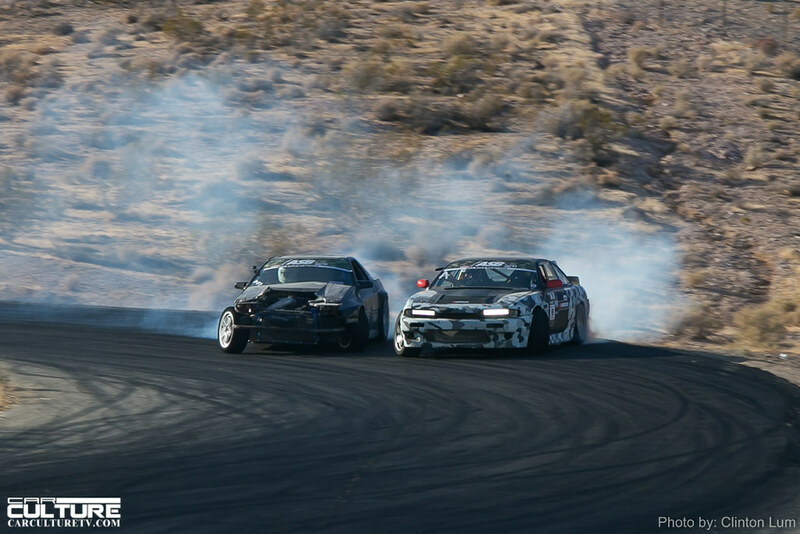 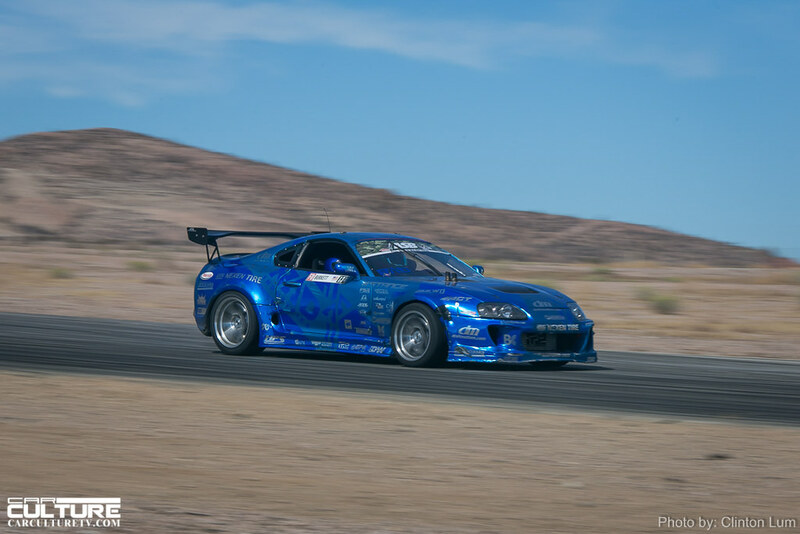 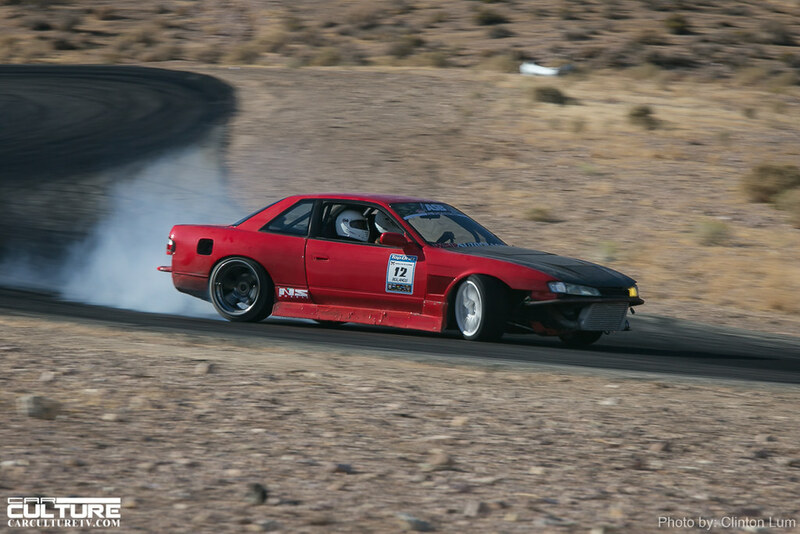 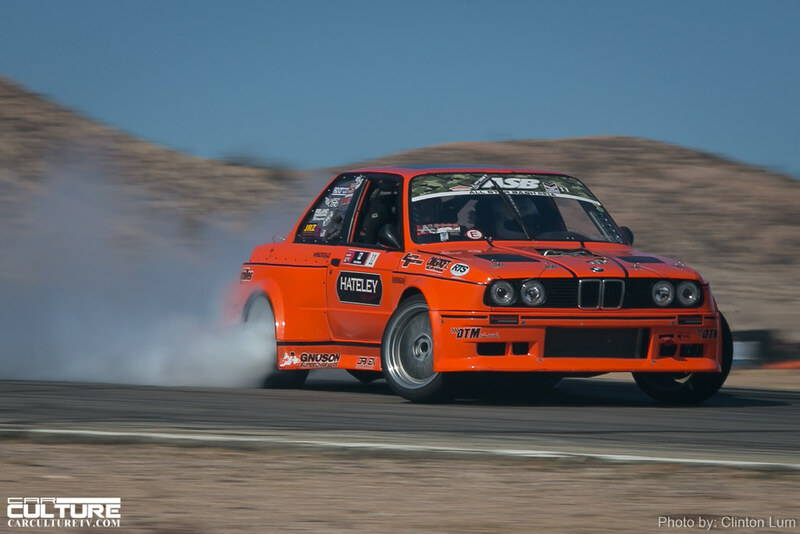 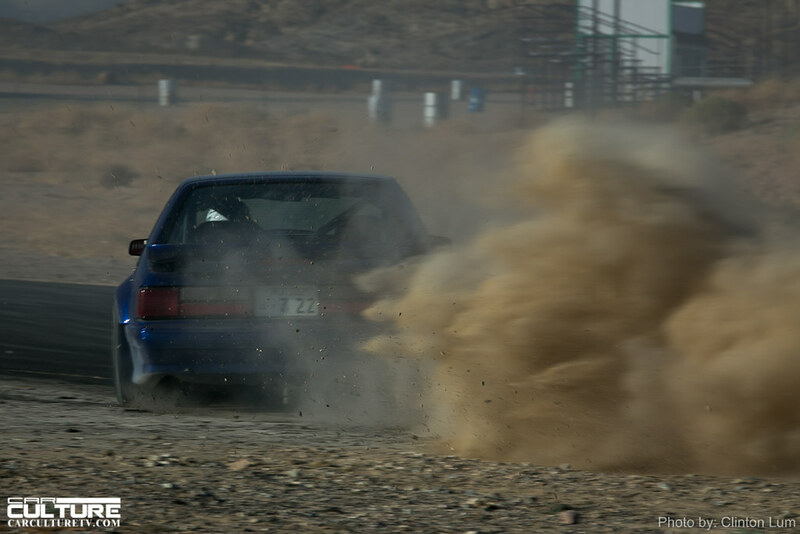 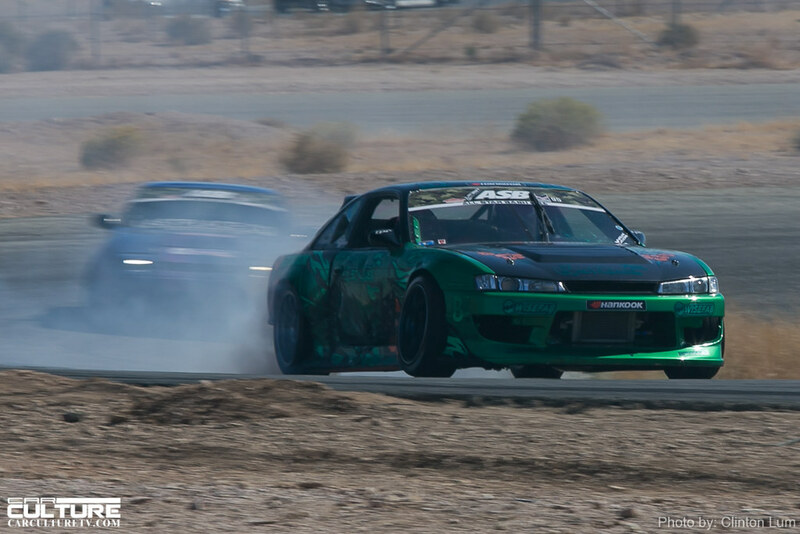 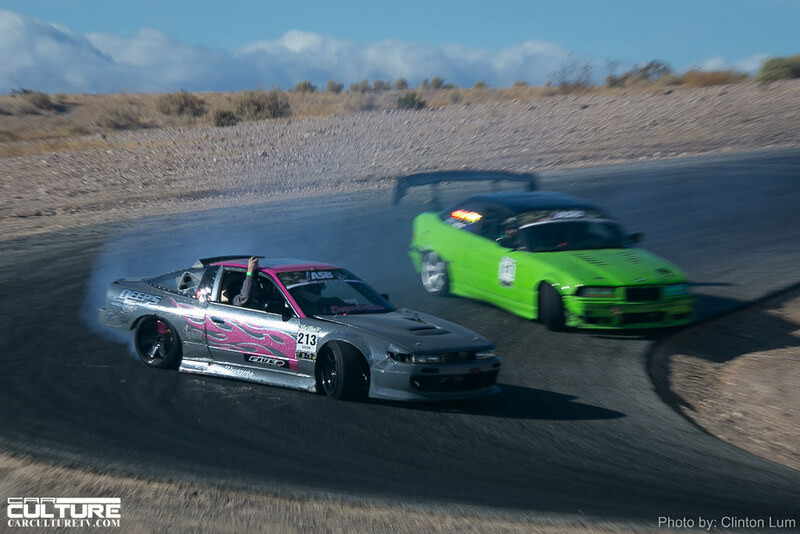 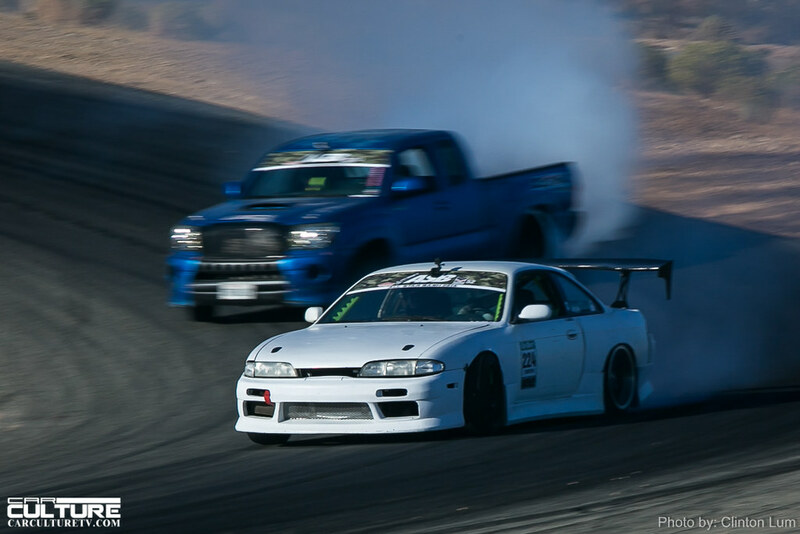 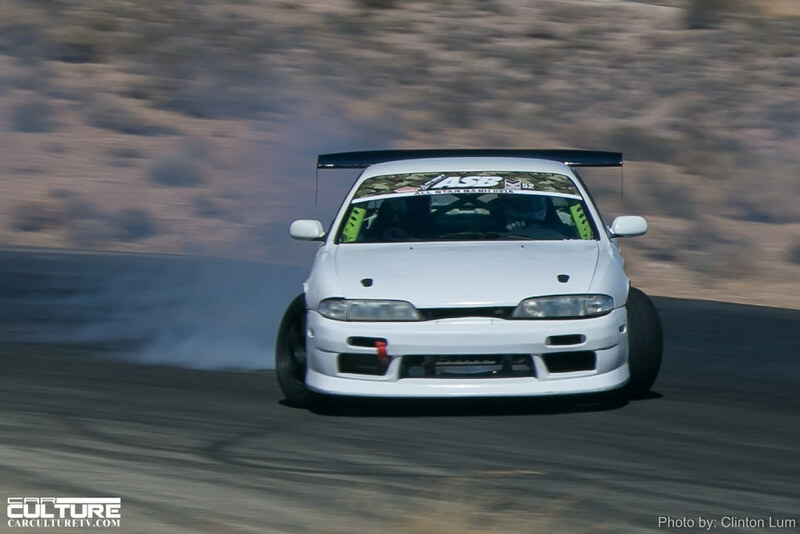 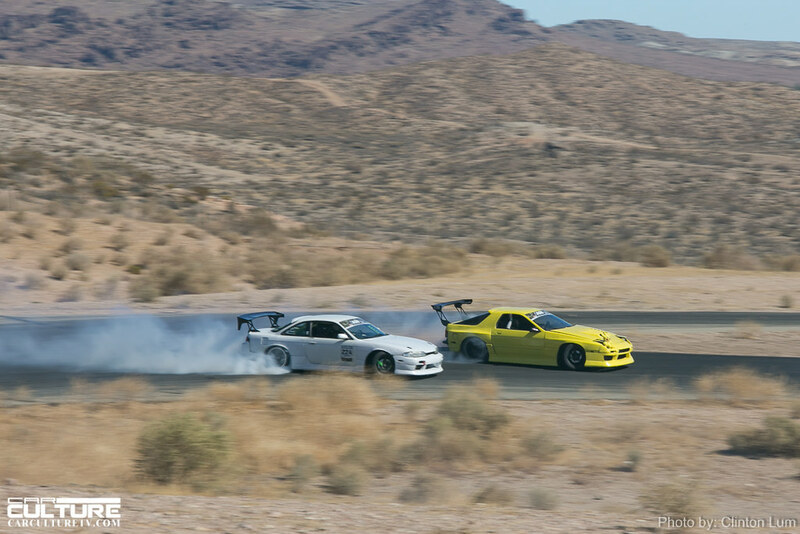 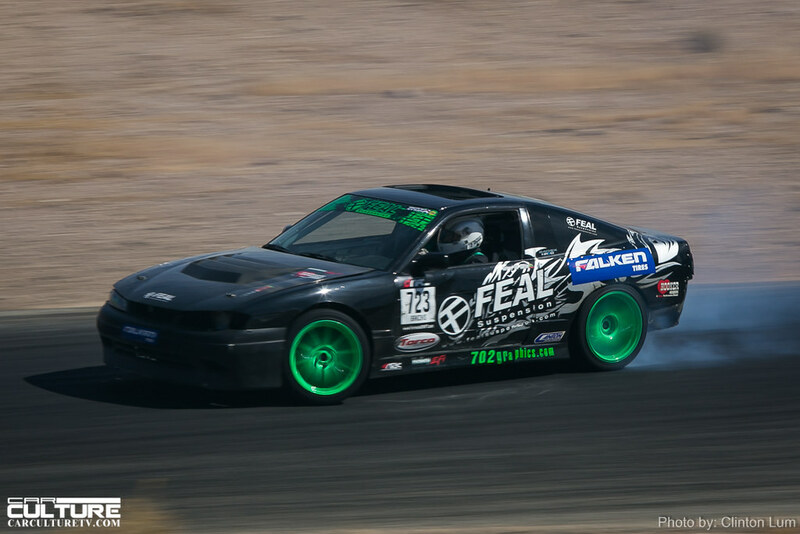 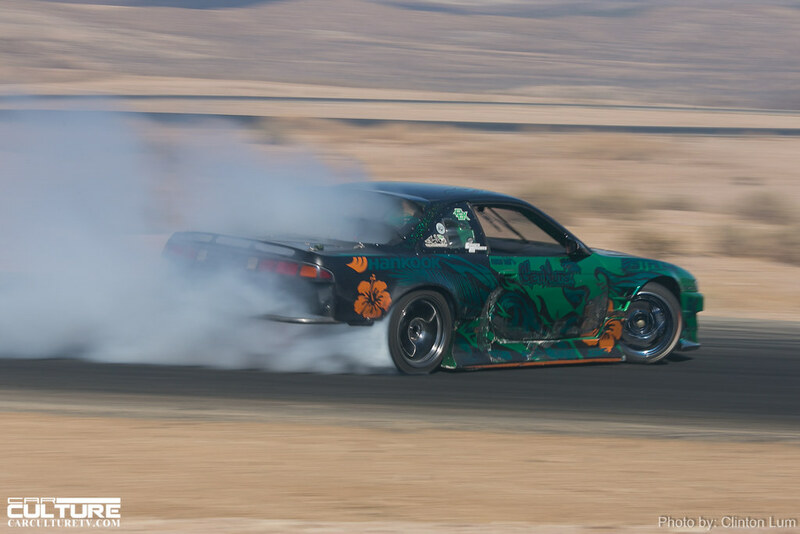 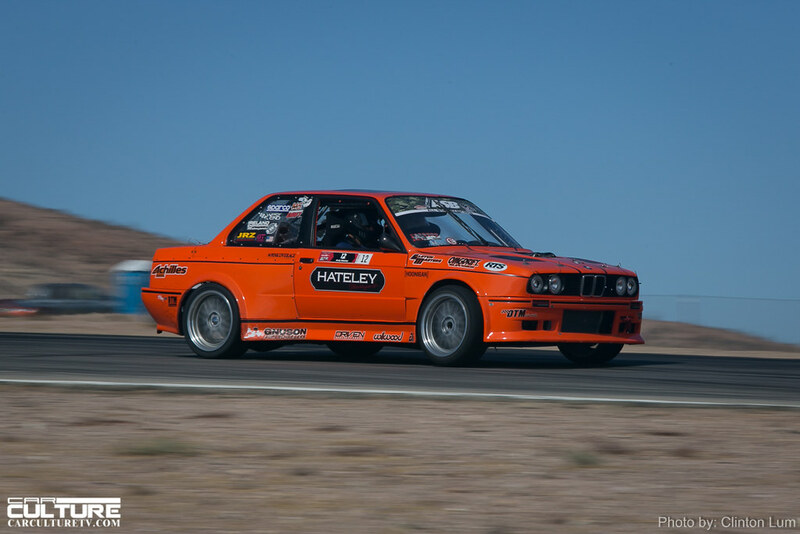 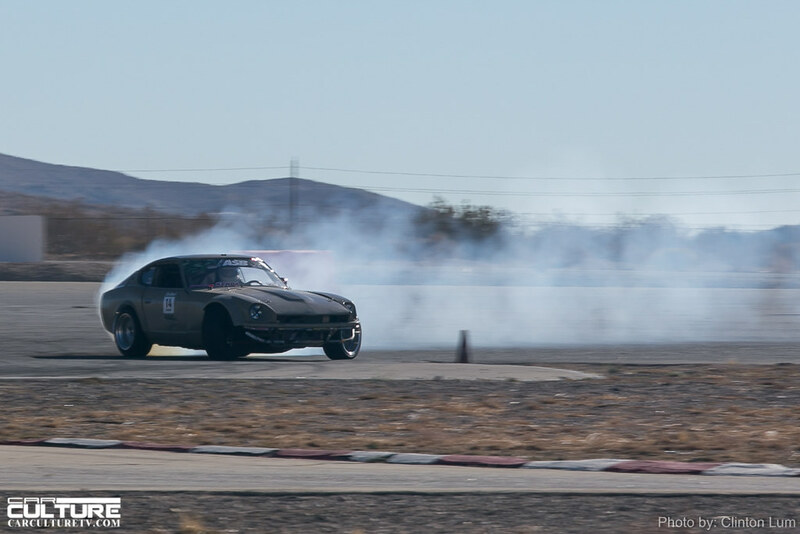 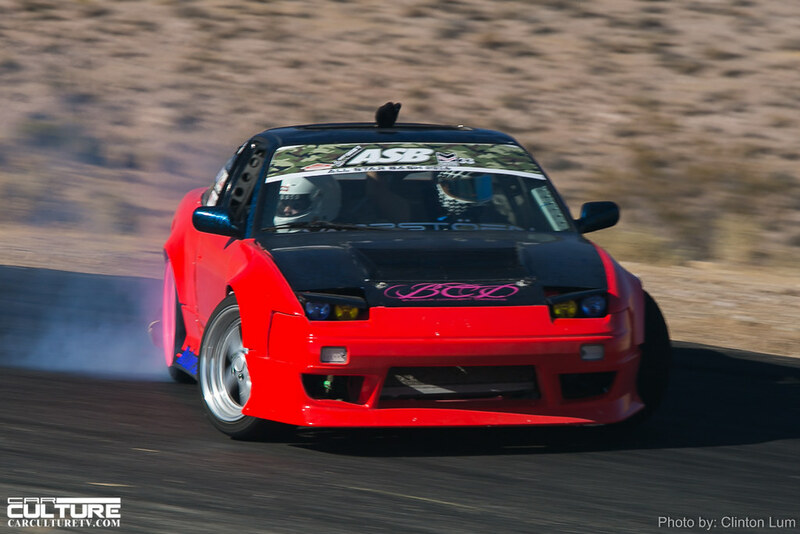 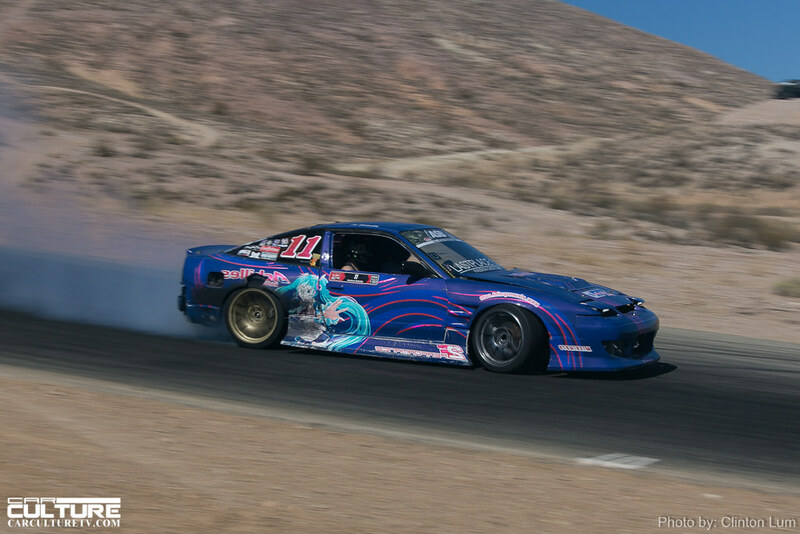 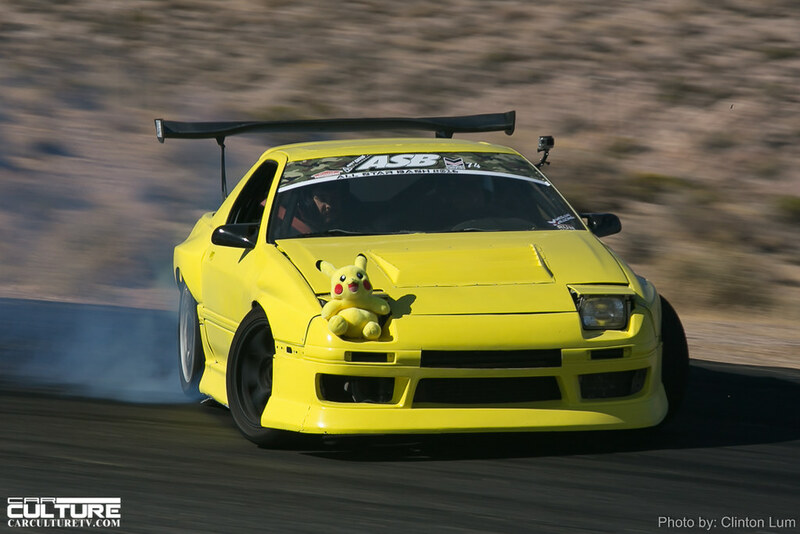 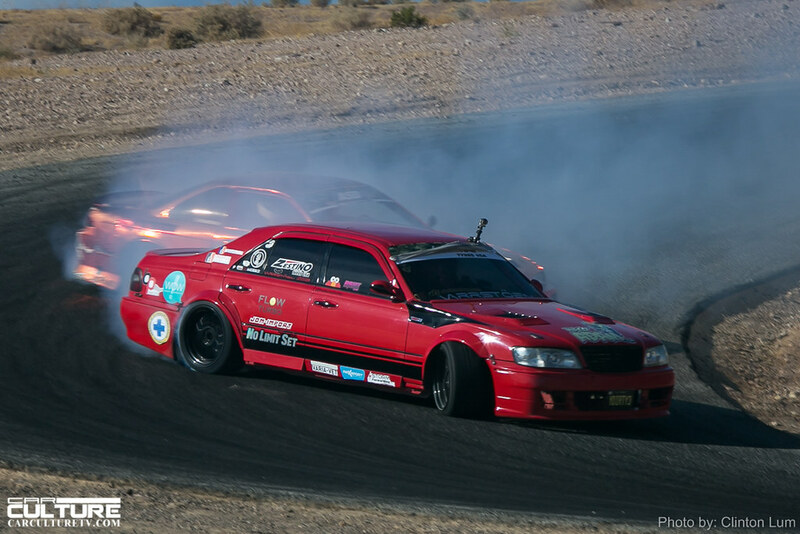 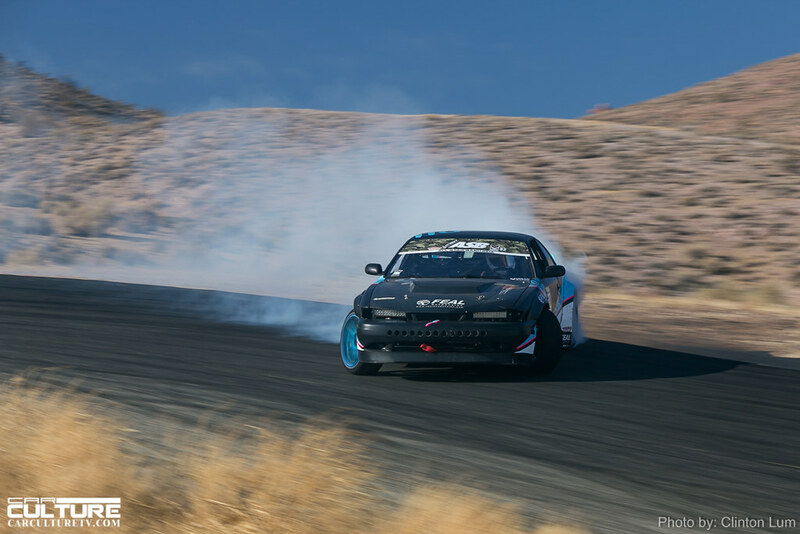 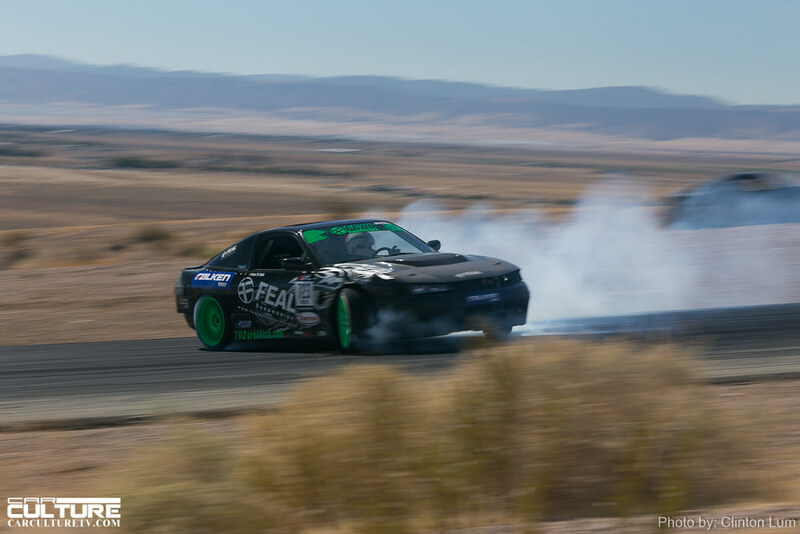 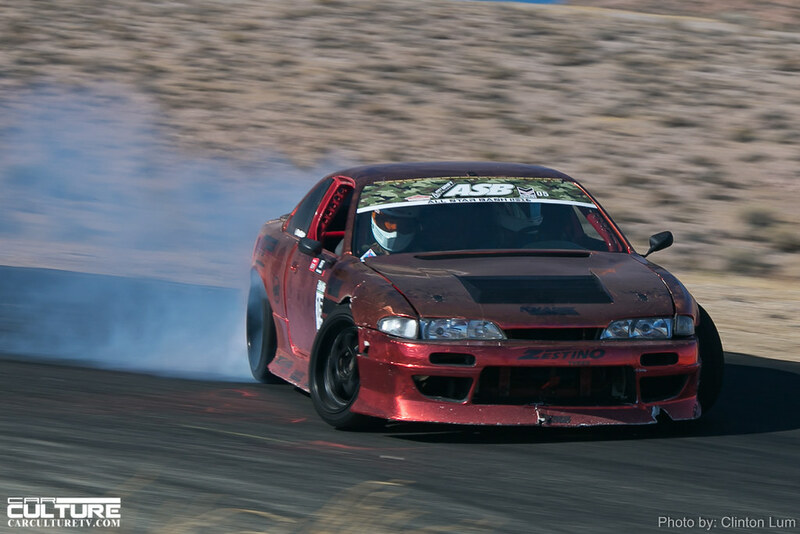 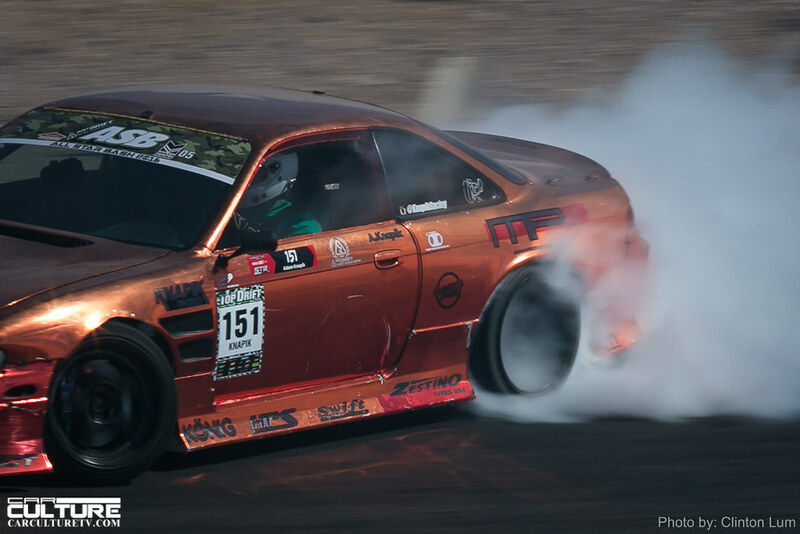 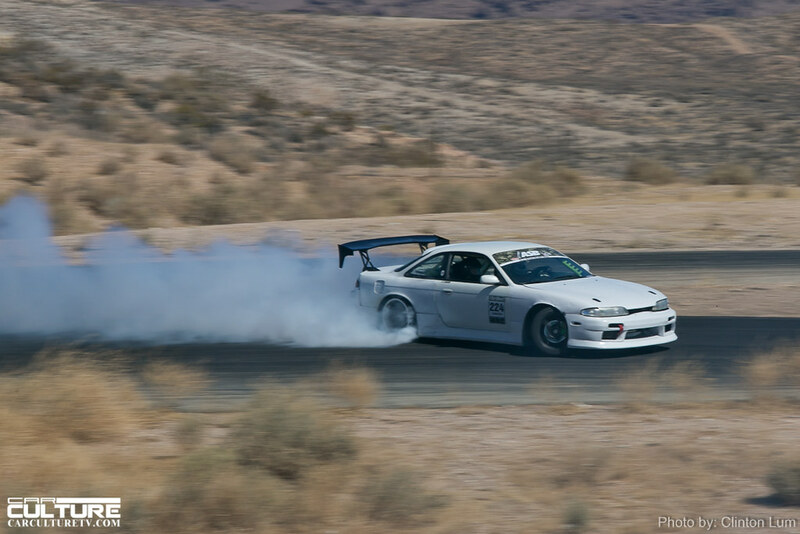 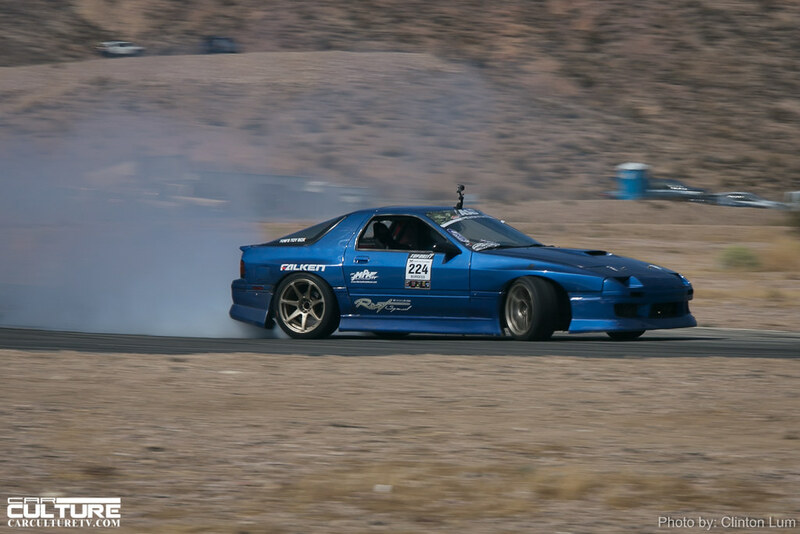 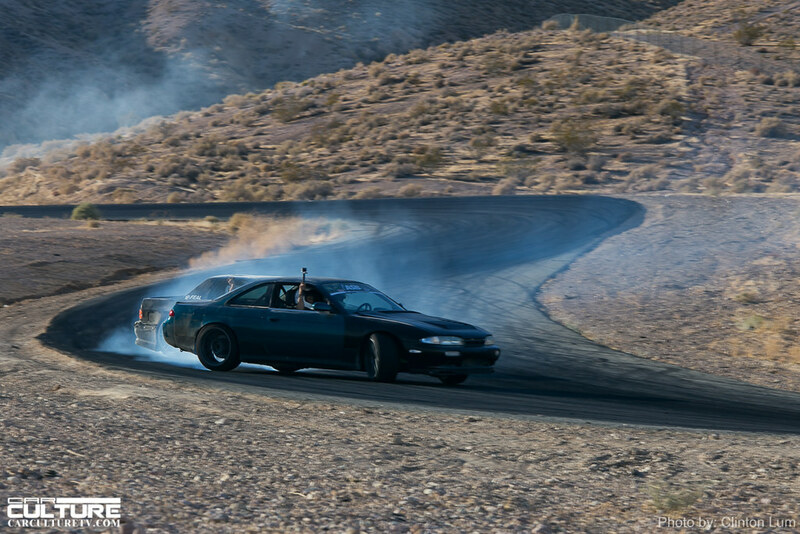 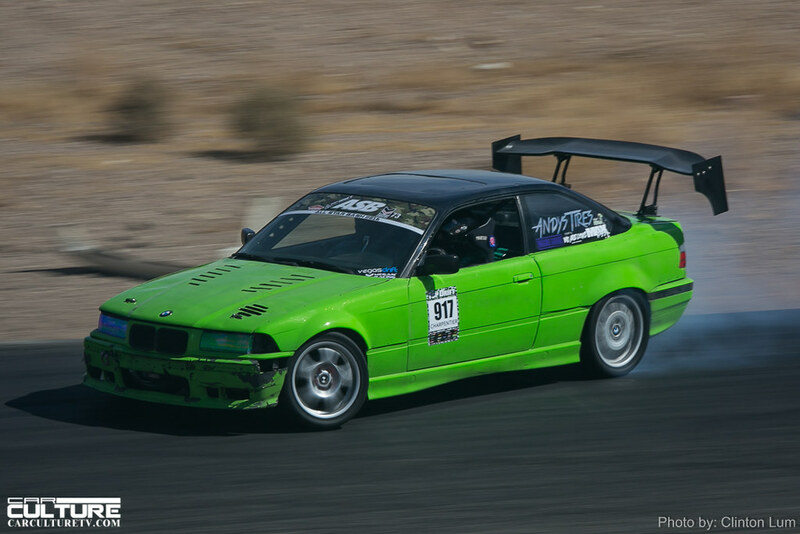 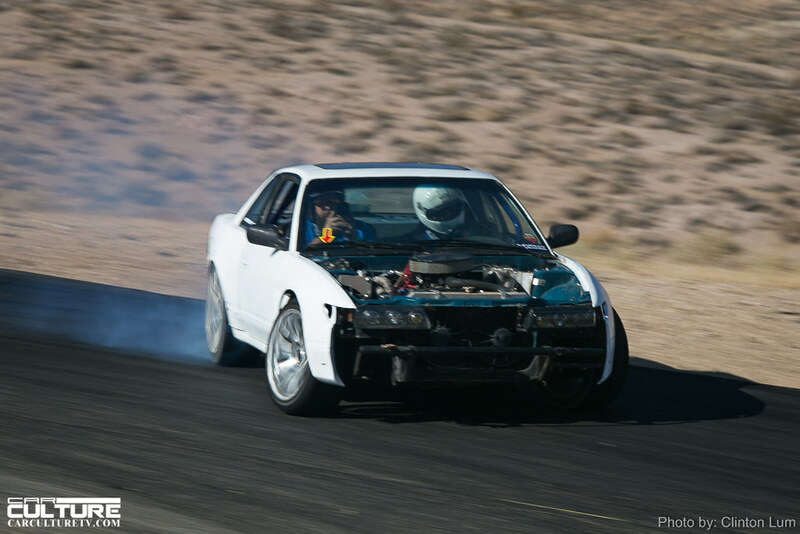 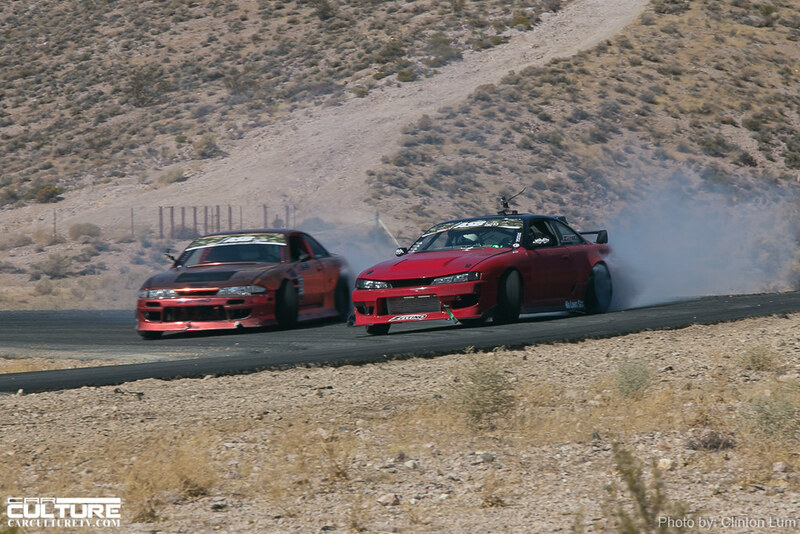 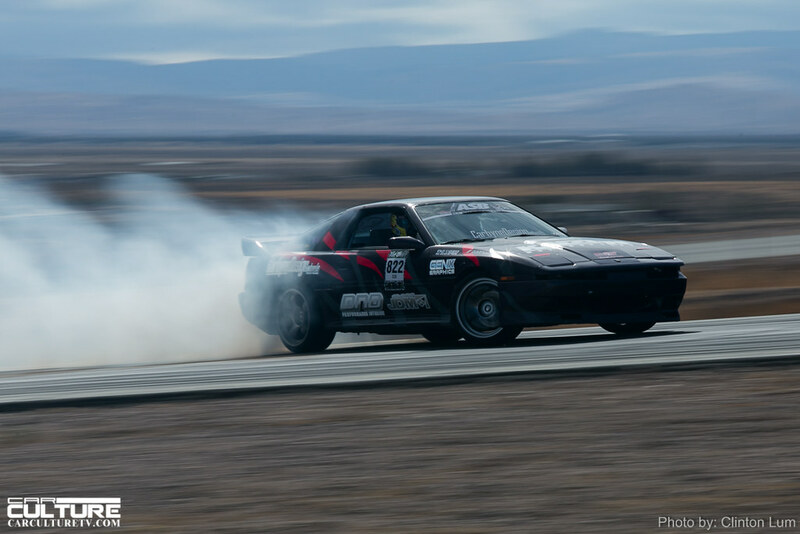 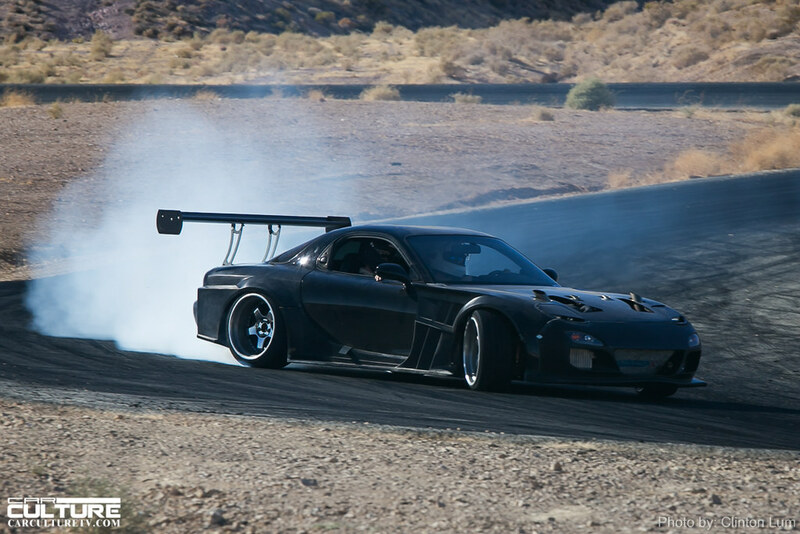 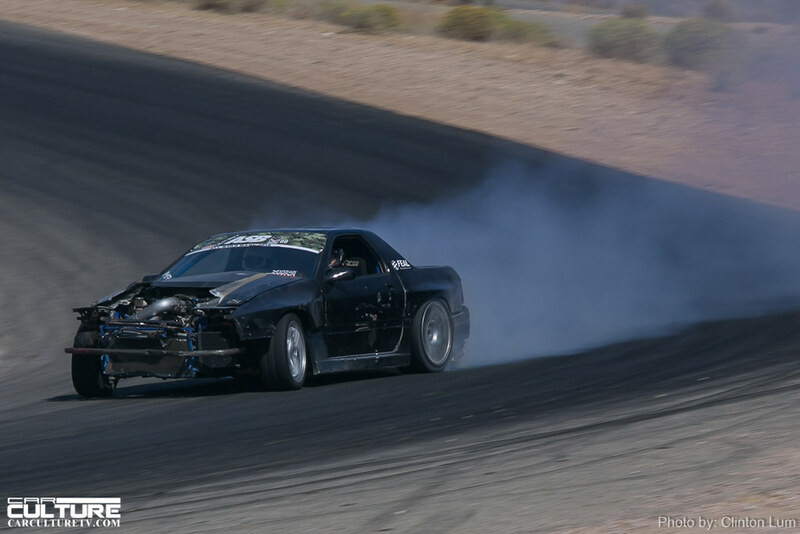 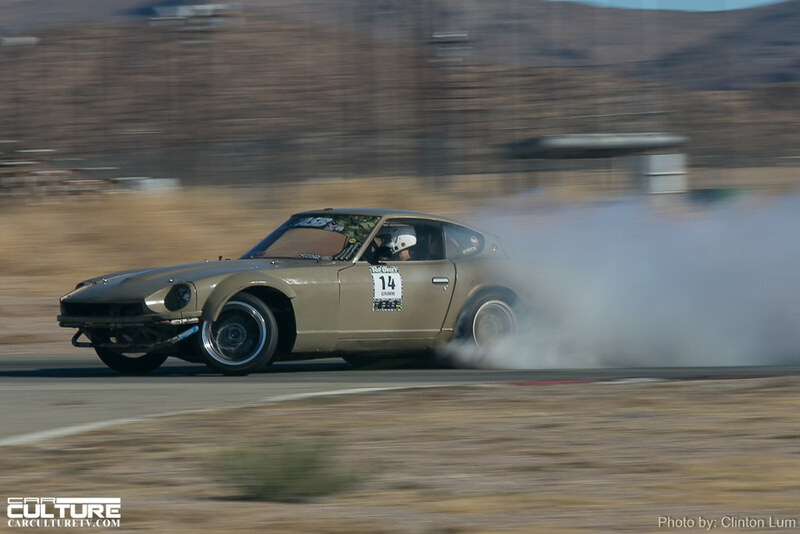 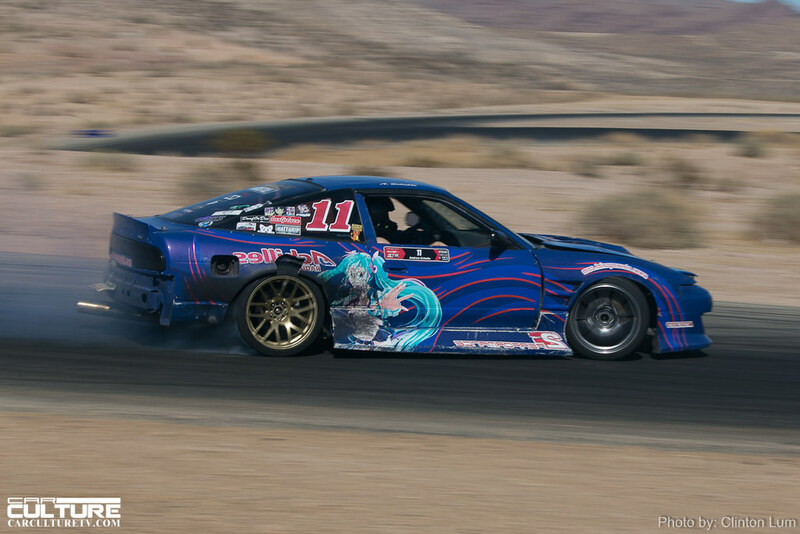 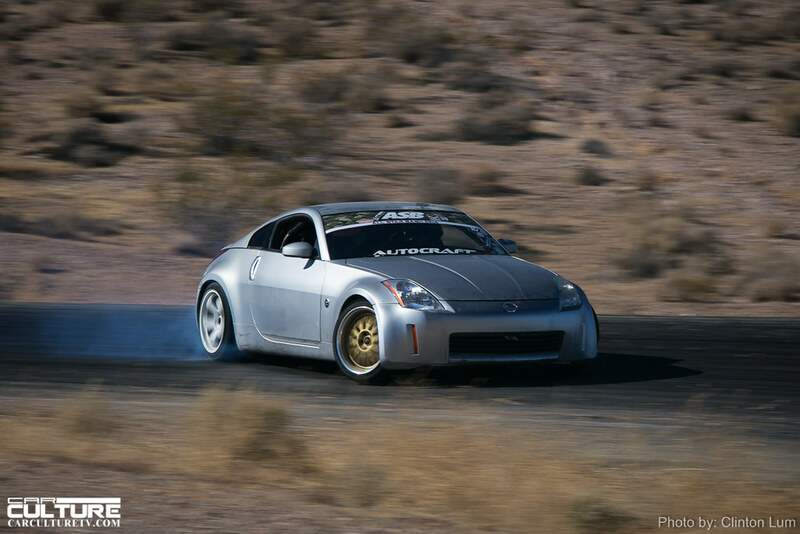 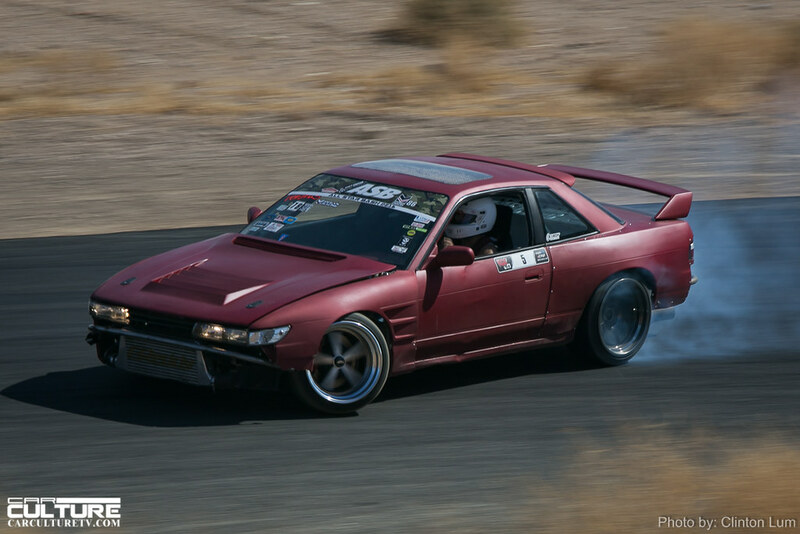 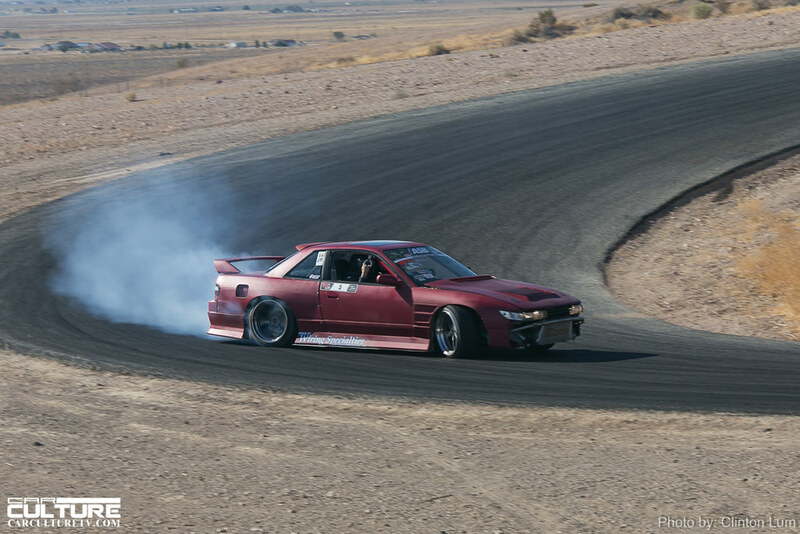 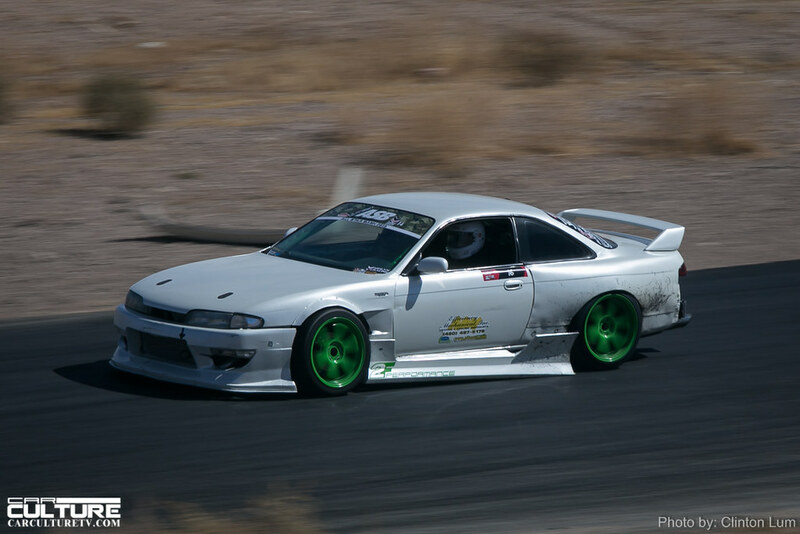 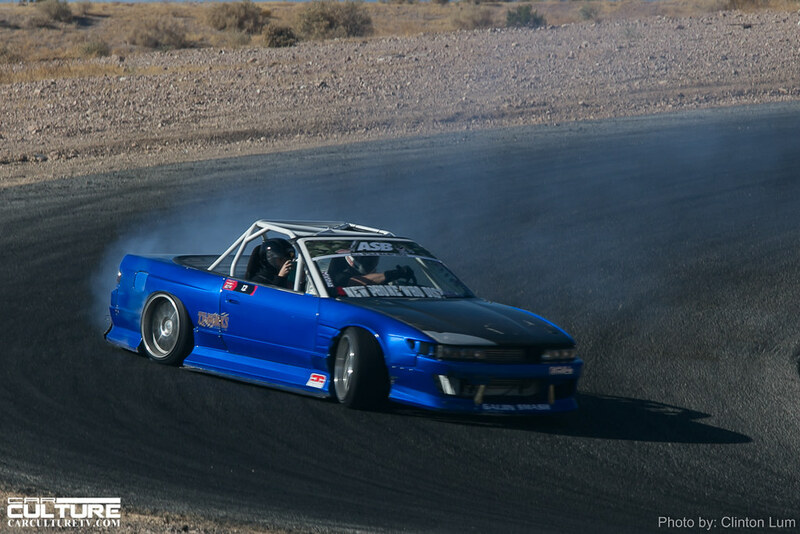 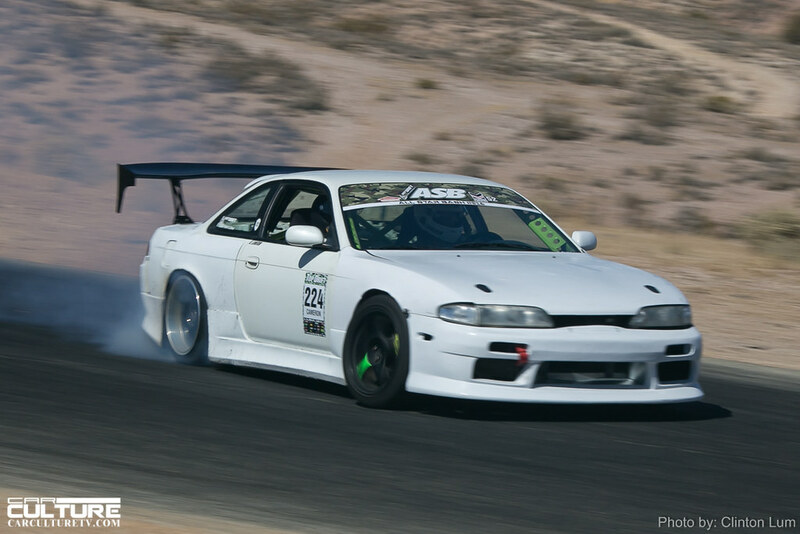 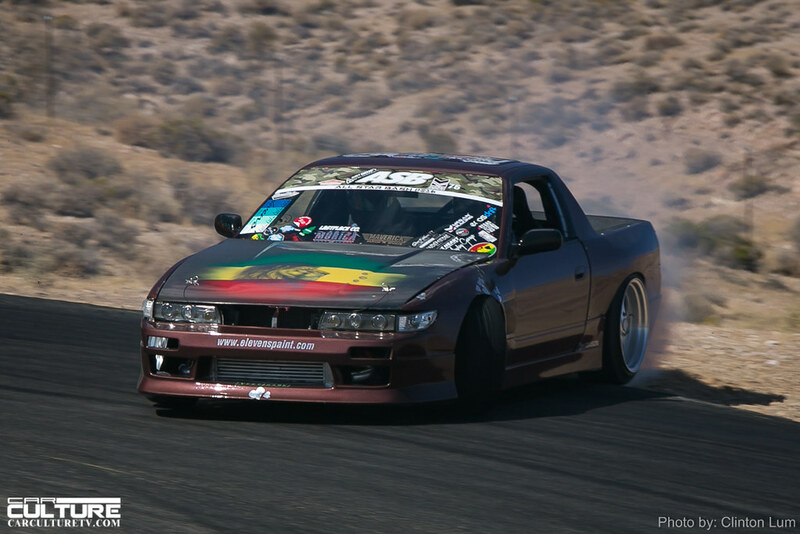 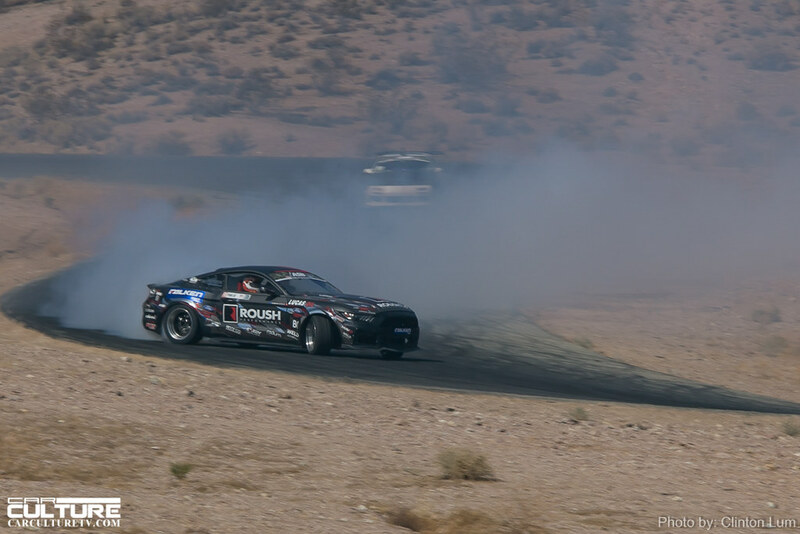 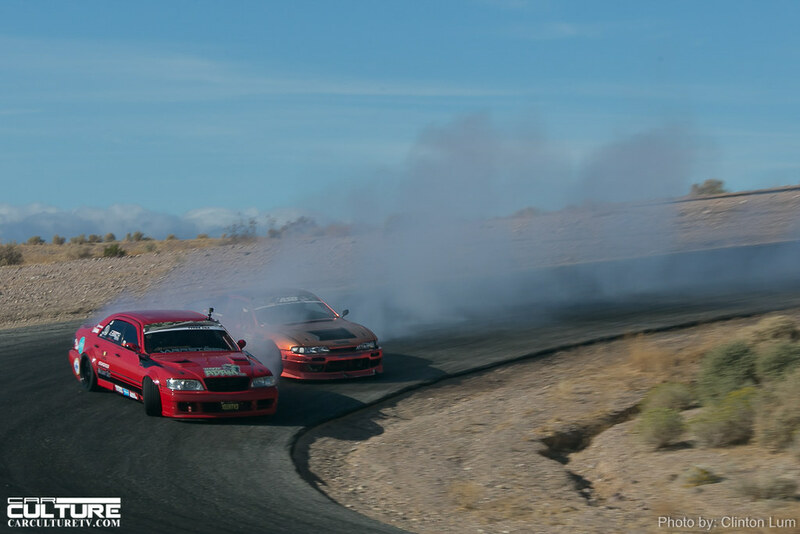 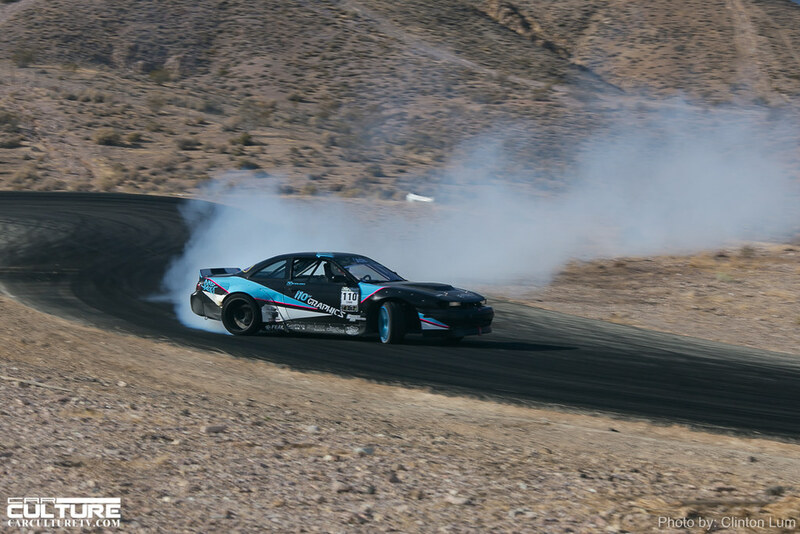 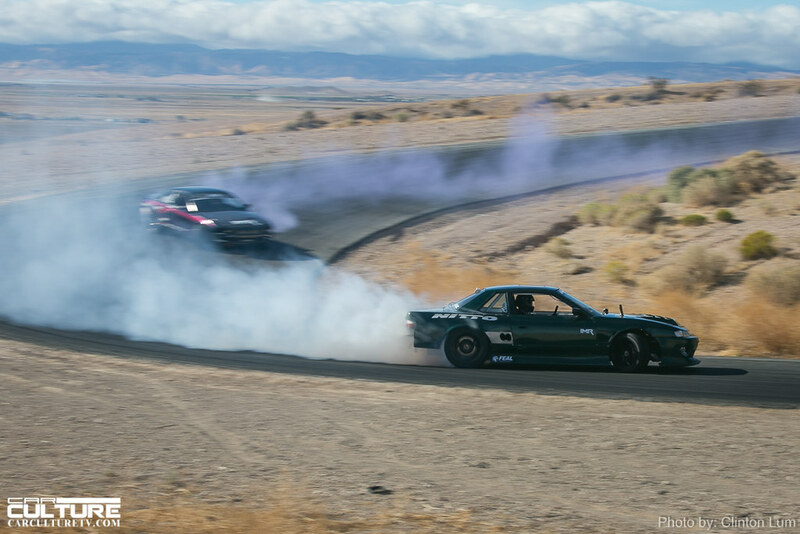 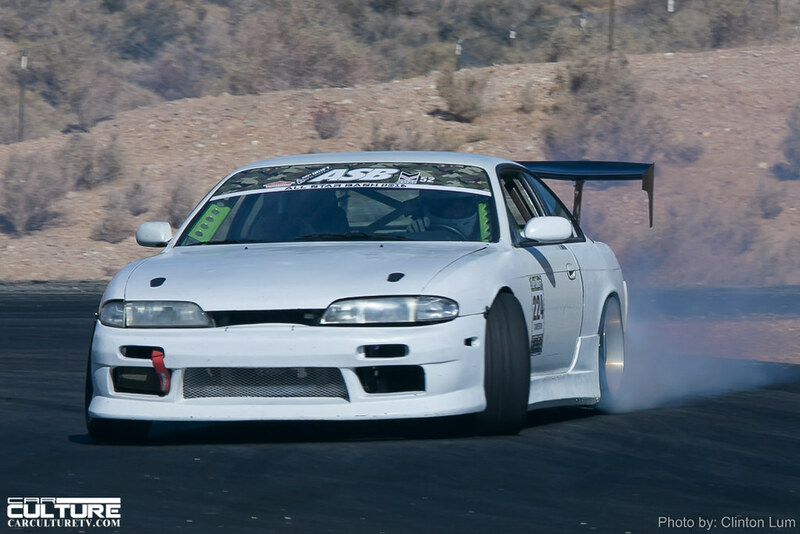 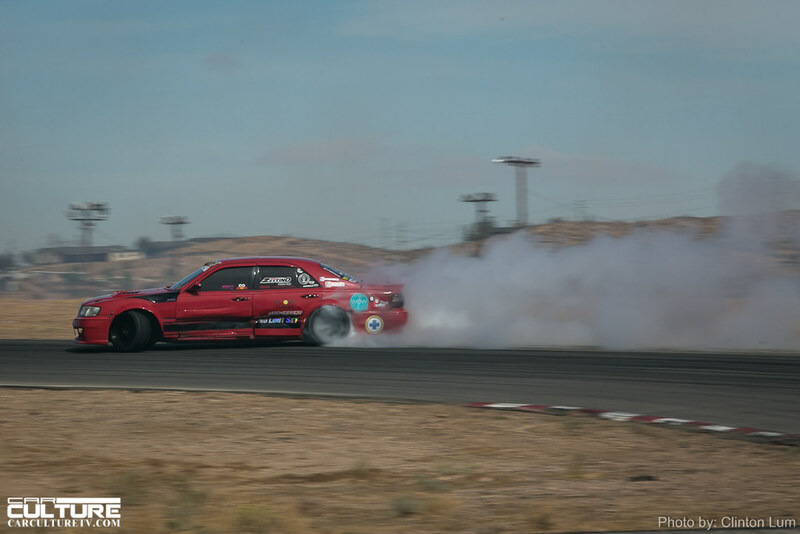 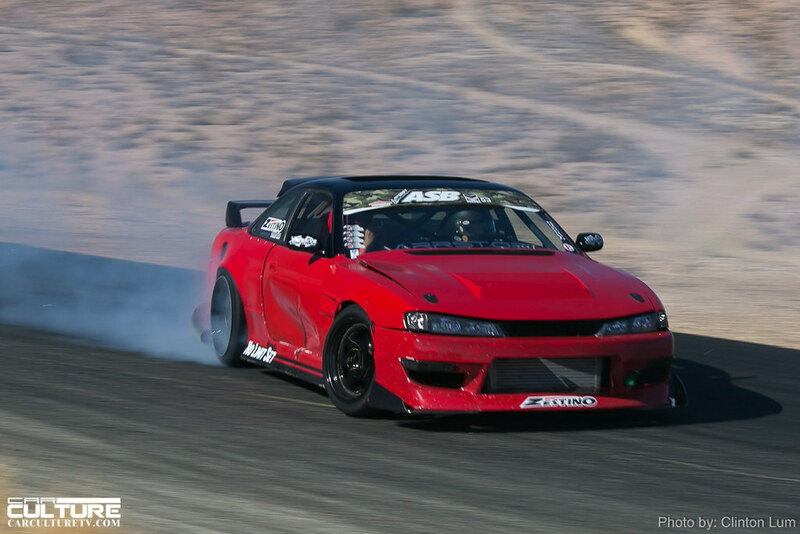 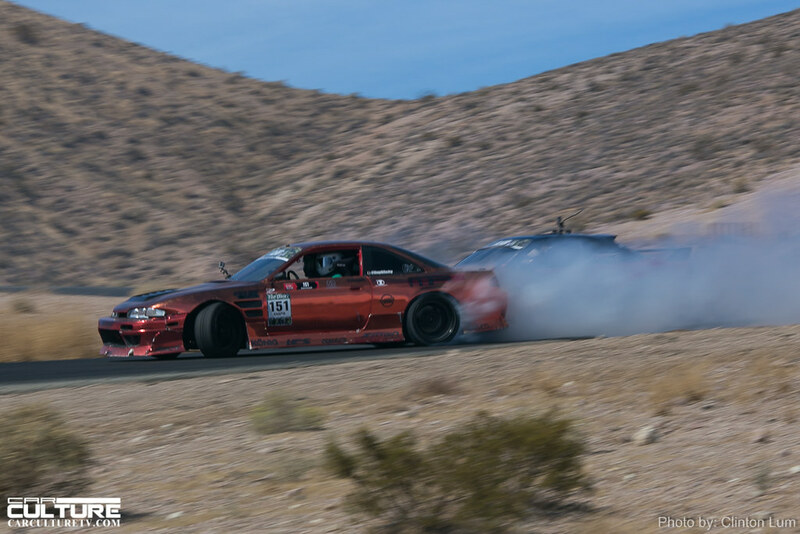 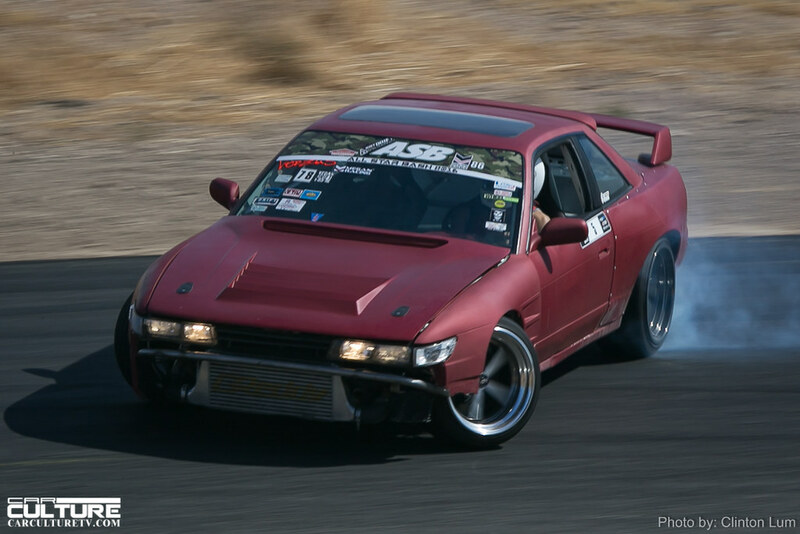 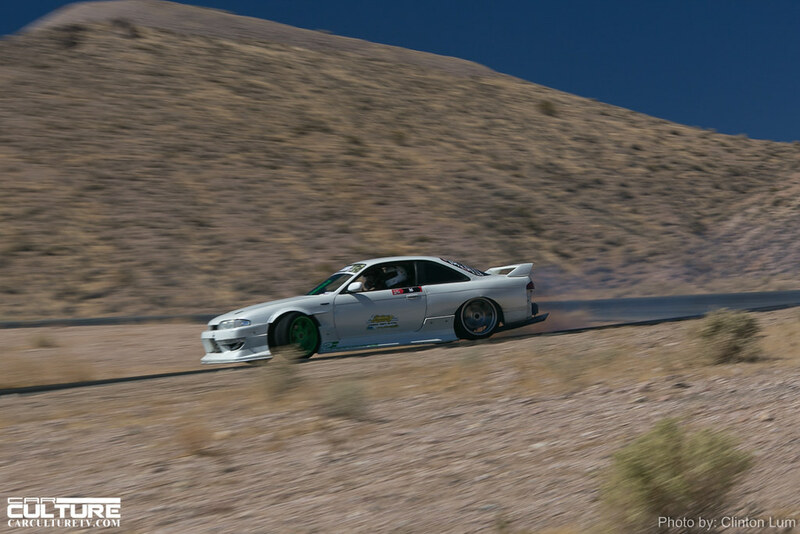 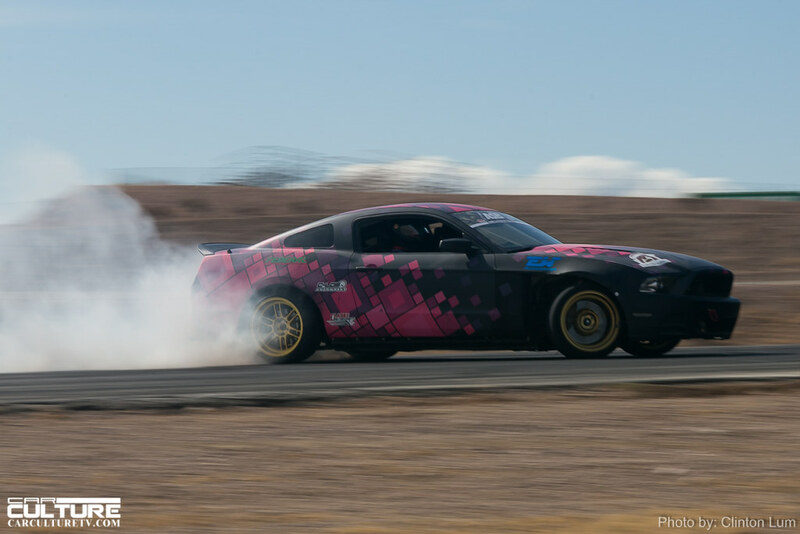 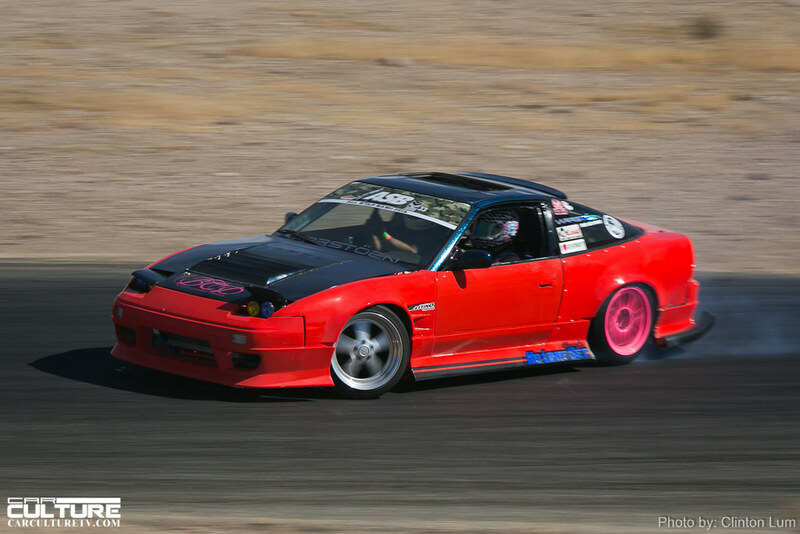 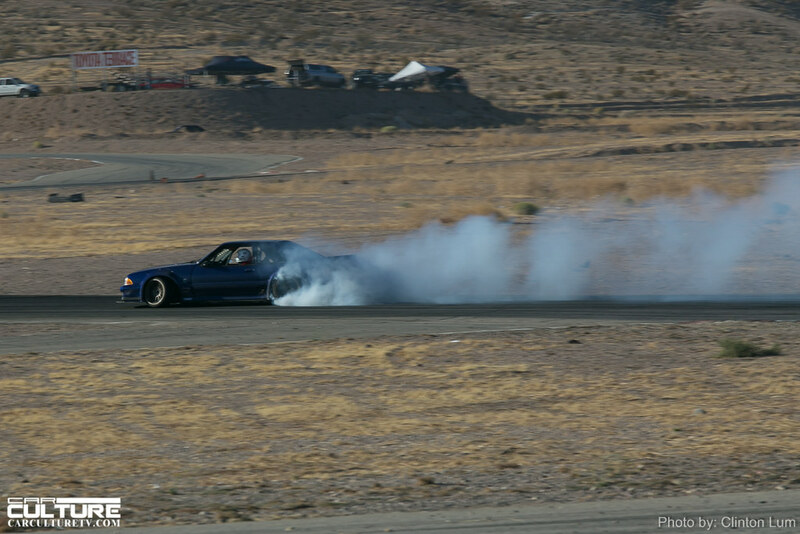 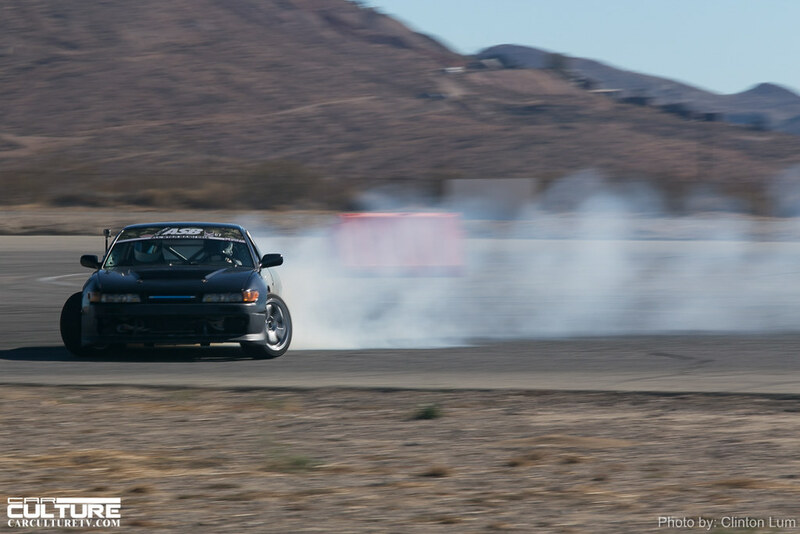 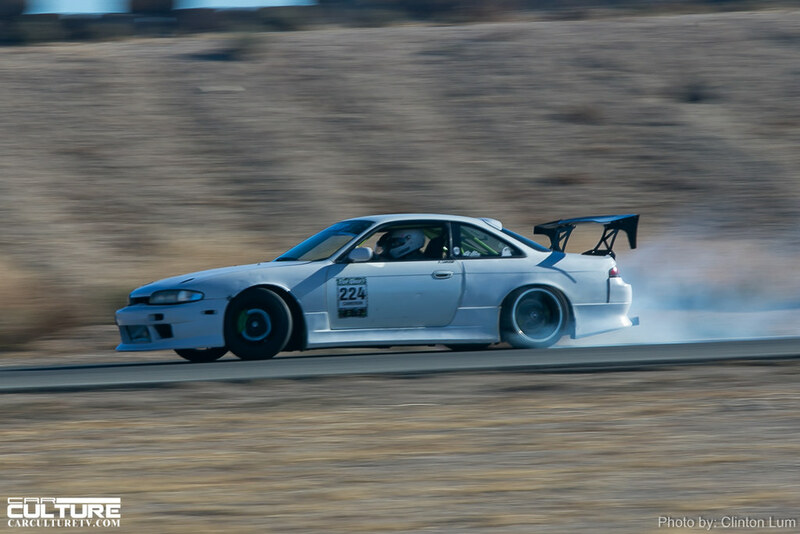 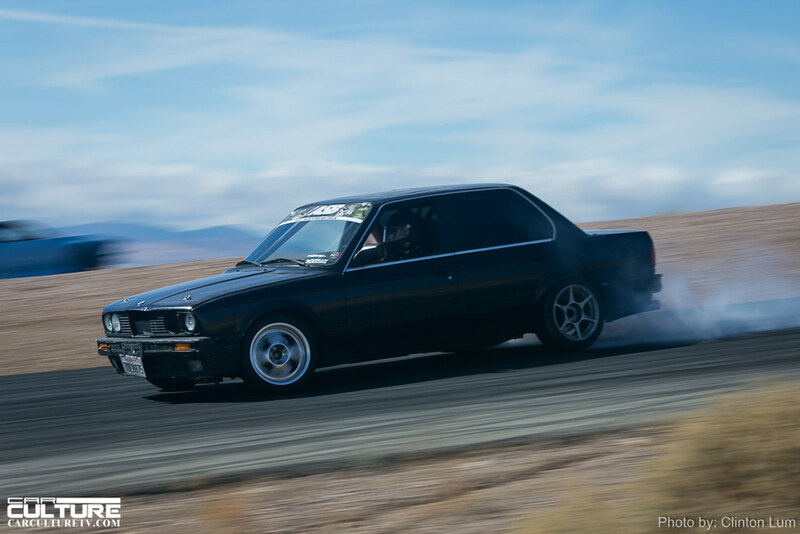 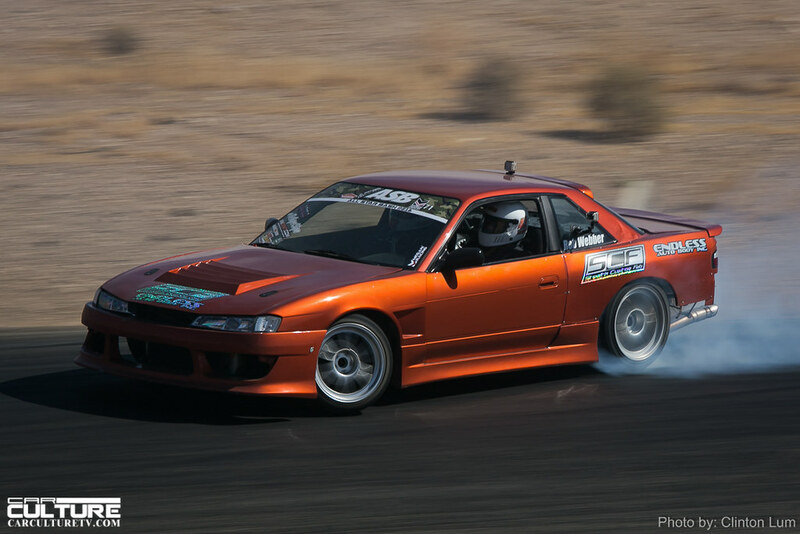 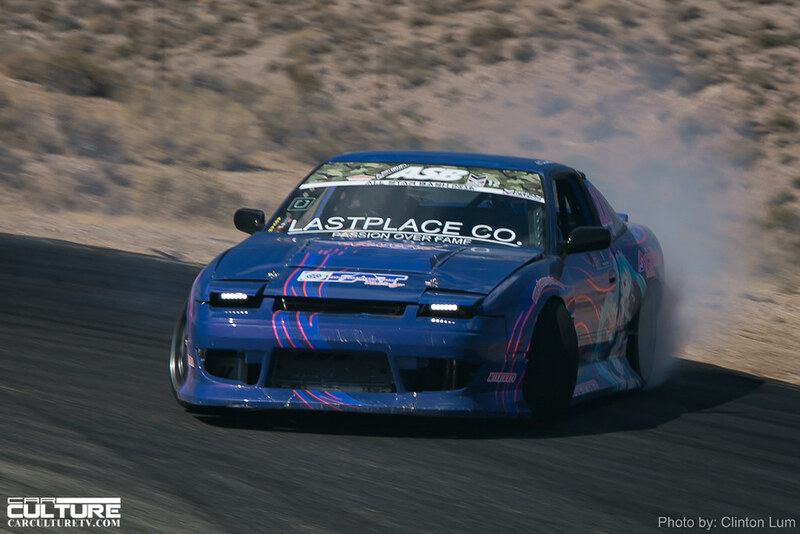 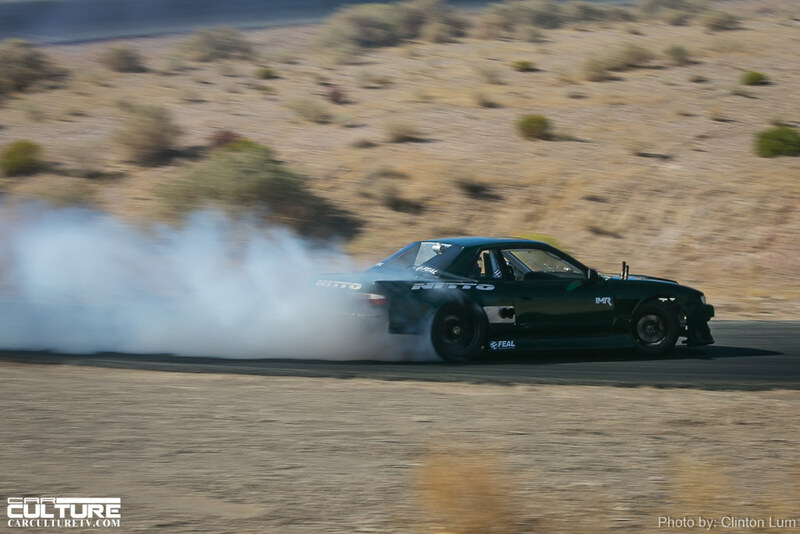 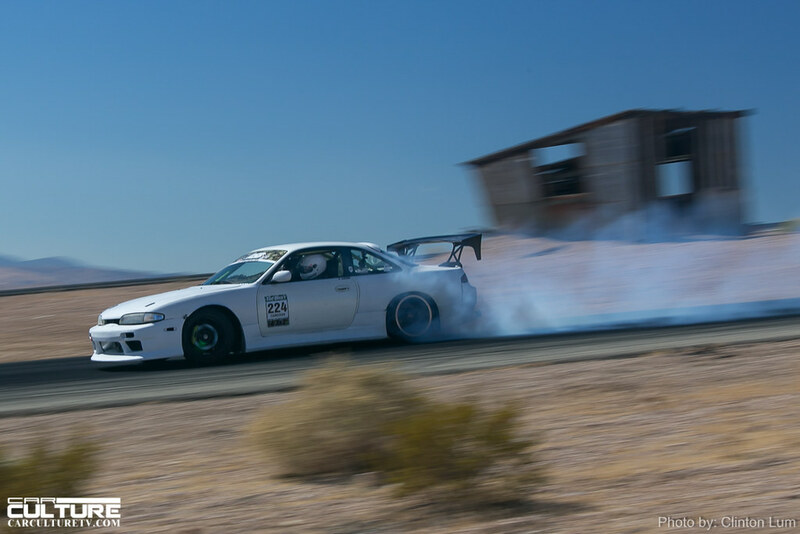 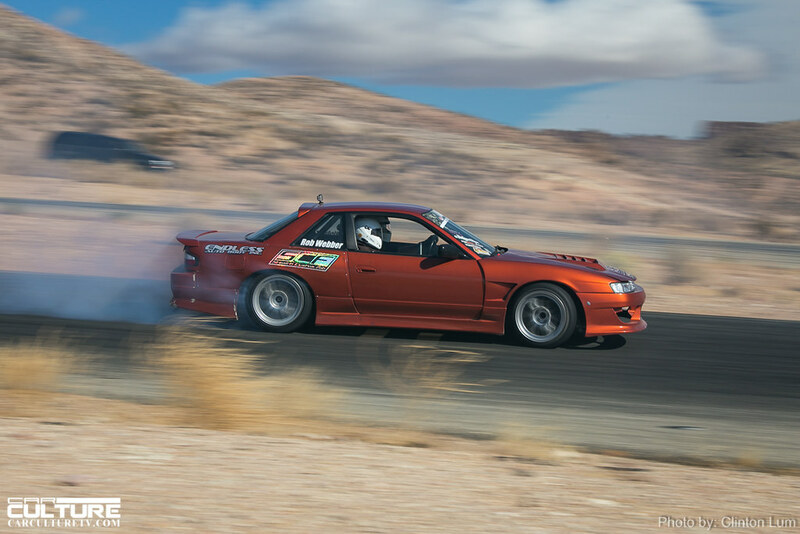 The vast majority of drivers go all-out, initiate their drifts and make it through. 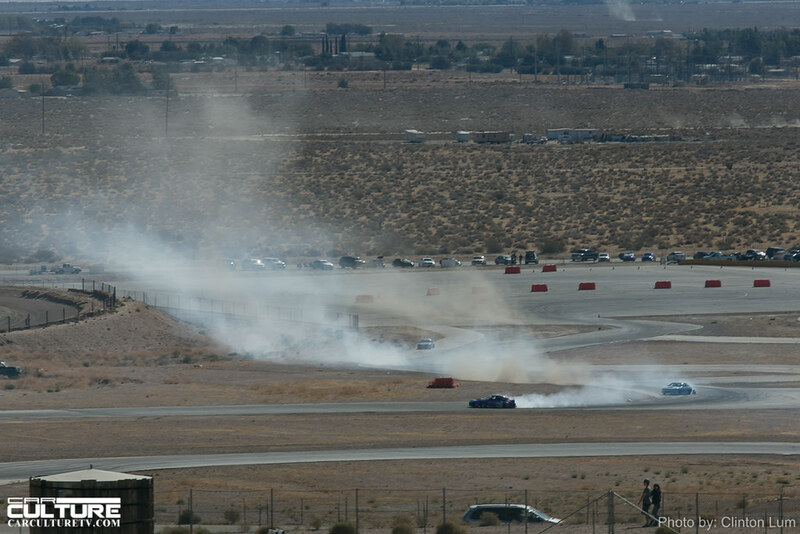 But occasionally, a driver gets a little hot, loses grip and goes off course. 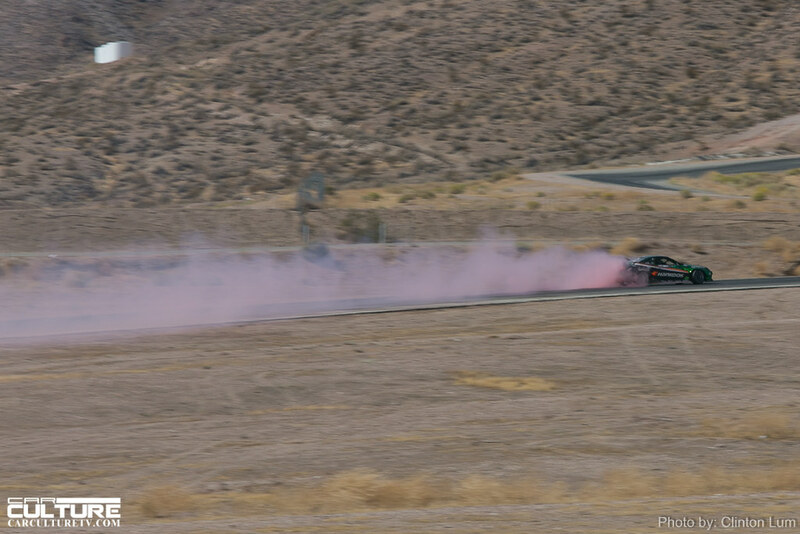 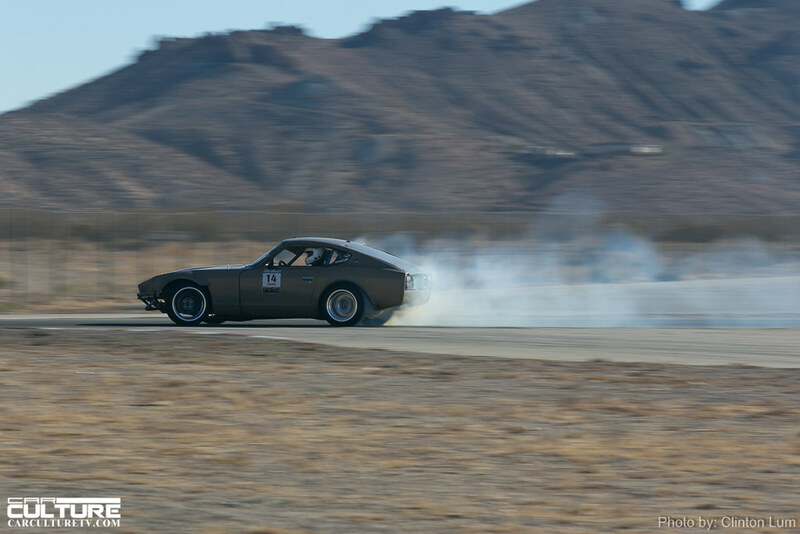 A lot of bumpers were knocked off during the runs, tires were shredded, and at the end of the day, everyone had a fun time.